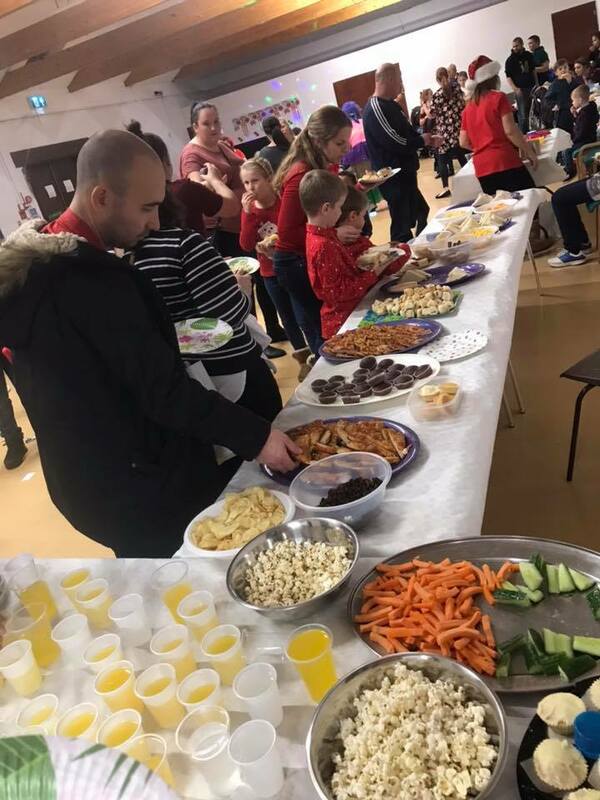 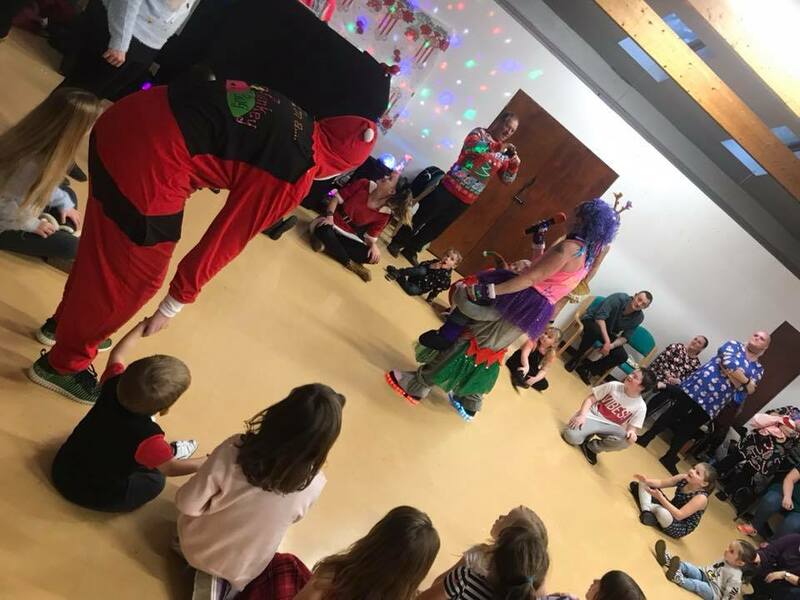 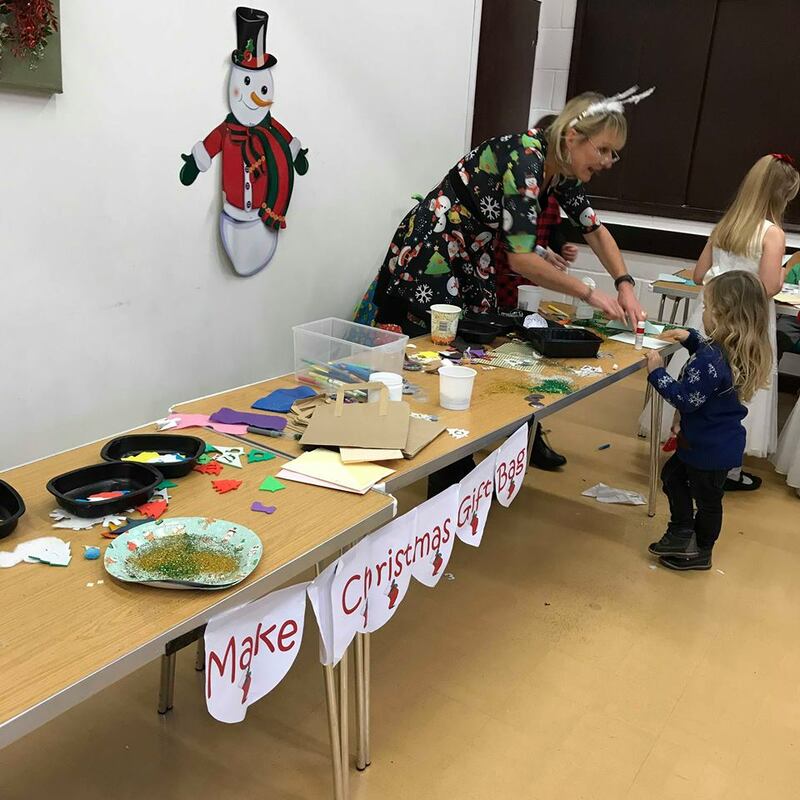 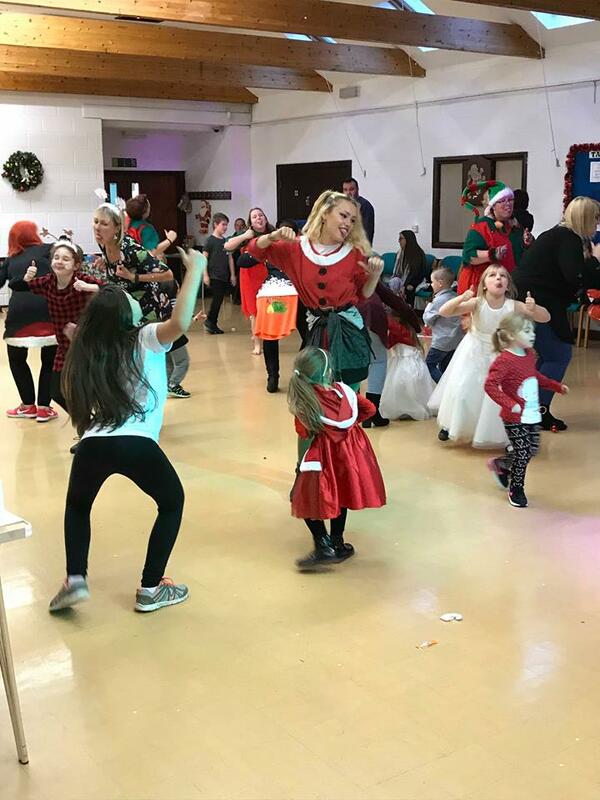 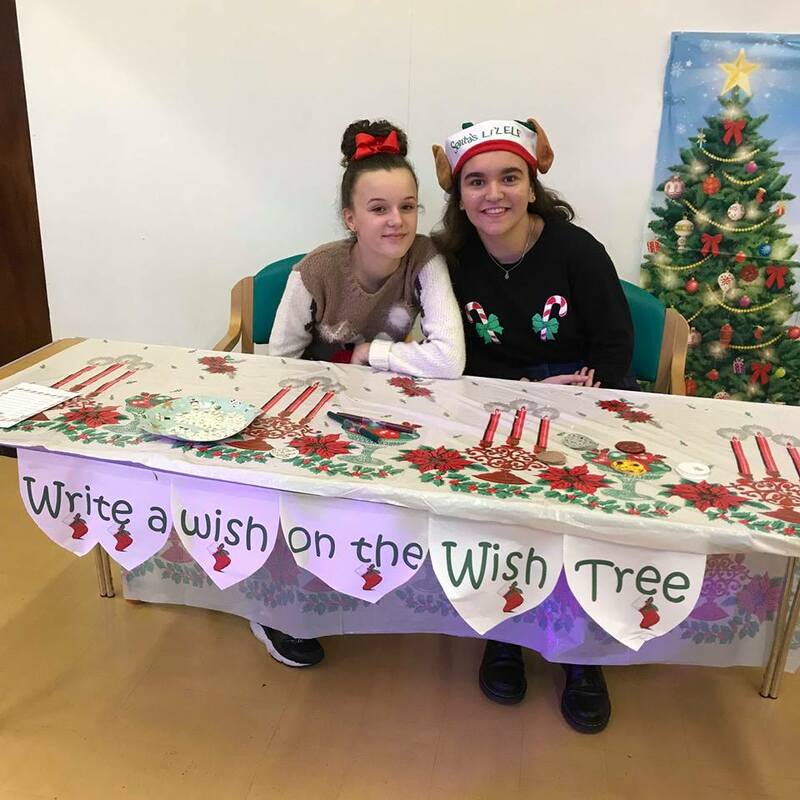 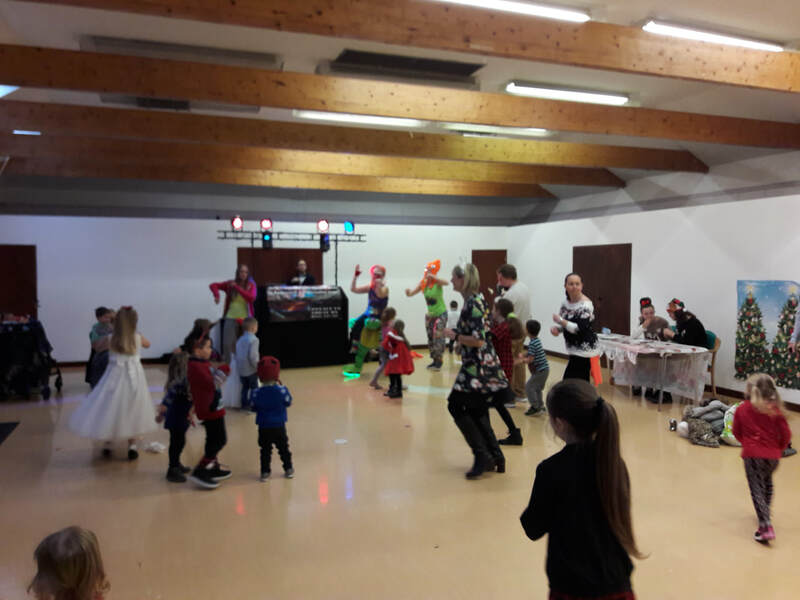 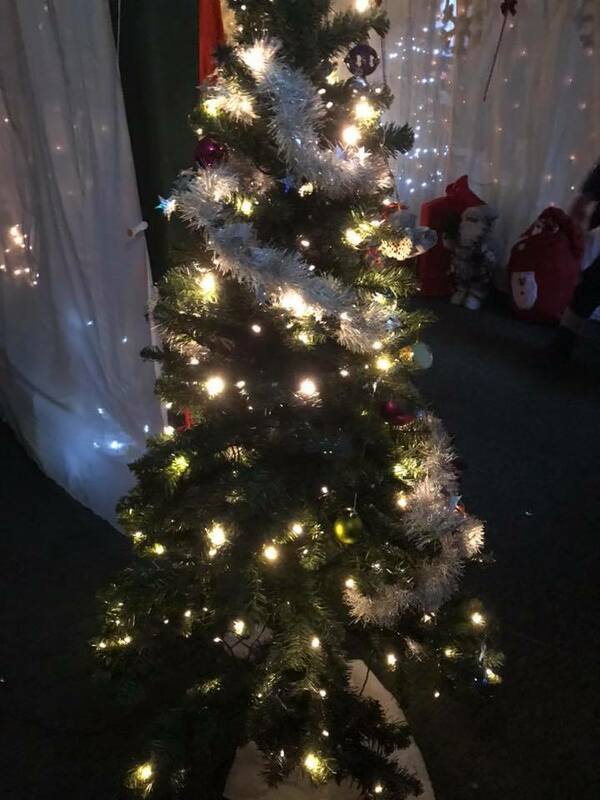 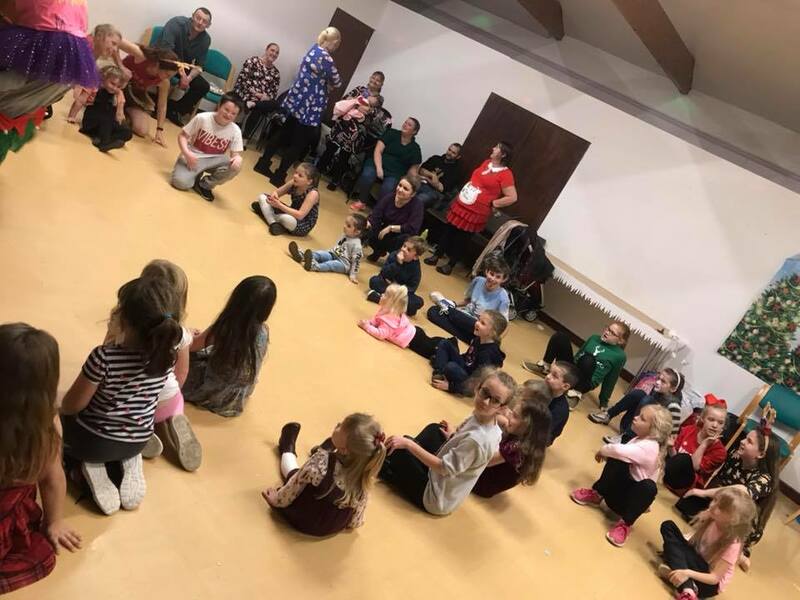 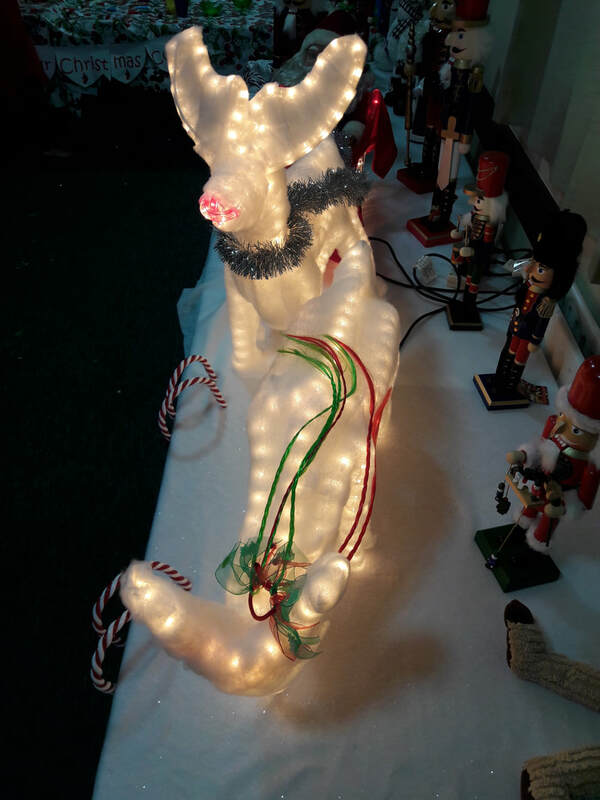 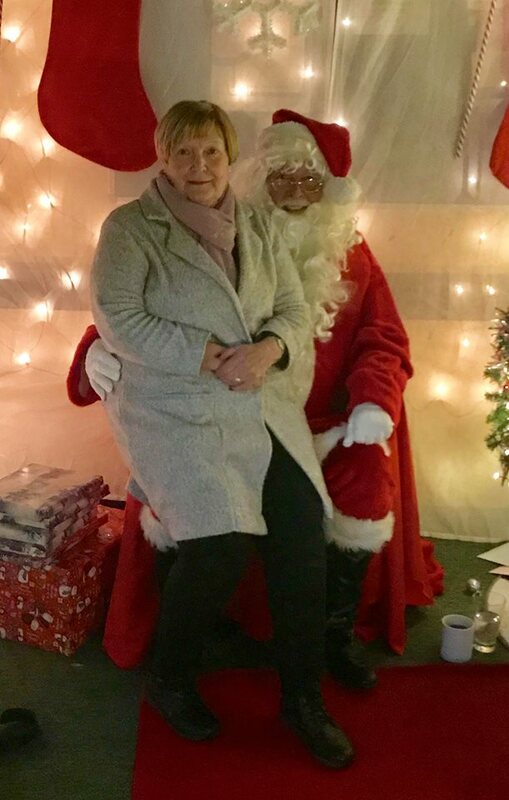 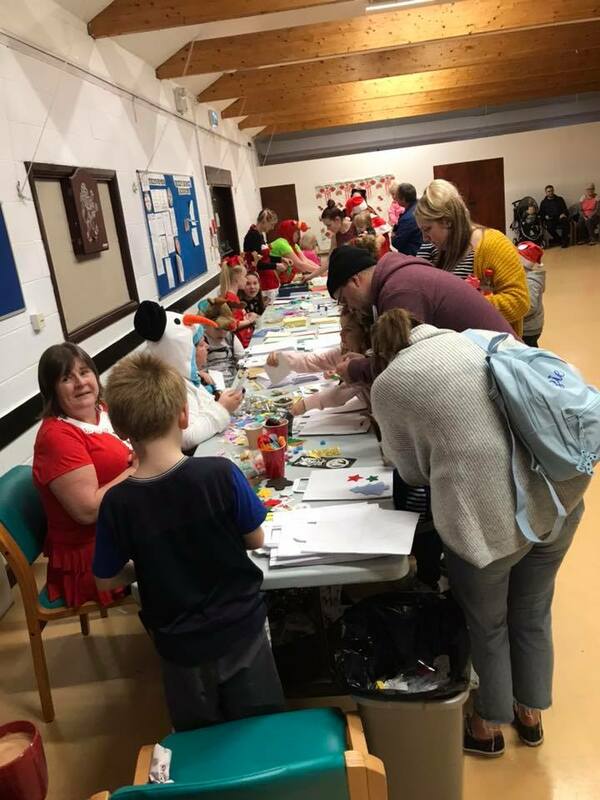 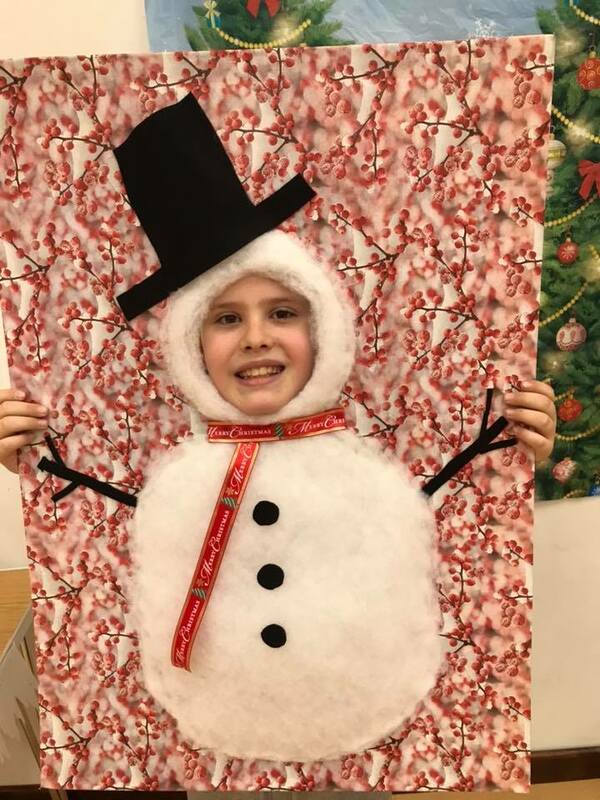 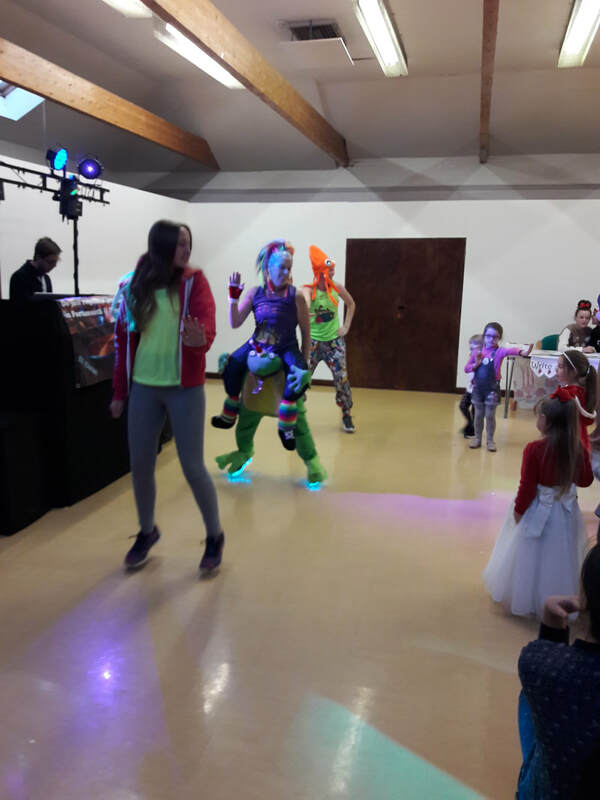 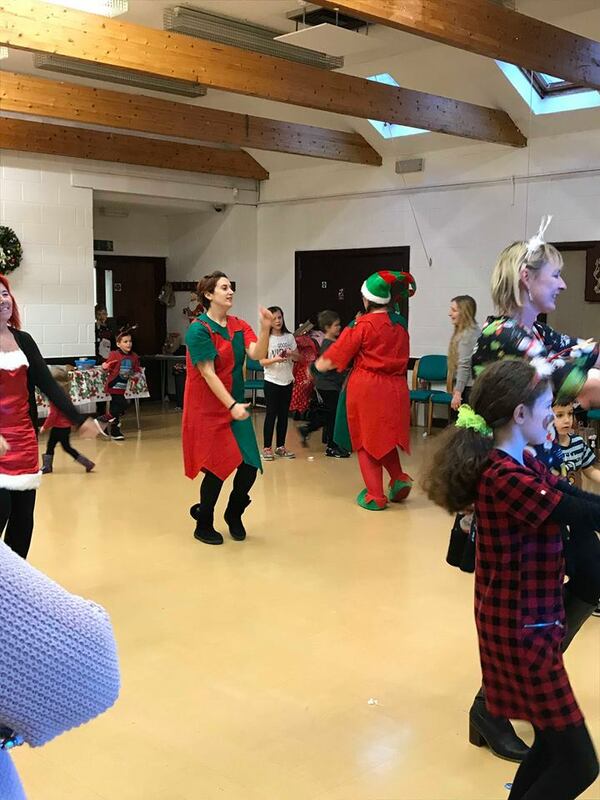 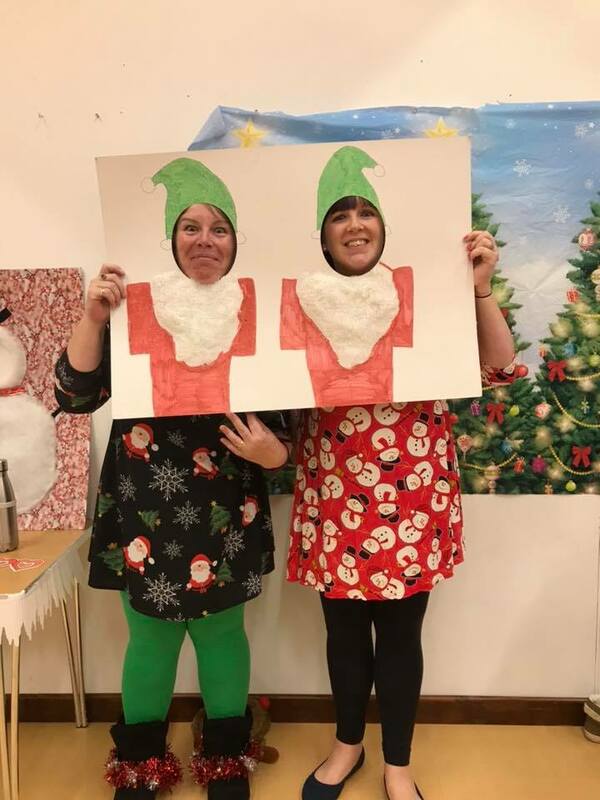 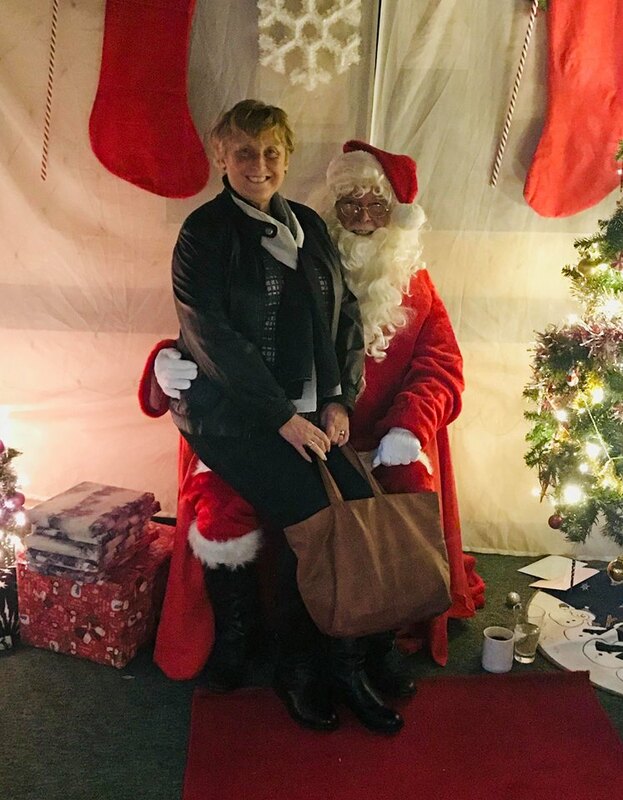 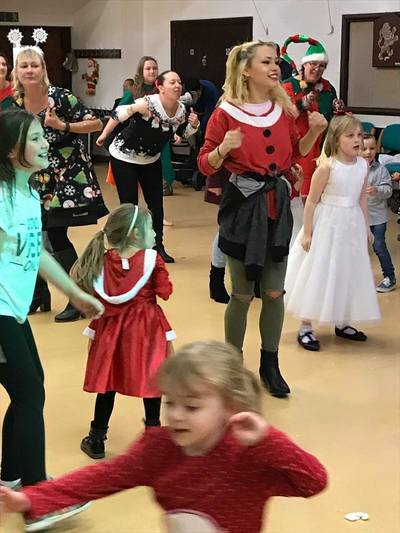 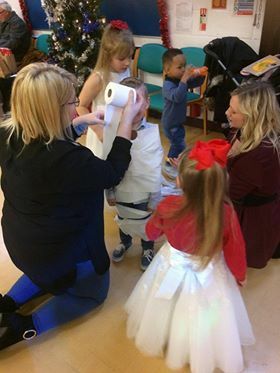 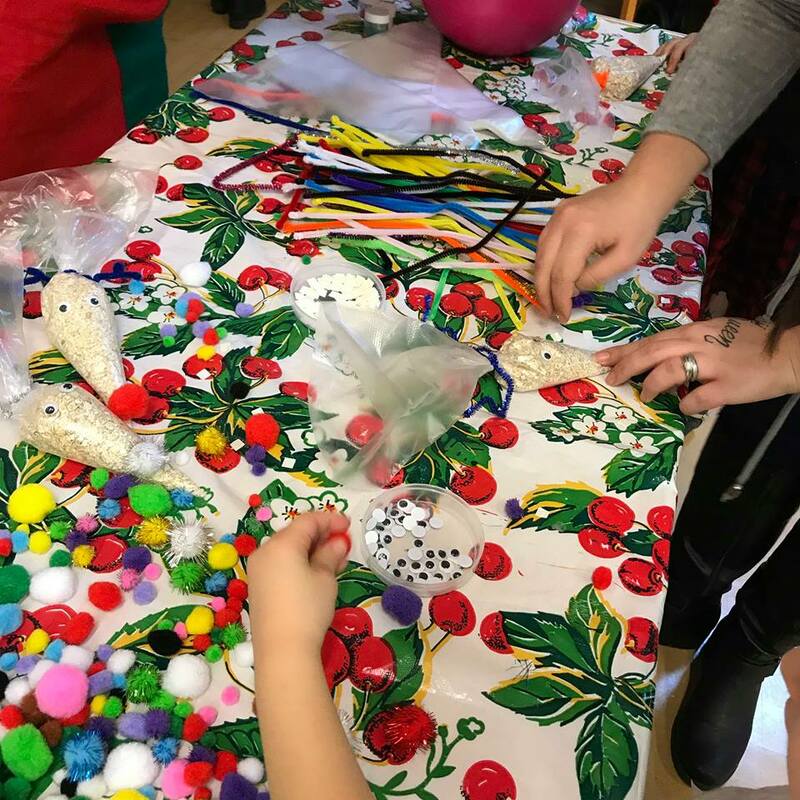 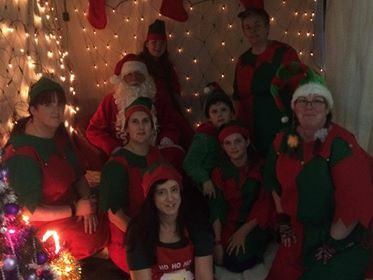 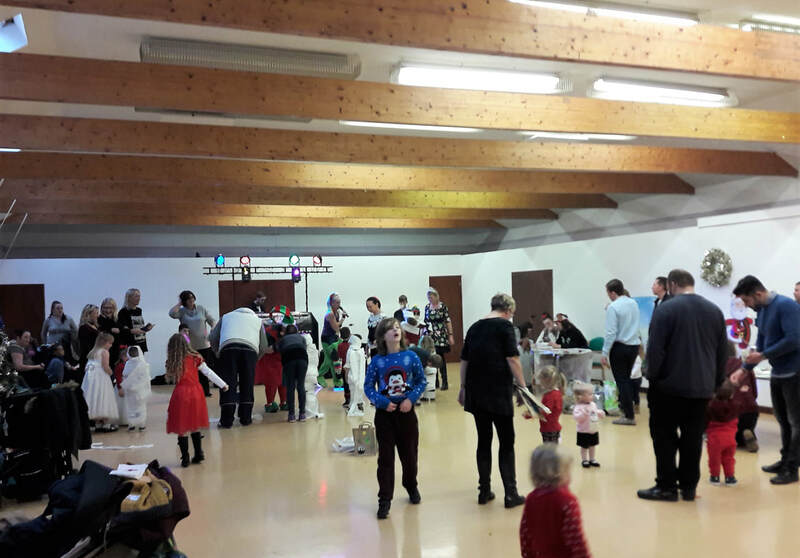 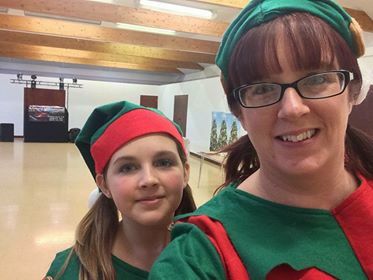 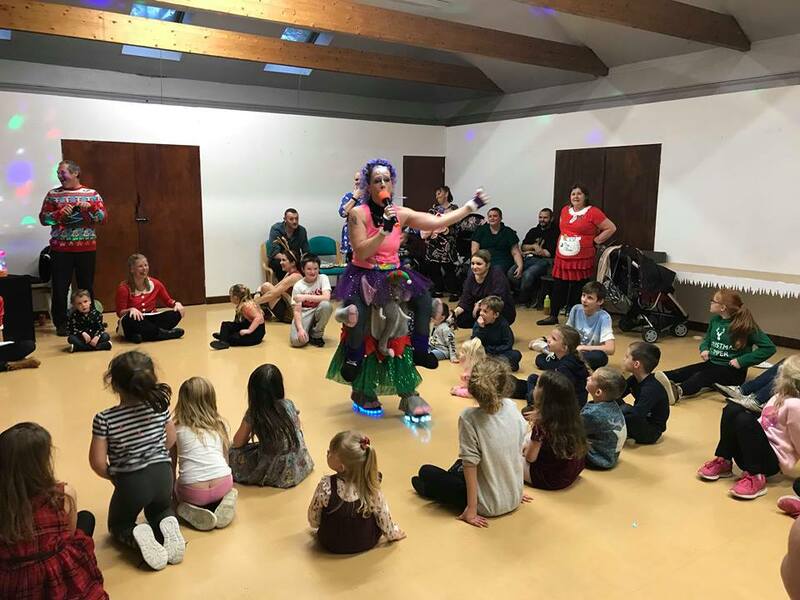 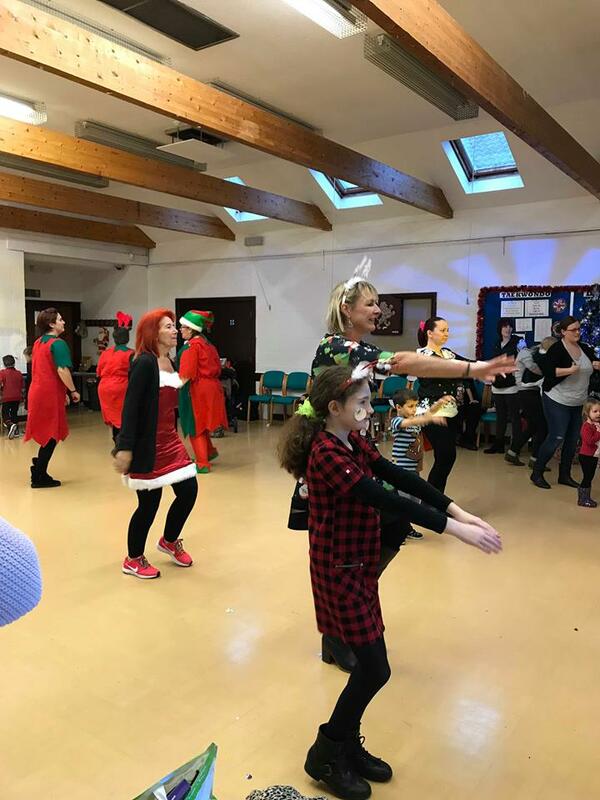 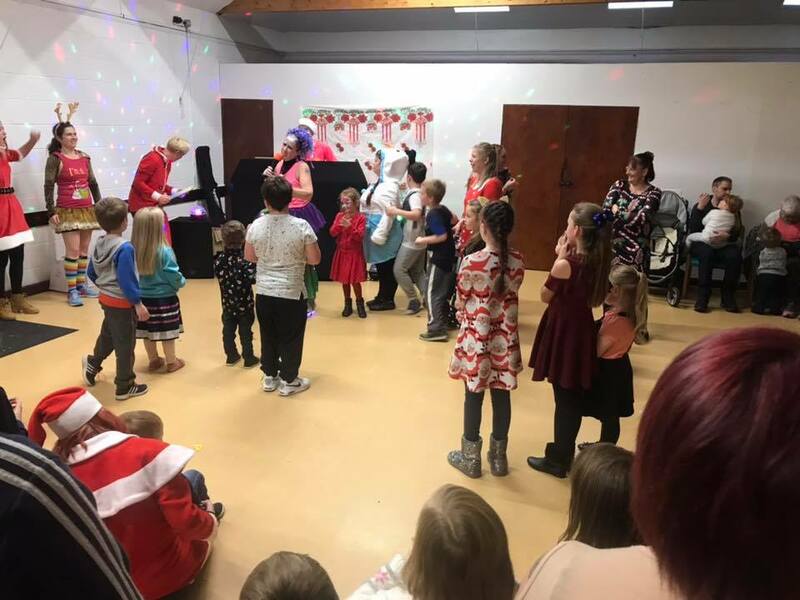 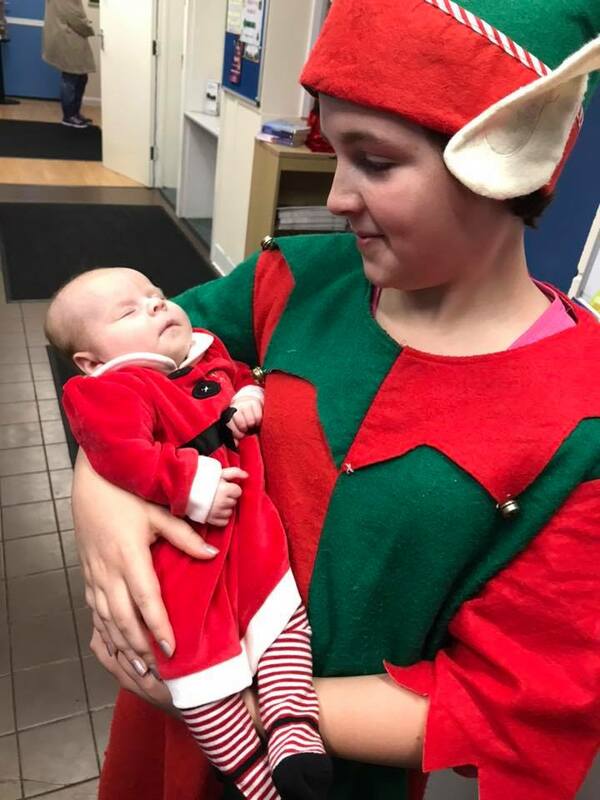 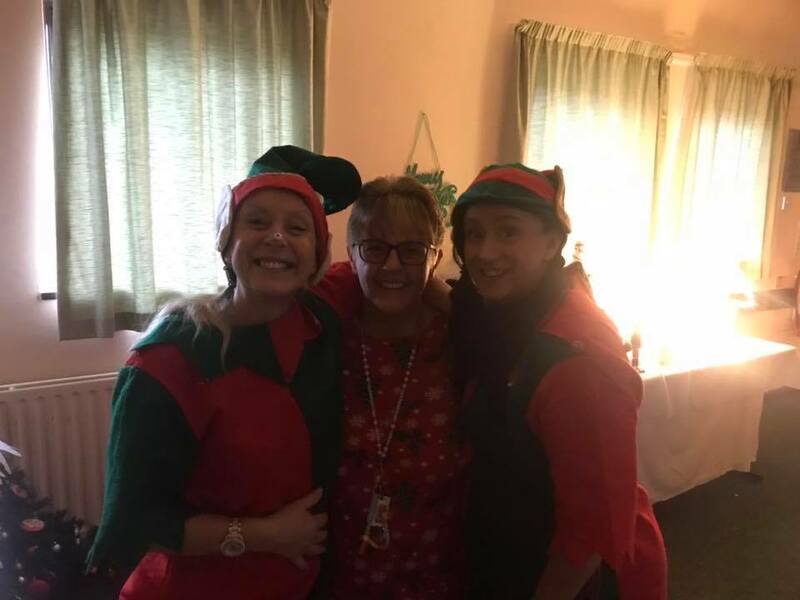 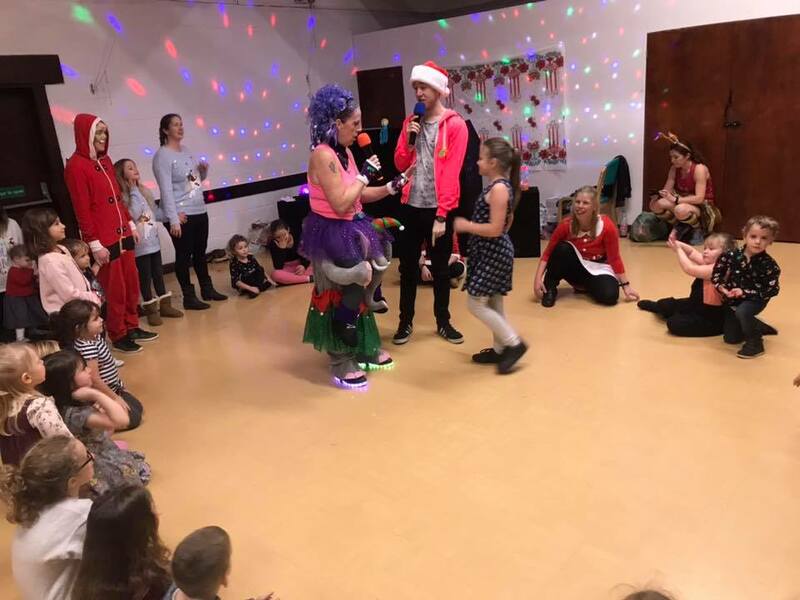 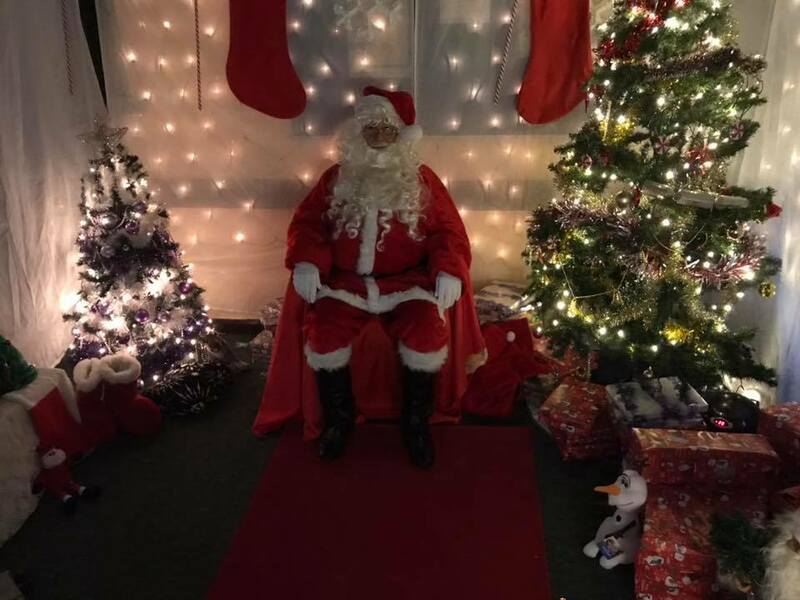 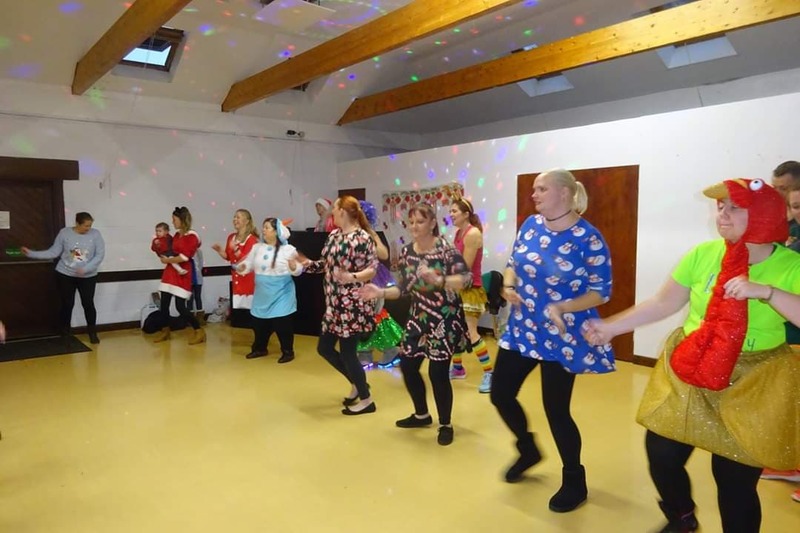 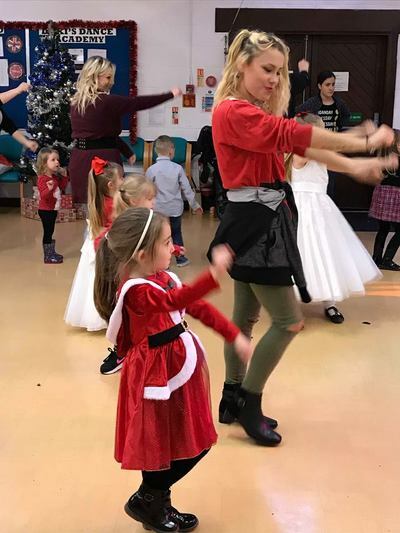 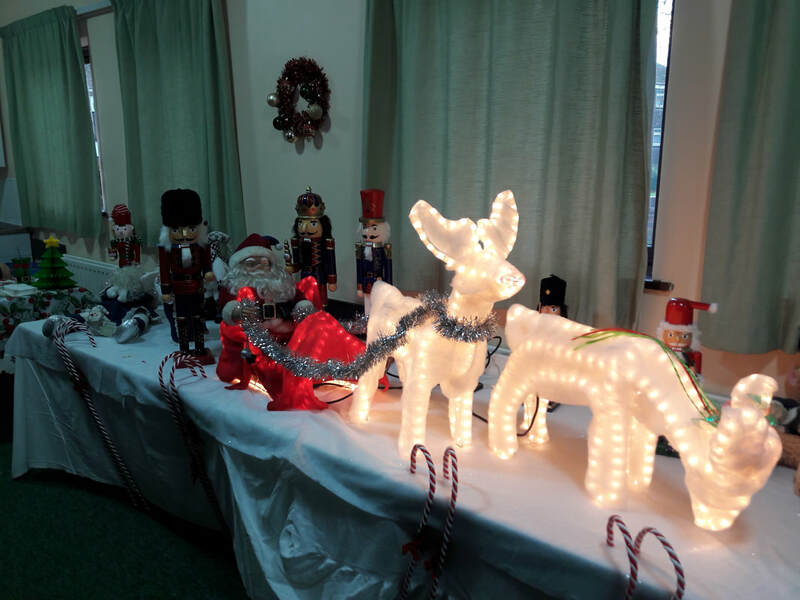 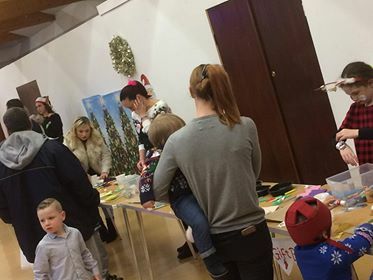 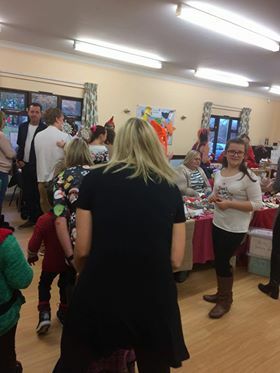 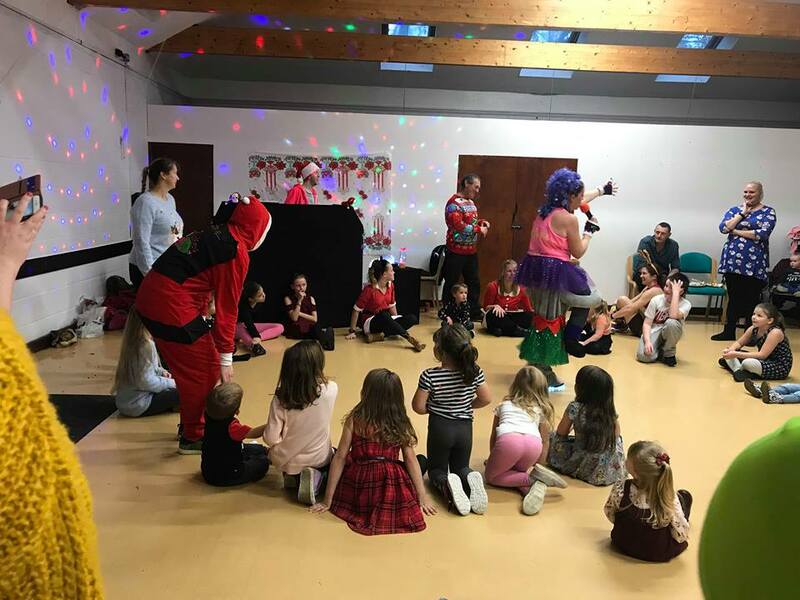 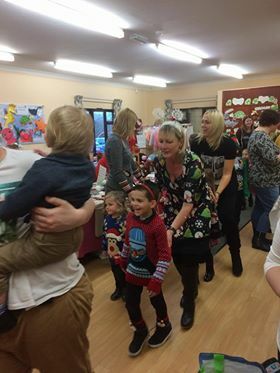 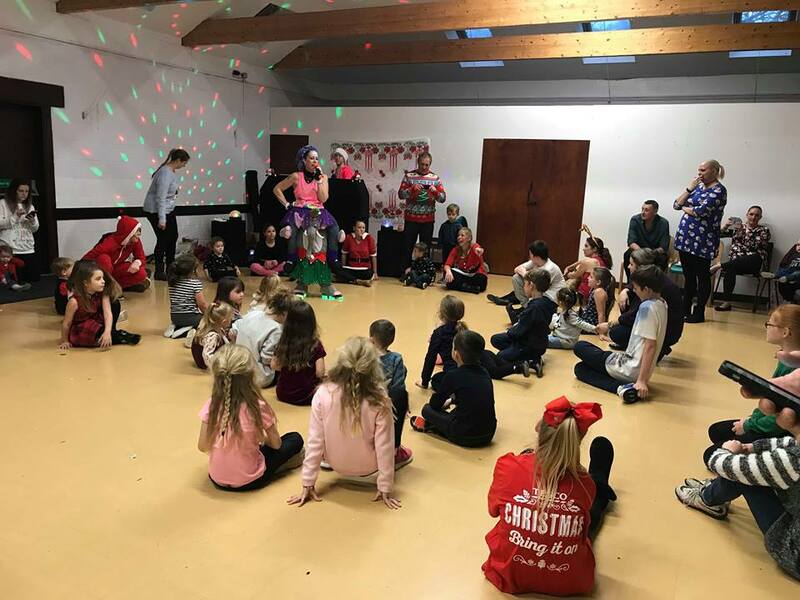 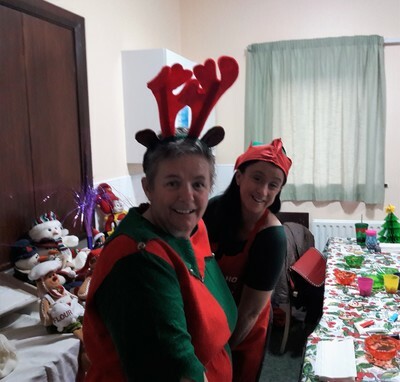 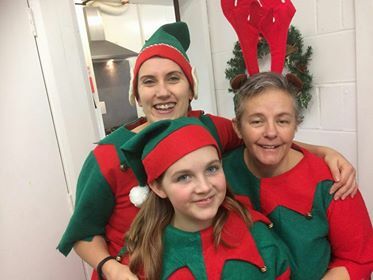 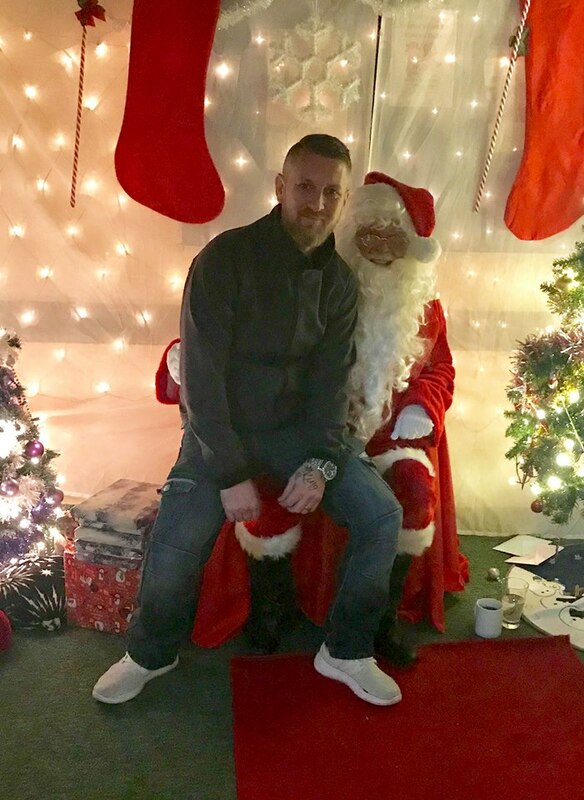 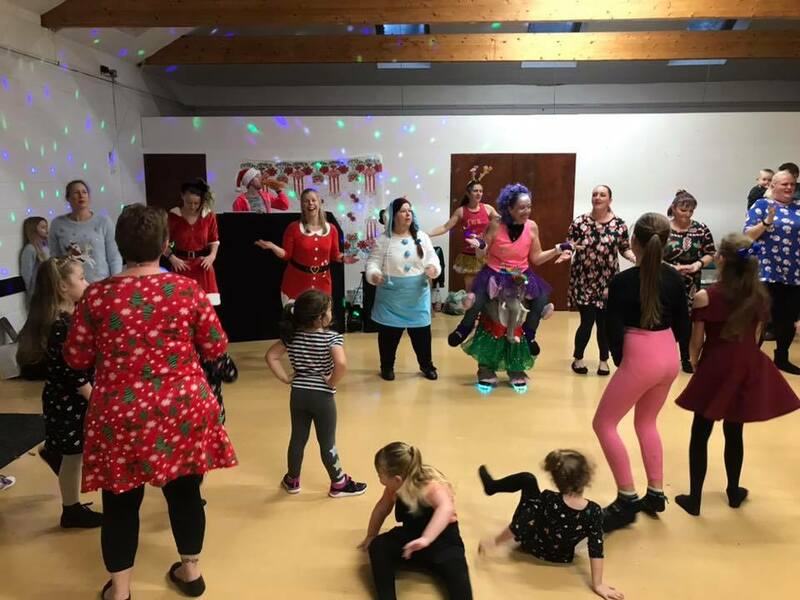 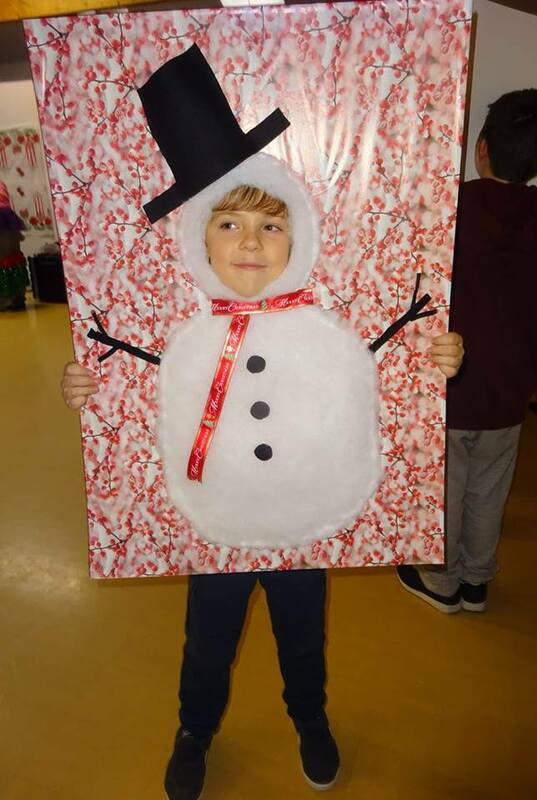 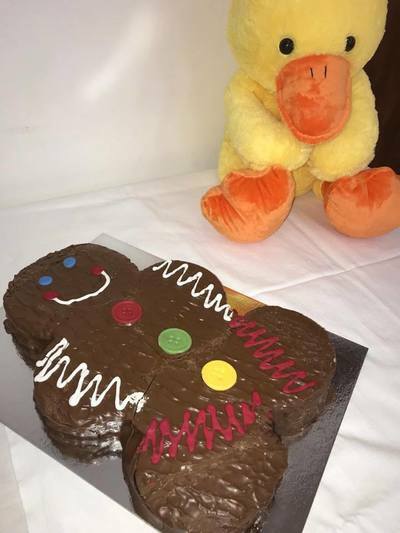 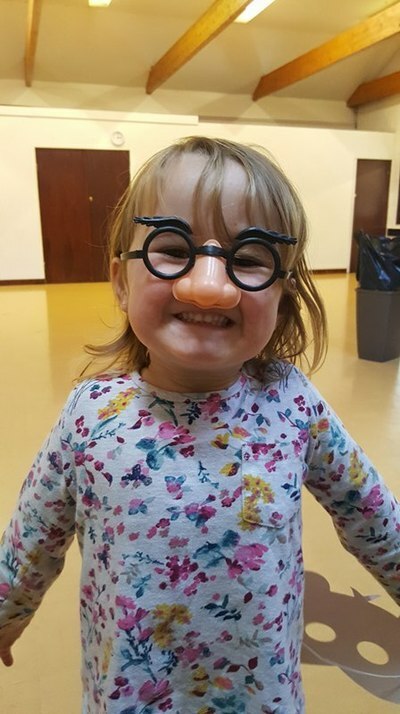 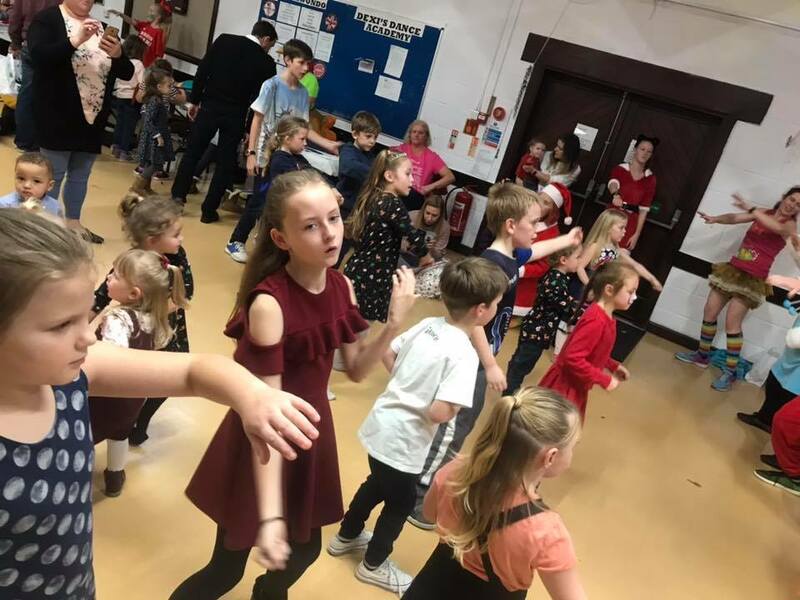 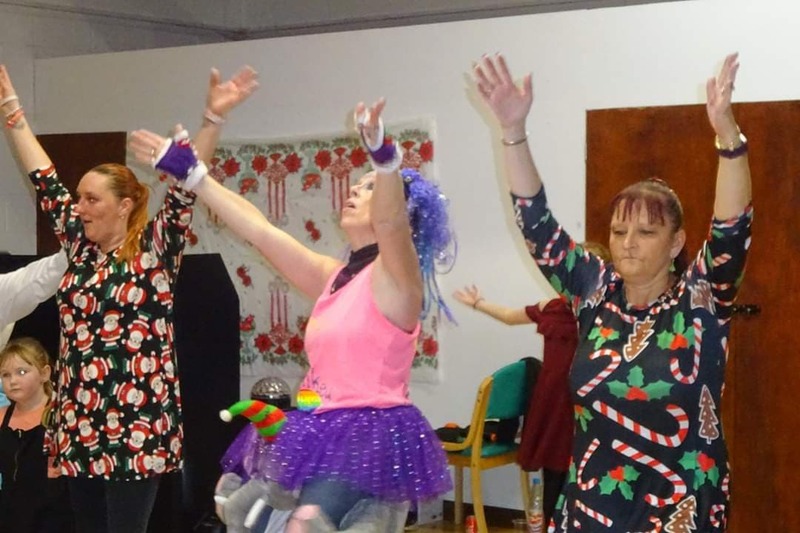 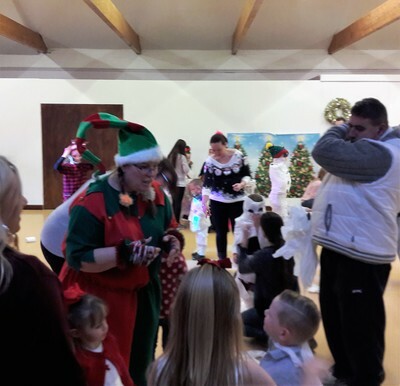 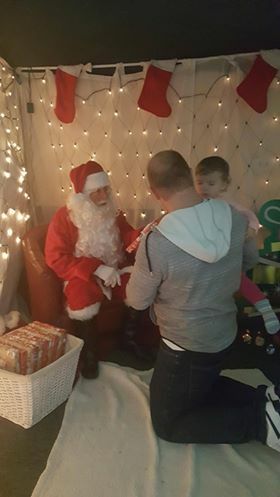 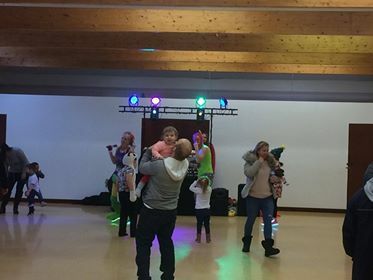 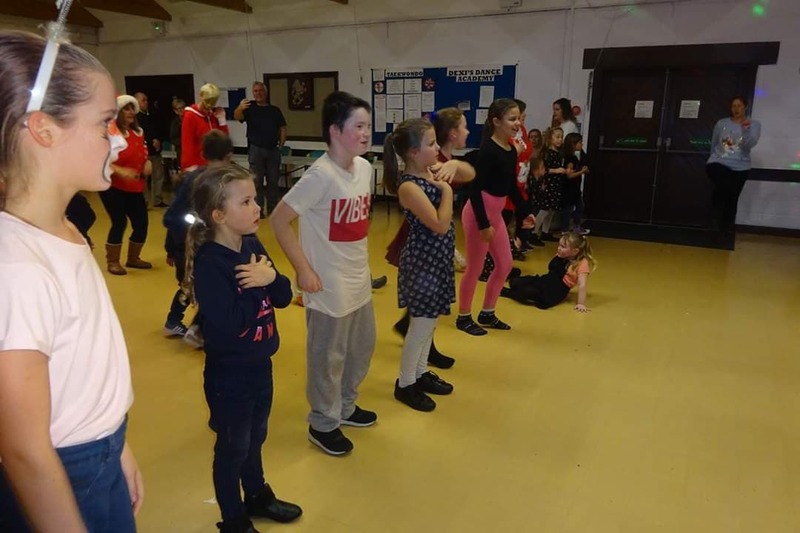 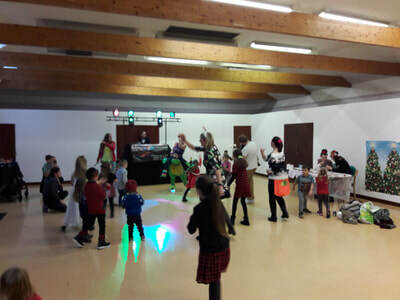 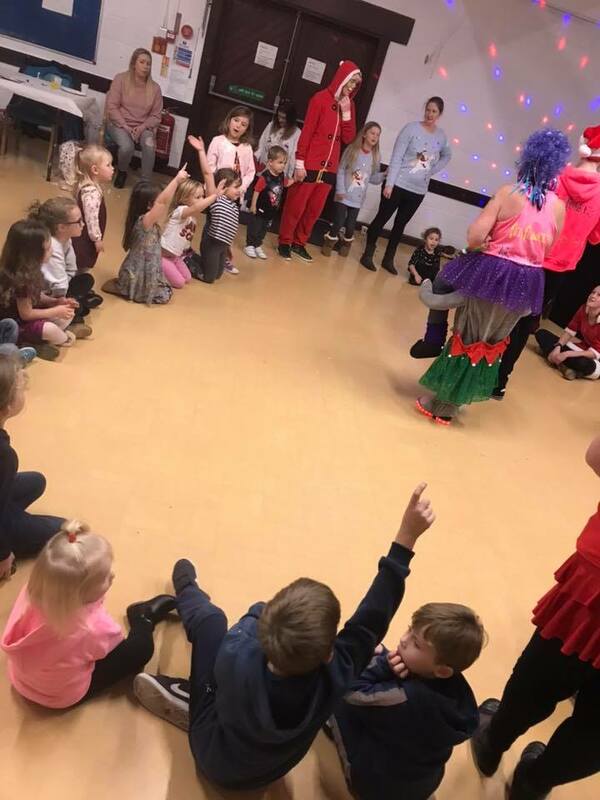 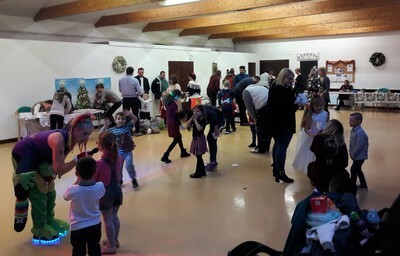 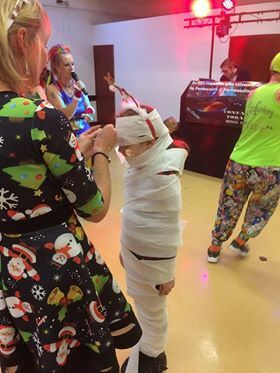 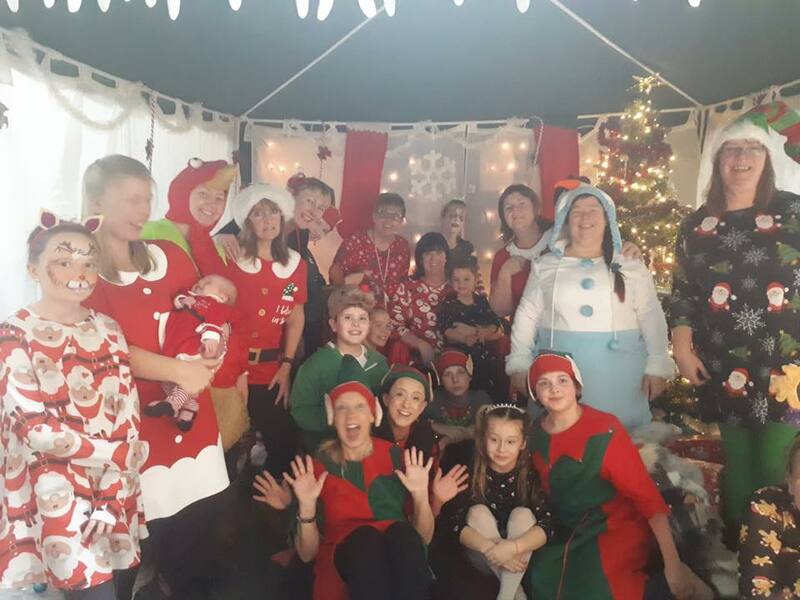 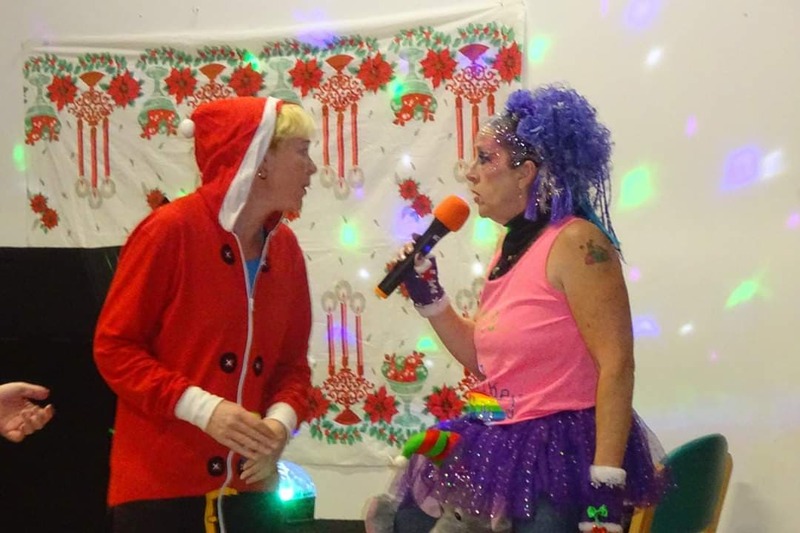 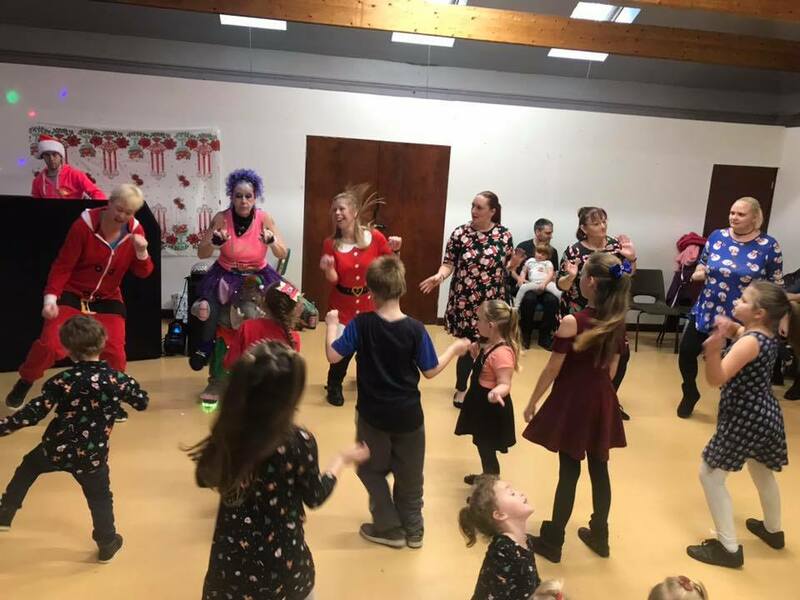 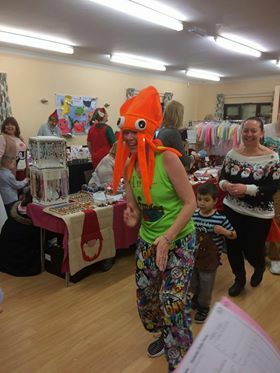 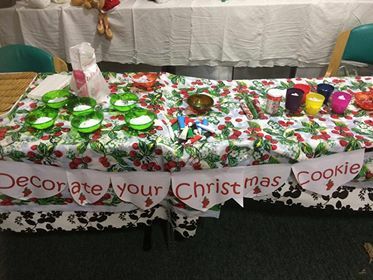 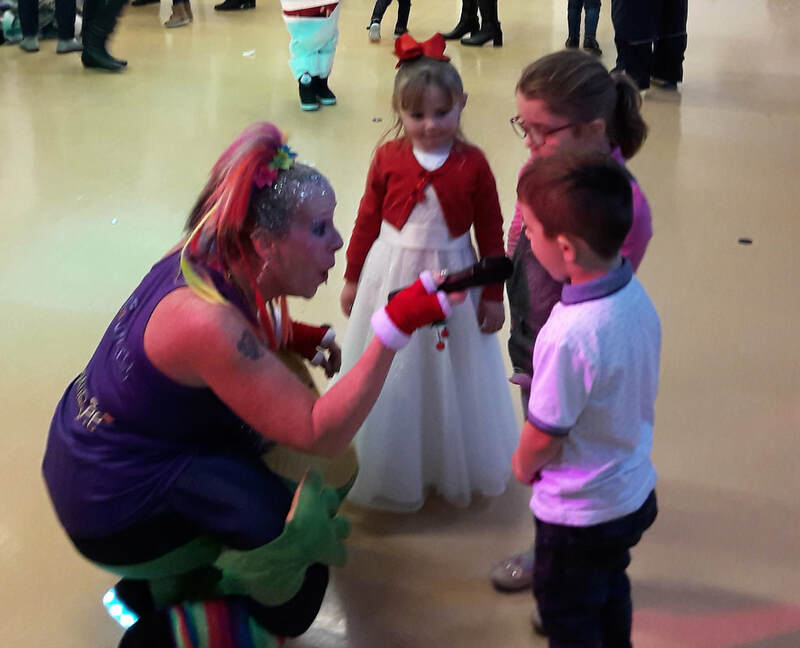 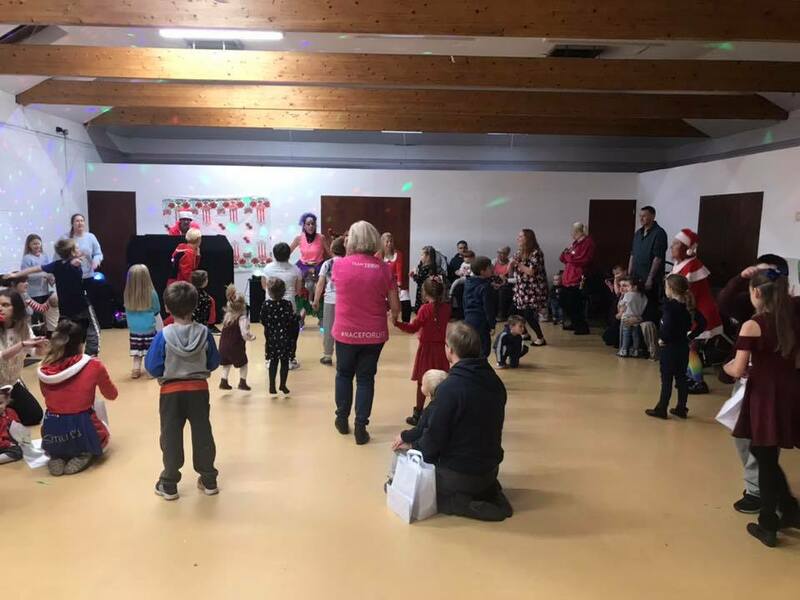 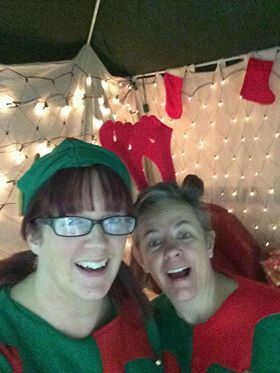 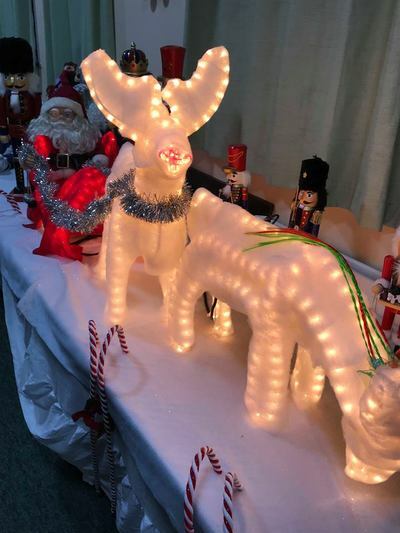 Springwood Families organised and hosted a fantastic Christmas party for the children in the community on Sunday 2nd December 2018. 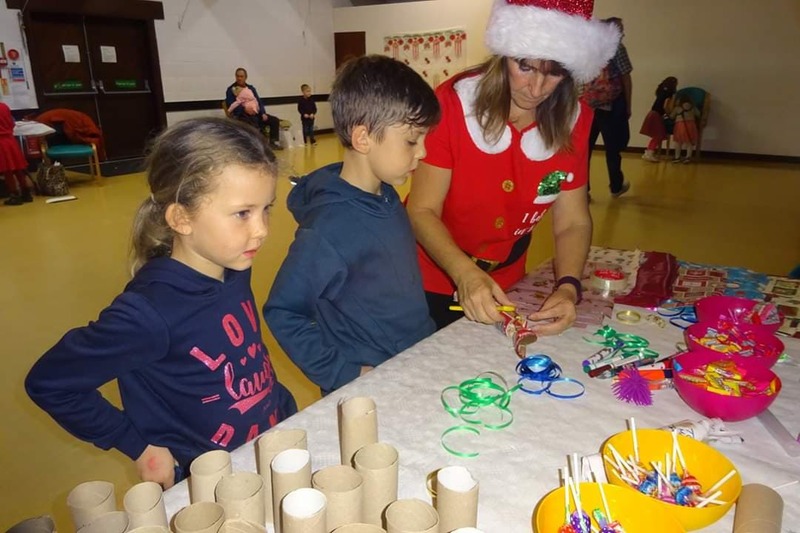 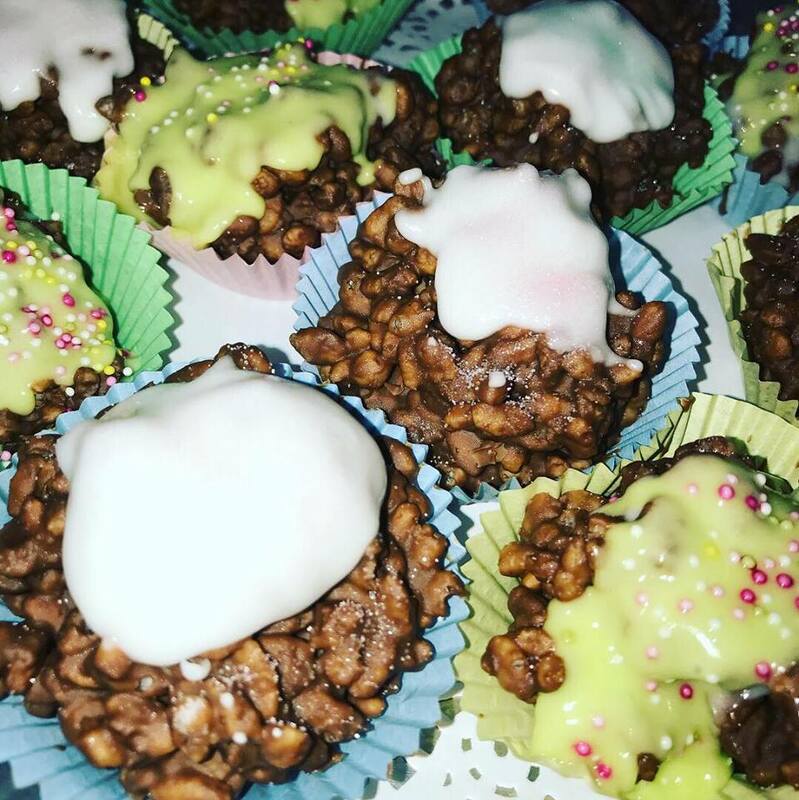 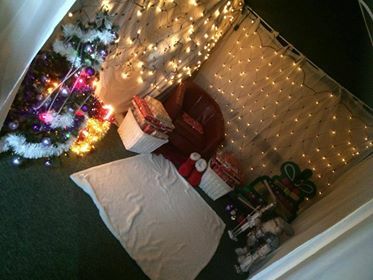 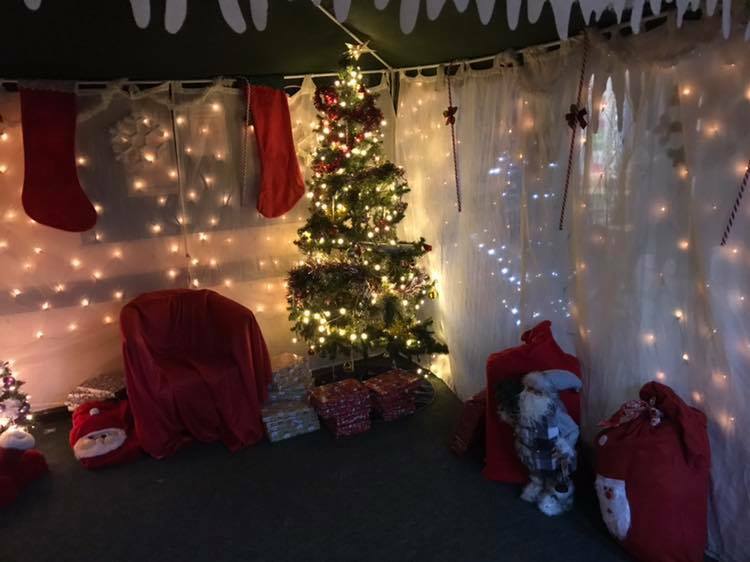 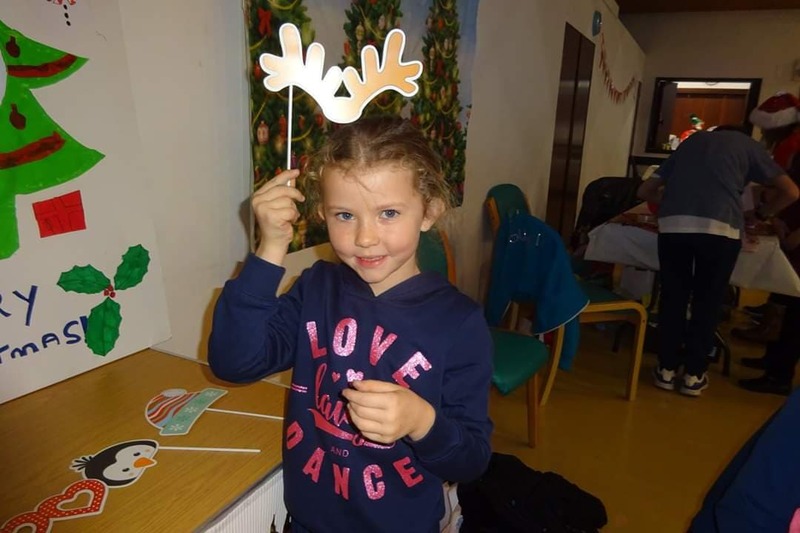 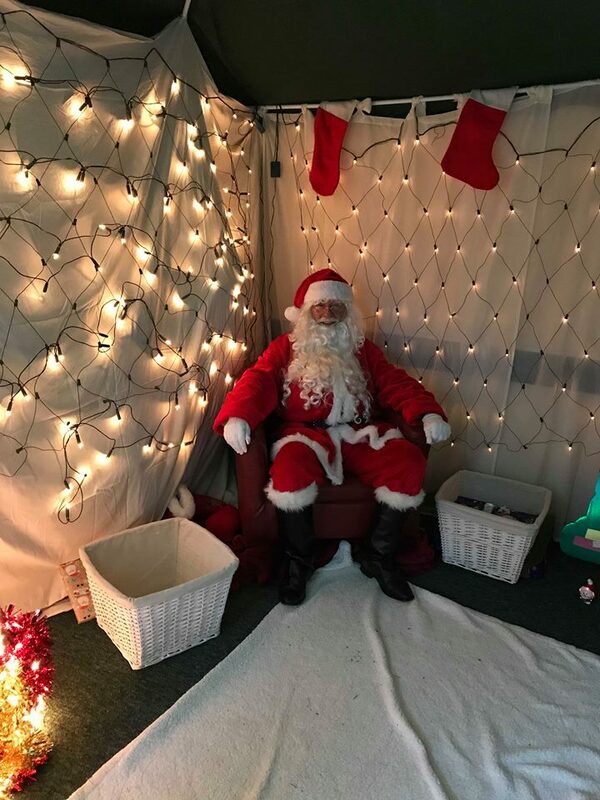 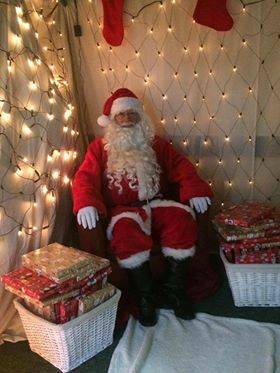 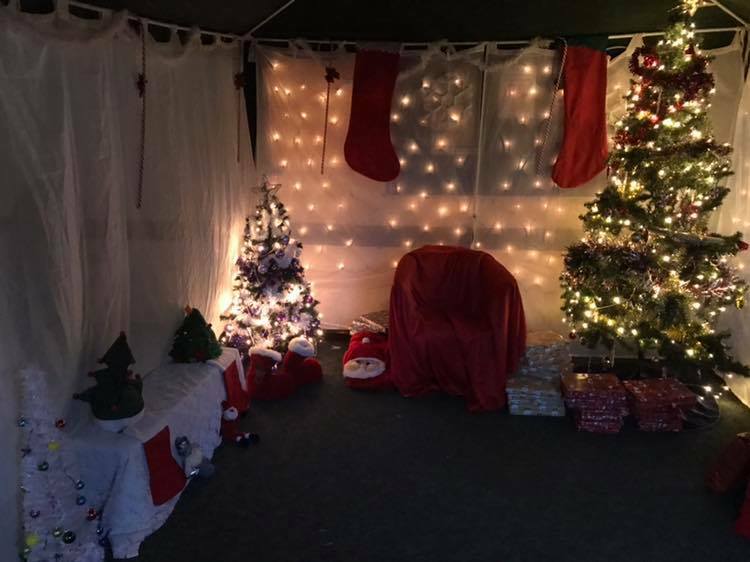 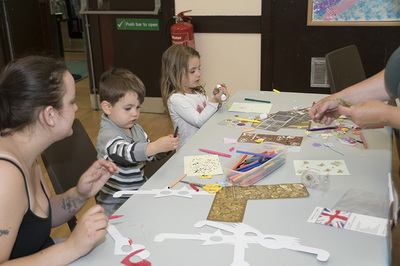 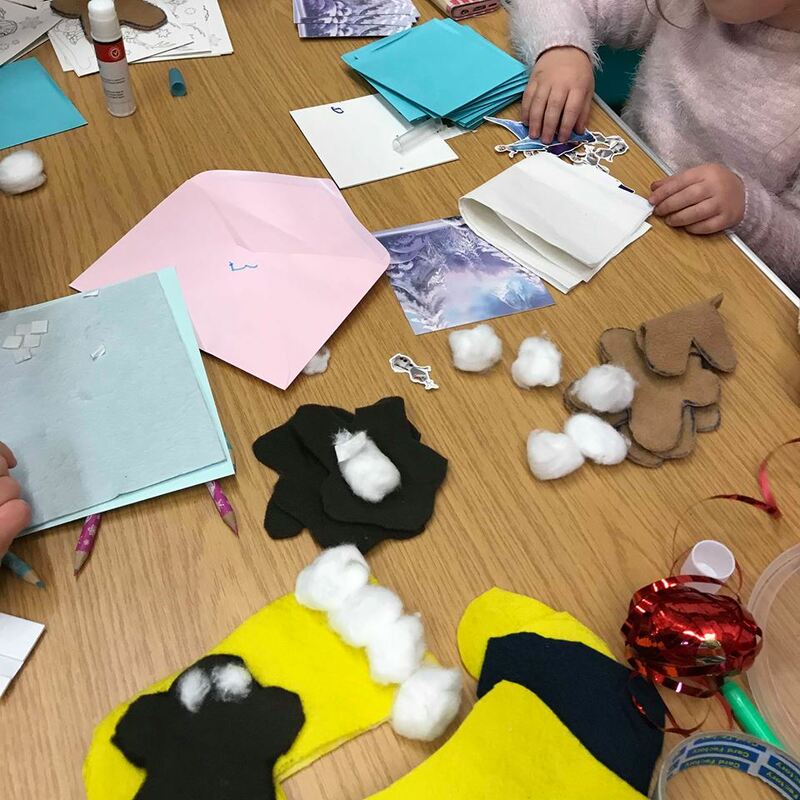 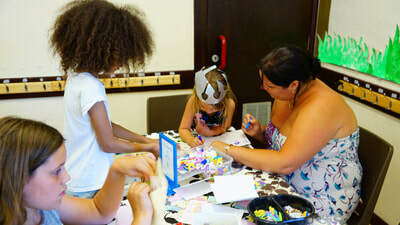 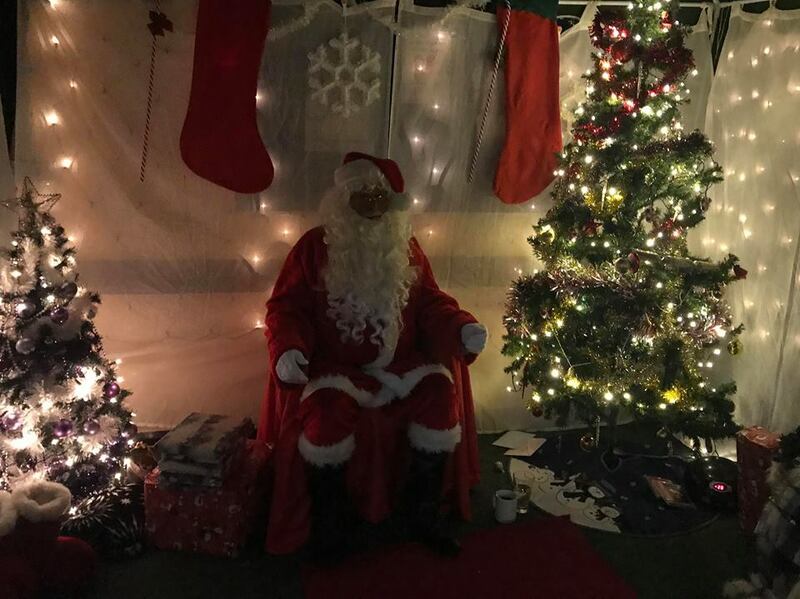 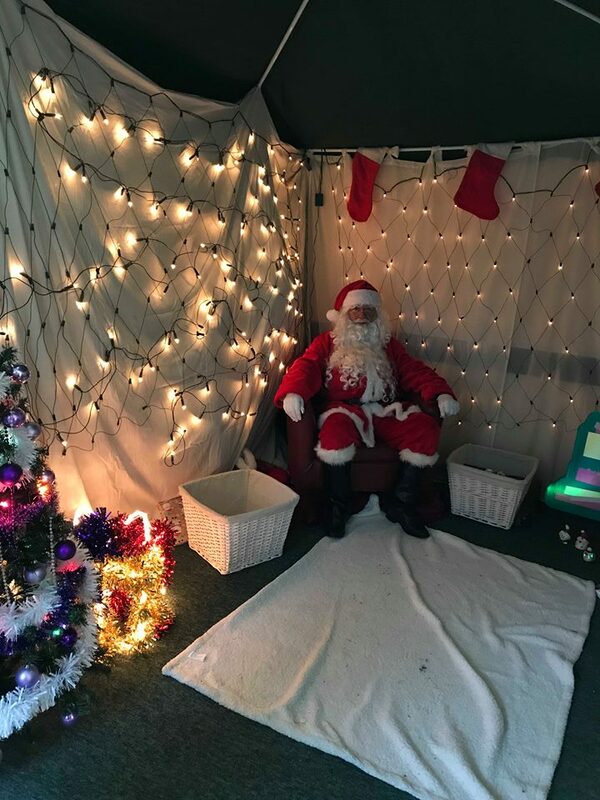 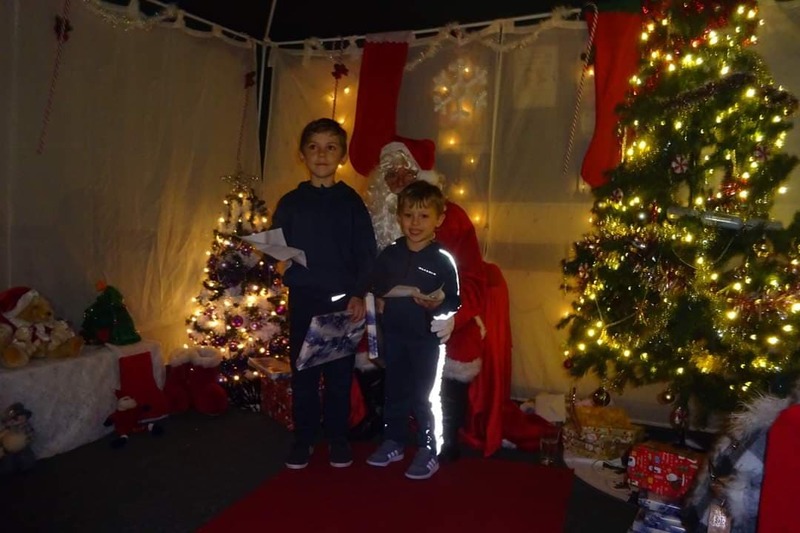 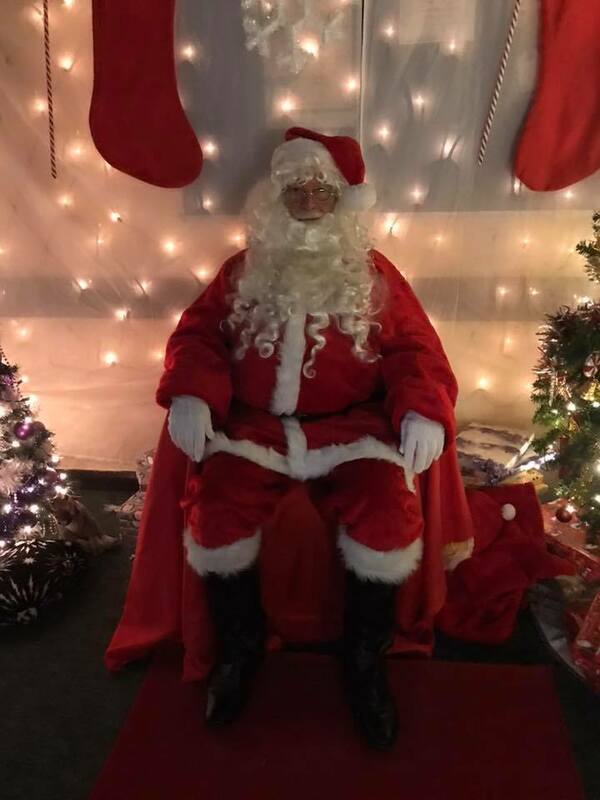 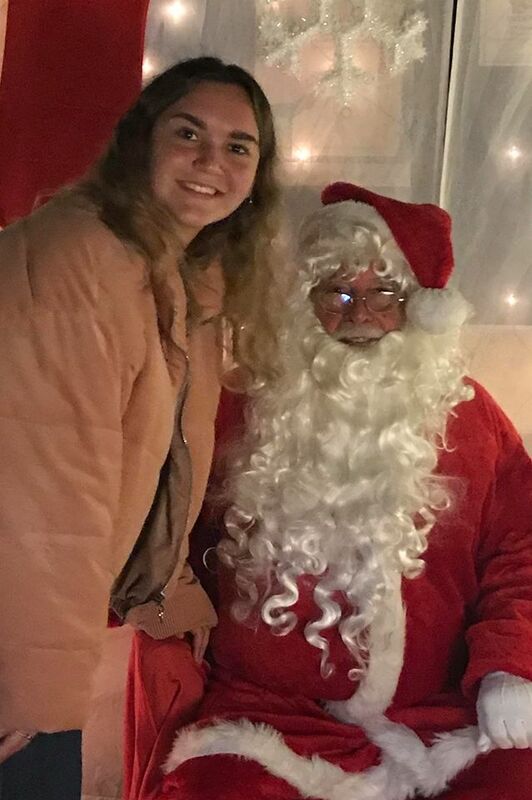 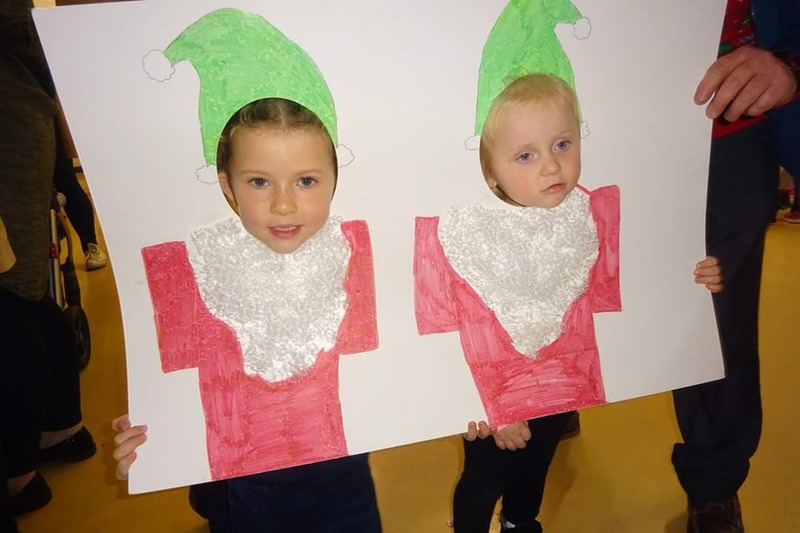 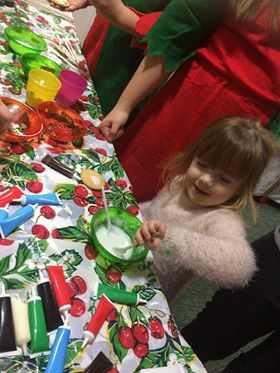 Children got to create their own Christmas cards & decorations, decorate cookies, play games, enjoy a disco & buffet and best of all visit Father Christmas in his grotto. 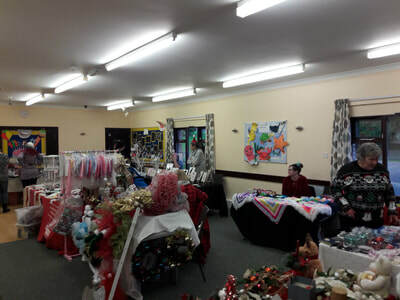 A Christmas market was also available for the adults to browse. 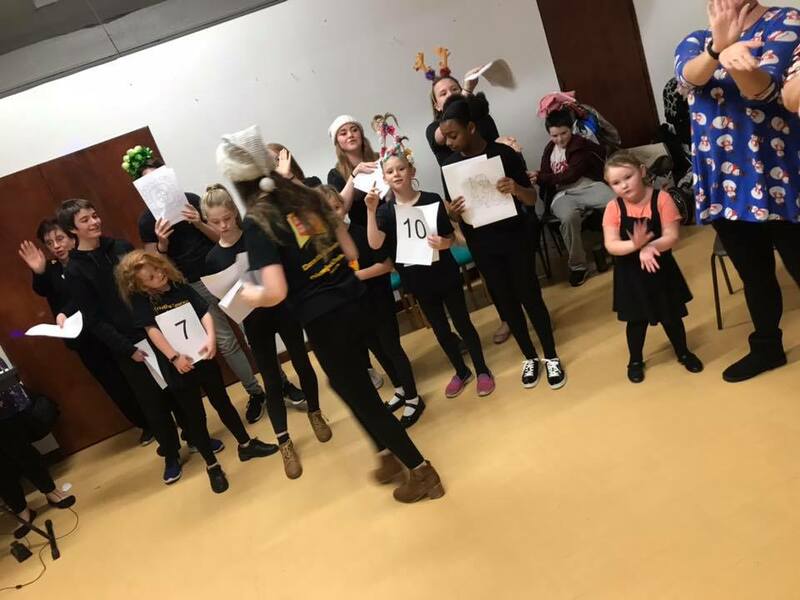 To complete the day, Children from Stage coach performing arts school entertained us with Christmas Carols & Songs. 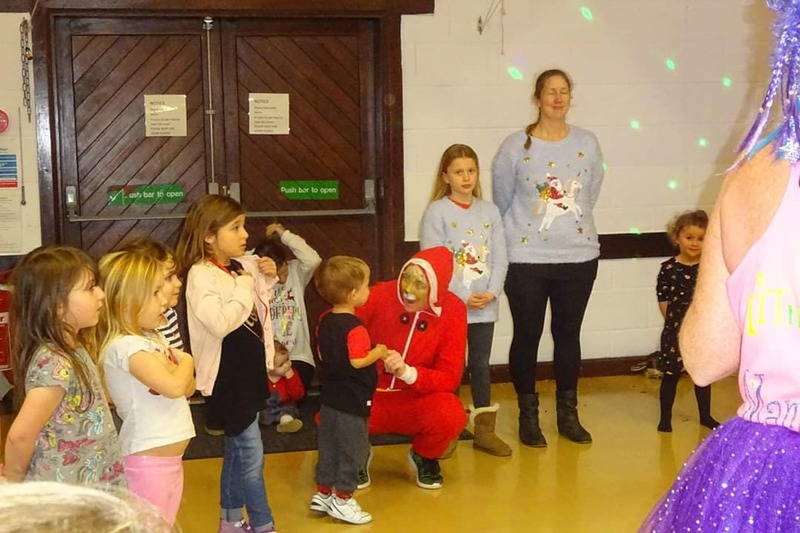 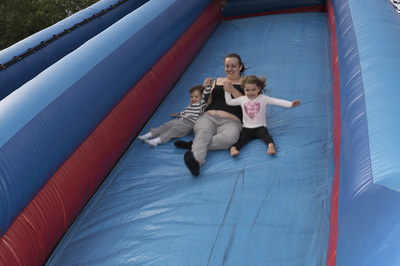 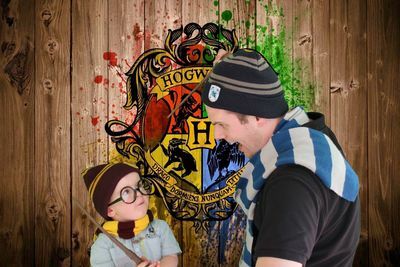 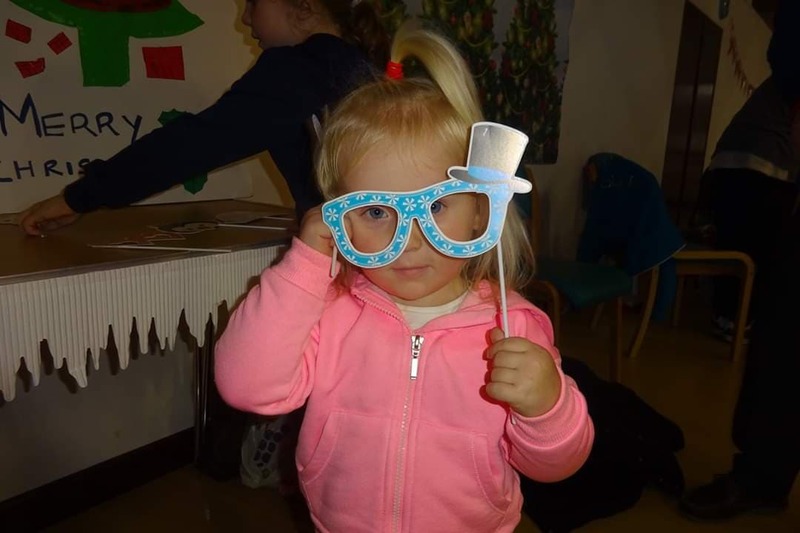 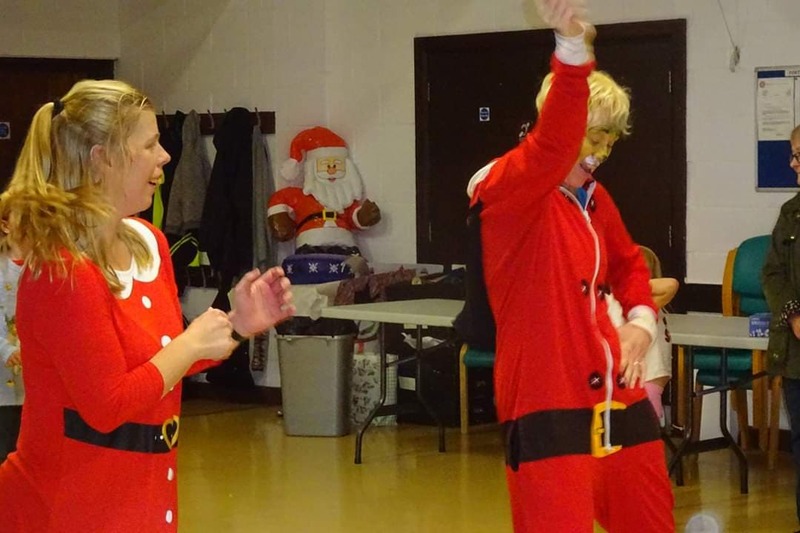 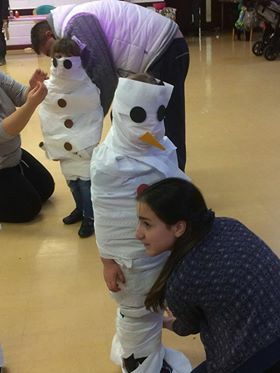 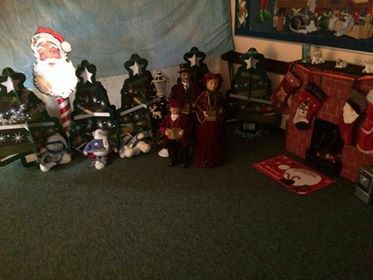 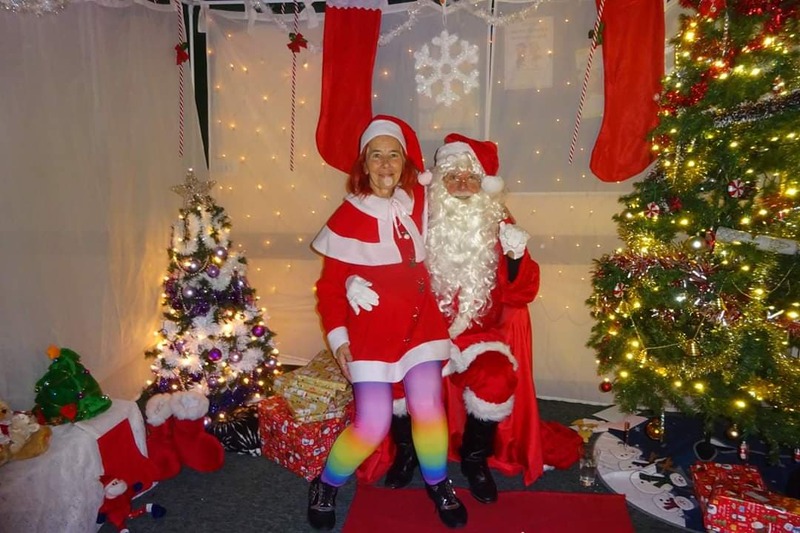 Springwood families organised a fantastic Christmas party for the children which took place on Sunday 3rd December. 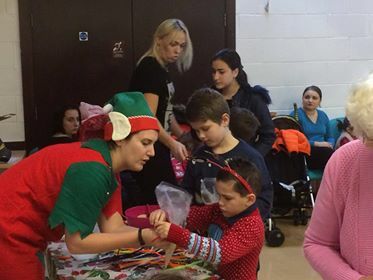 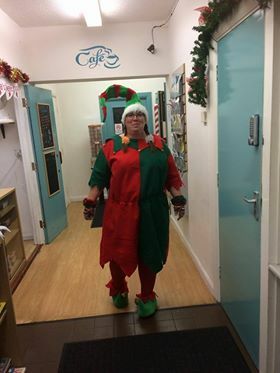 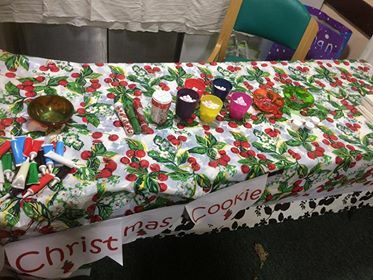 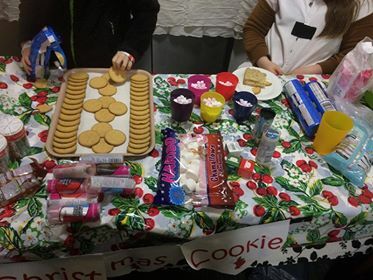 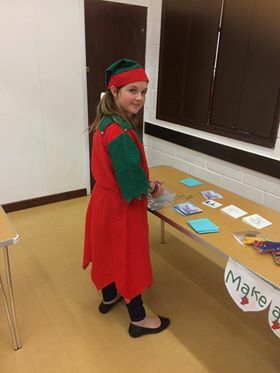 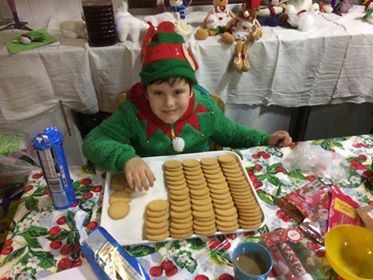 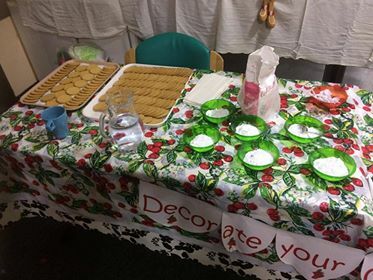 The children got to decorate cookies, make gift bags, crackers, play games with the elves and also visit Father Christmas. 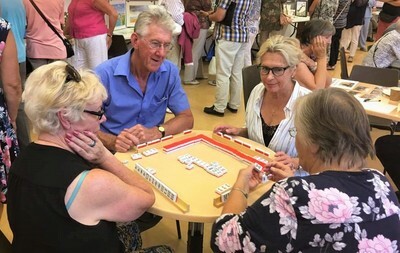 A great afternoon was had by all who attended. 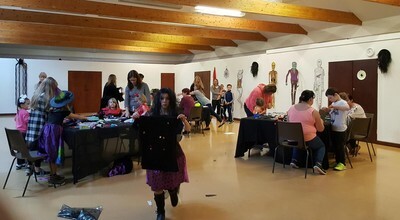 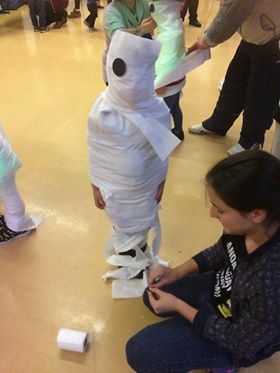 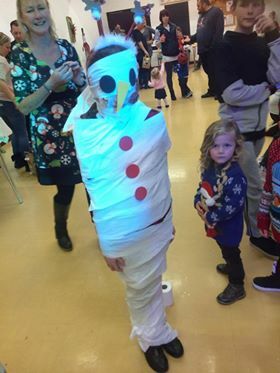 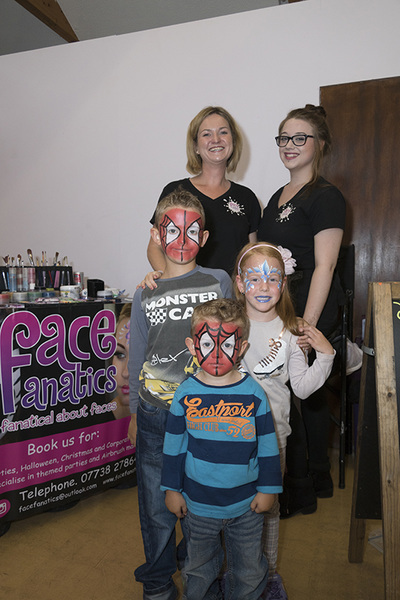 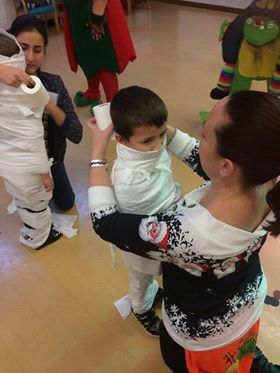 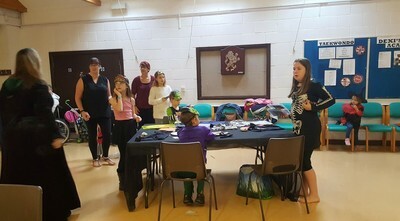 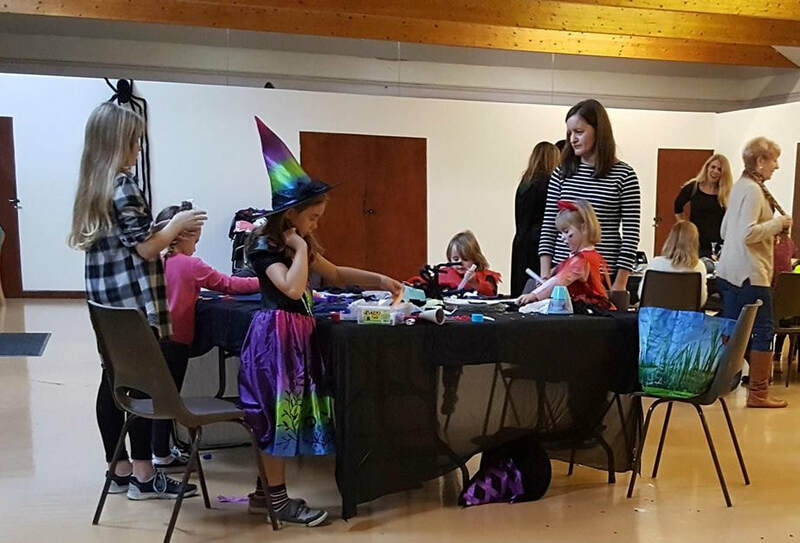 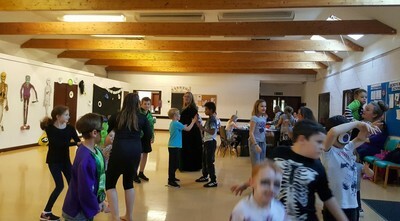 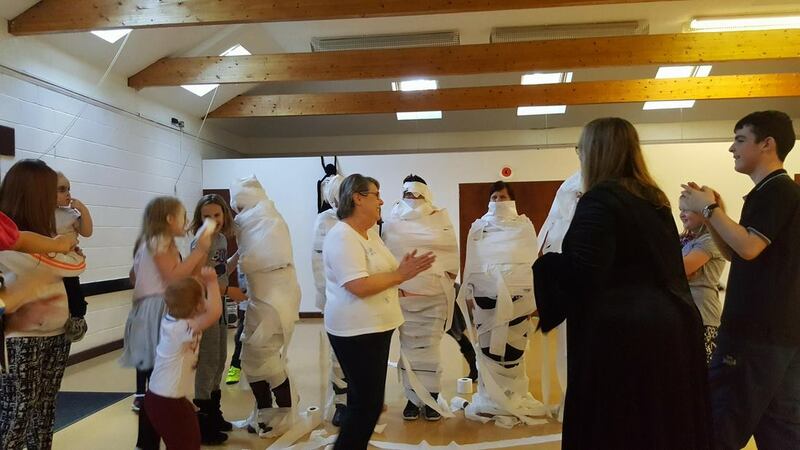 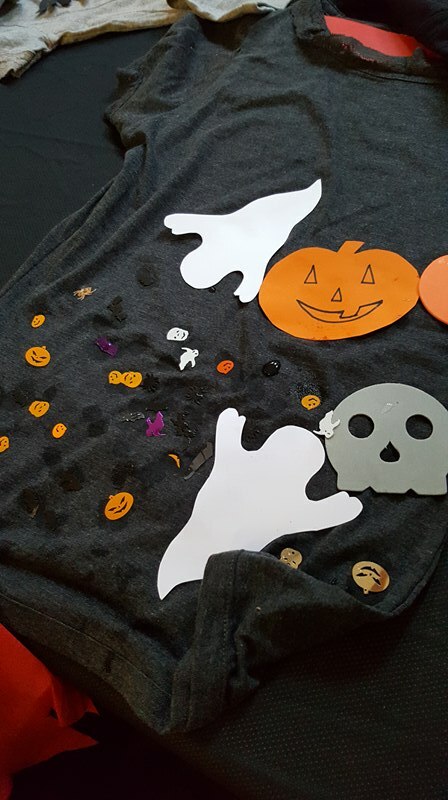 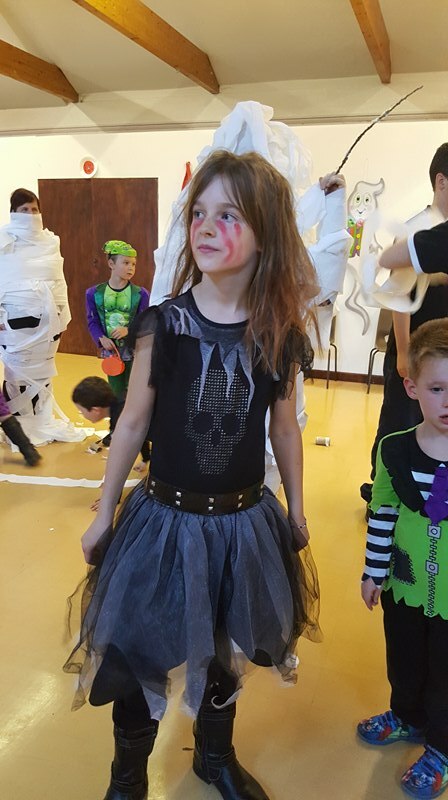 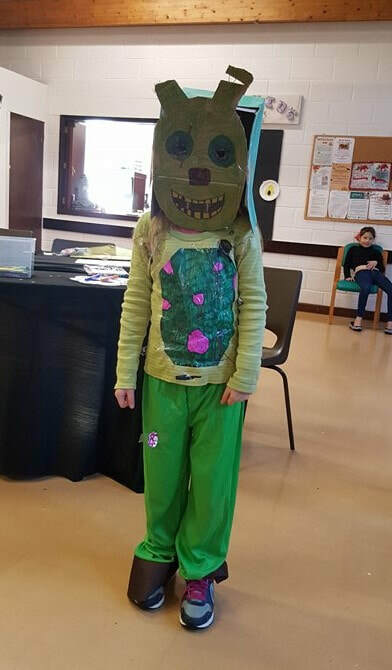 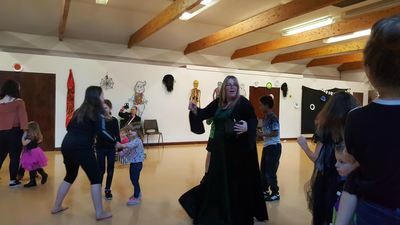 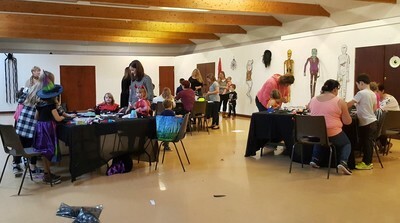 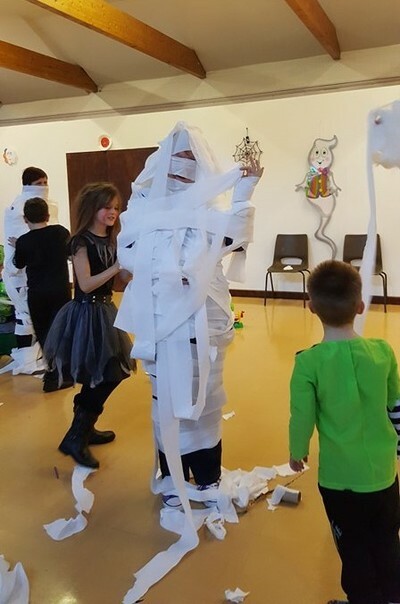 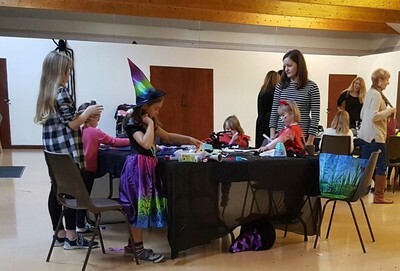 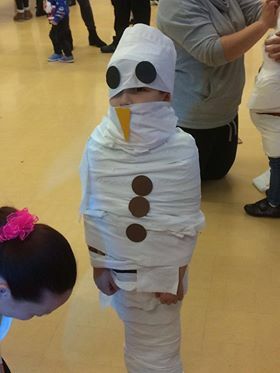 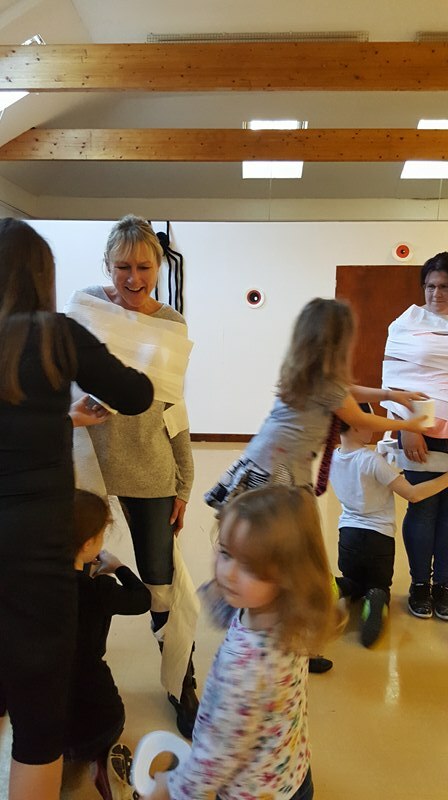 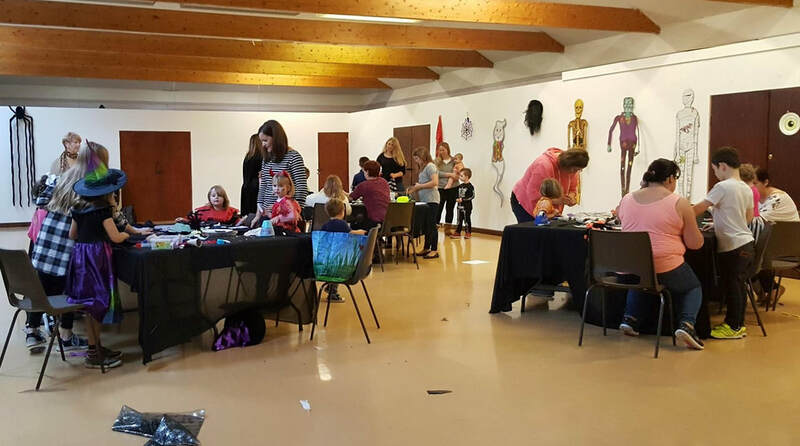 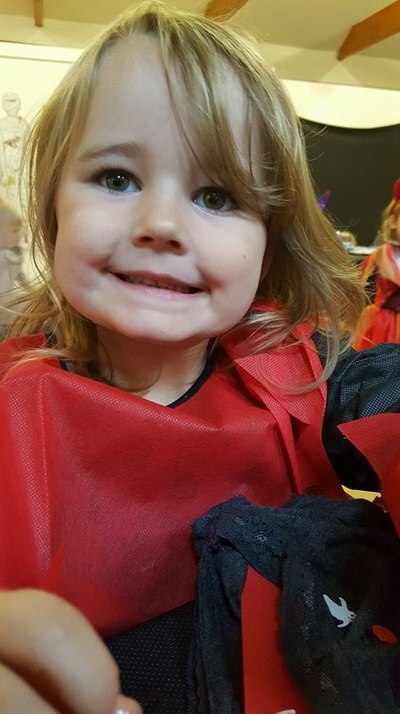 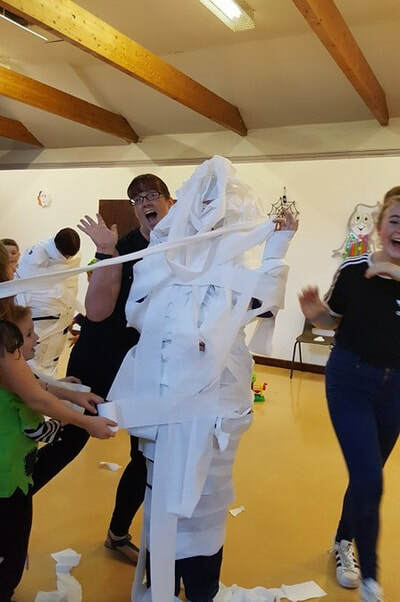 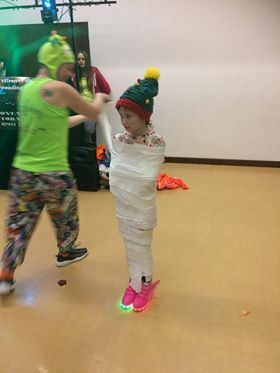 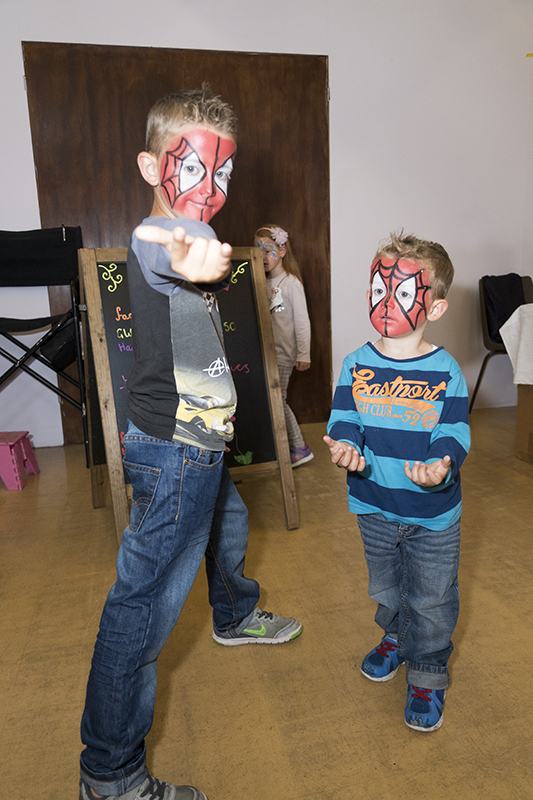 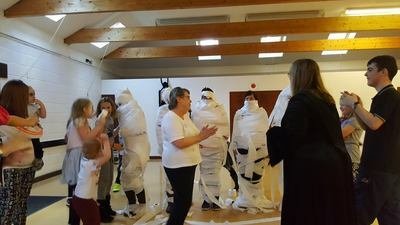 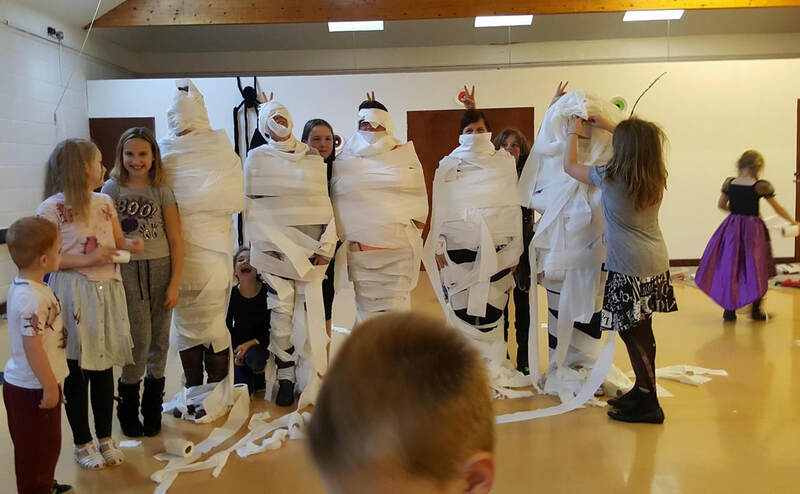 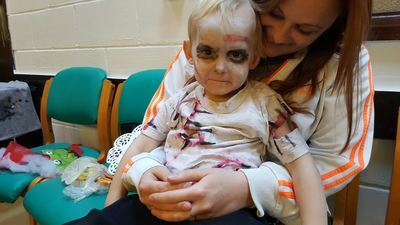 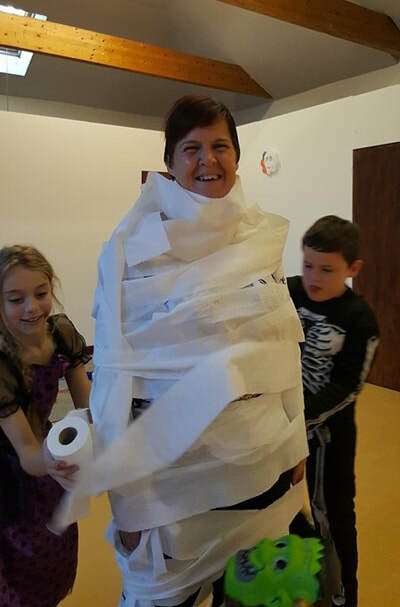 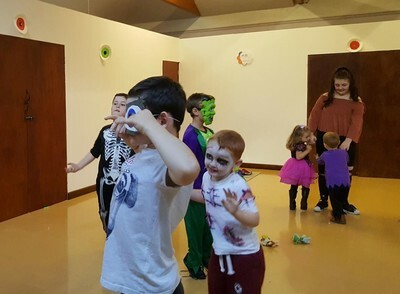 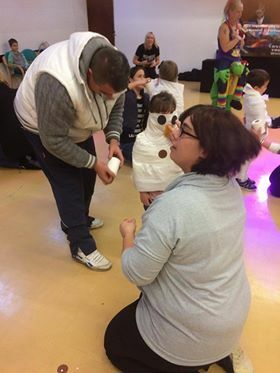 Some Spooktacular fun was had by many children On Wednesday 25th October to celebrate Halloween with some crafts and a fangtastic party. 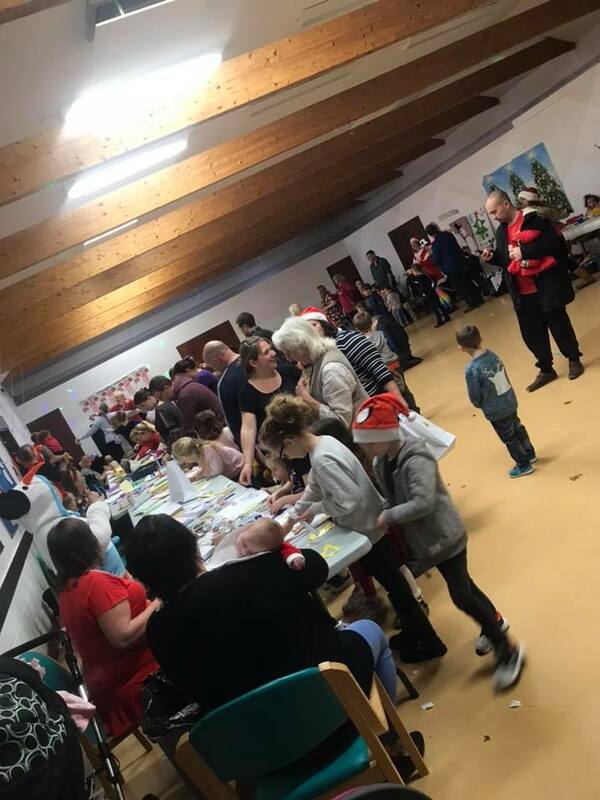 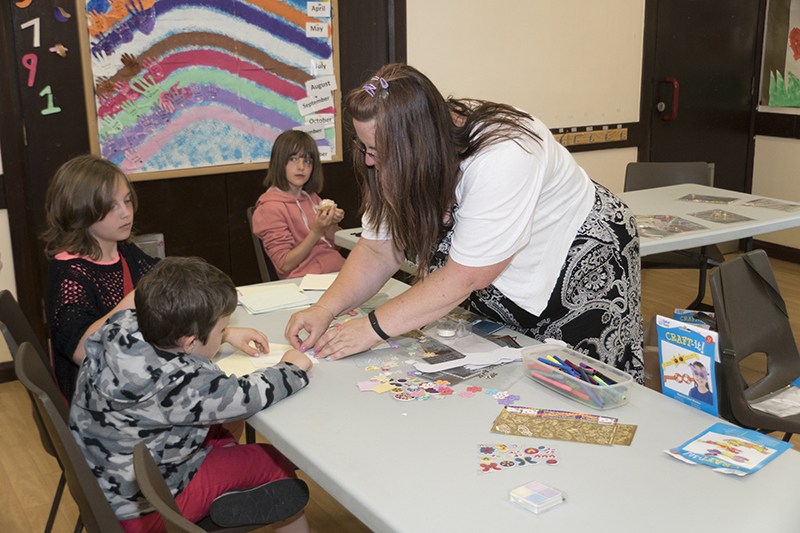 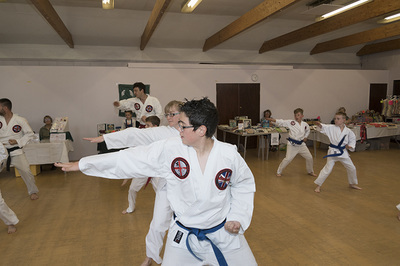 Thank you to everyone who came along and joined in the fun. 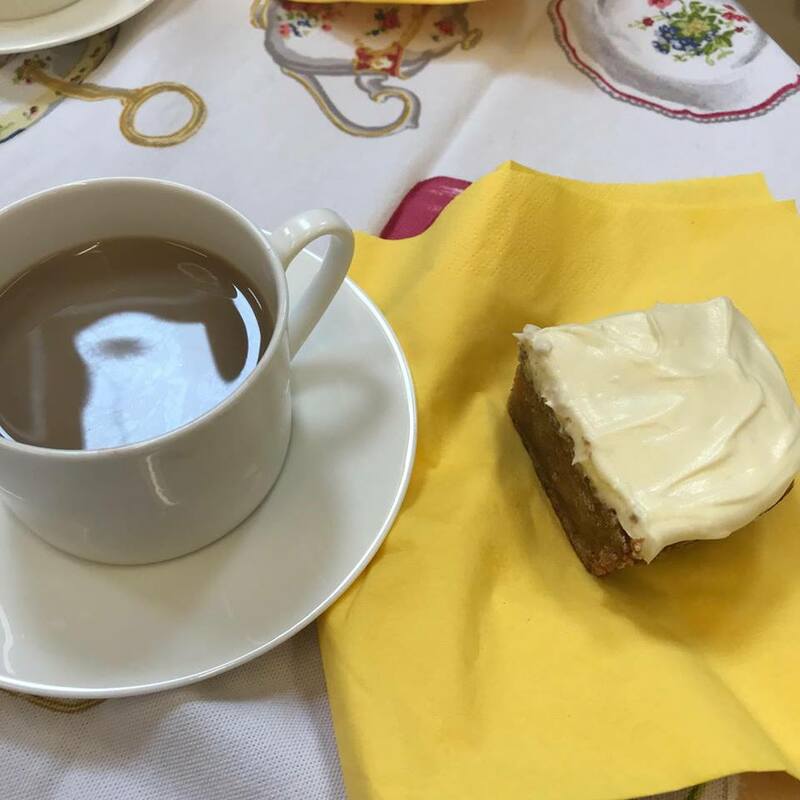 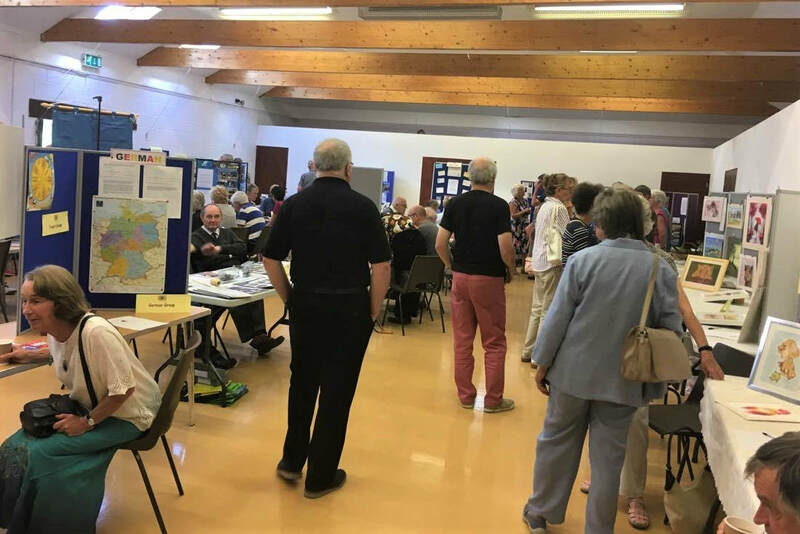 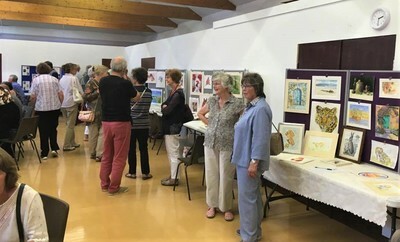 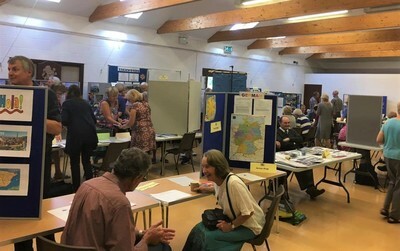 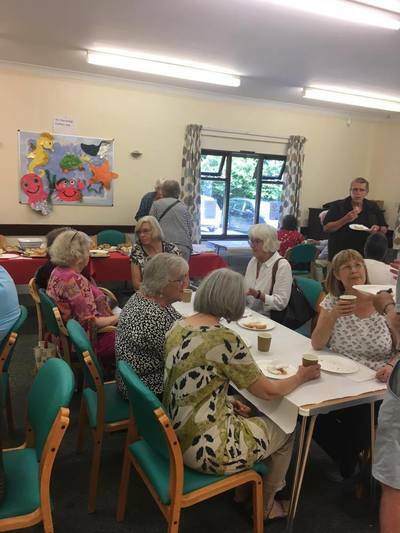 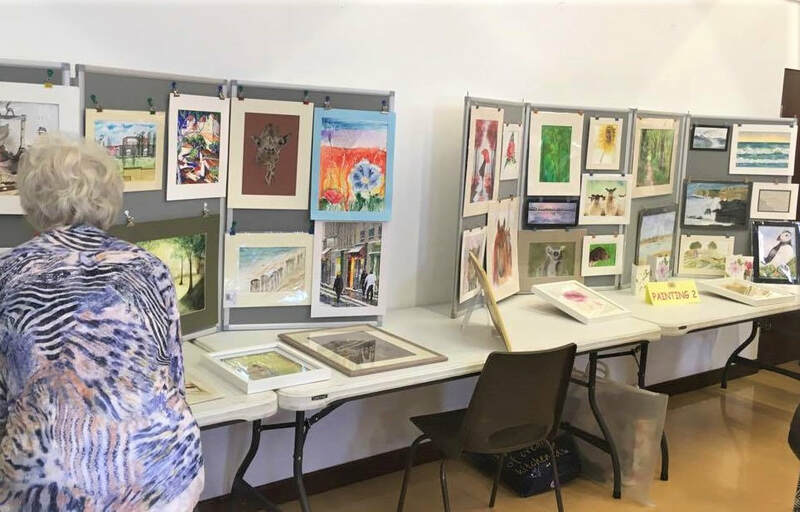 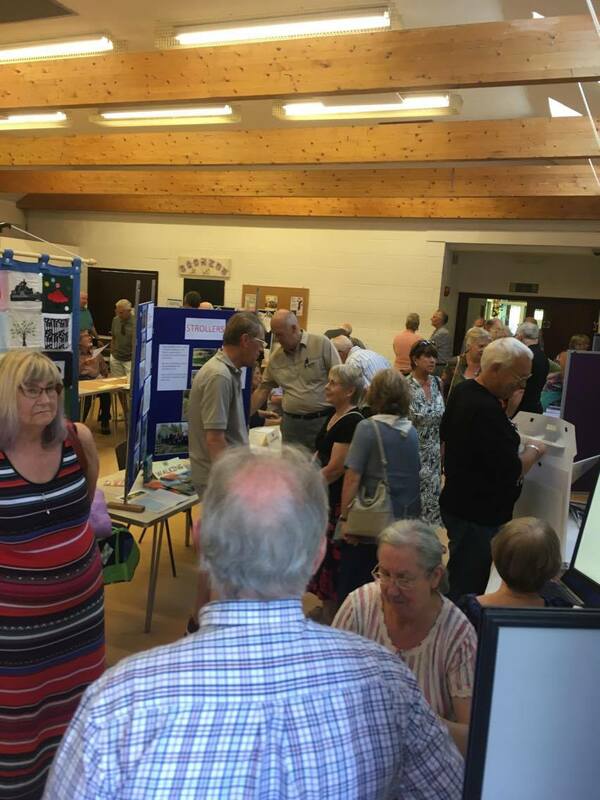 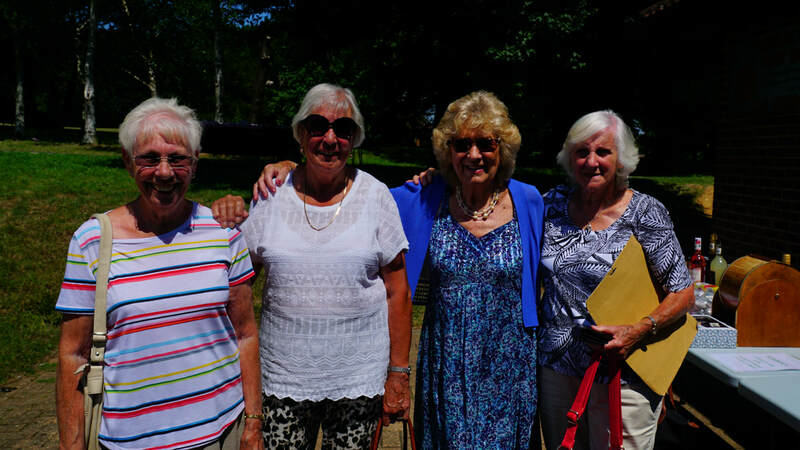 U3A held their annual 'open day' on Wednesday 16th August 2017. 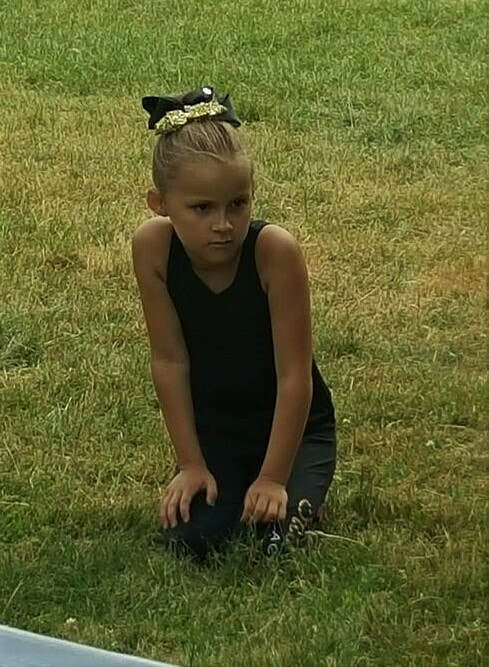 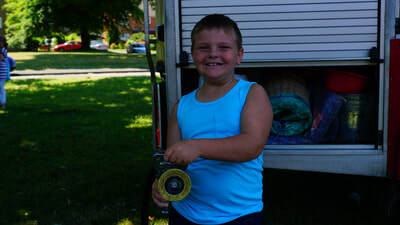 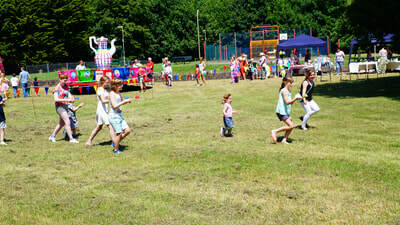 It was a very busy and enjoyable day and a great time was had by all. 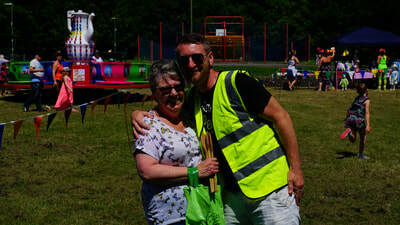 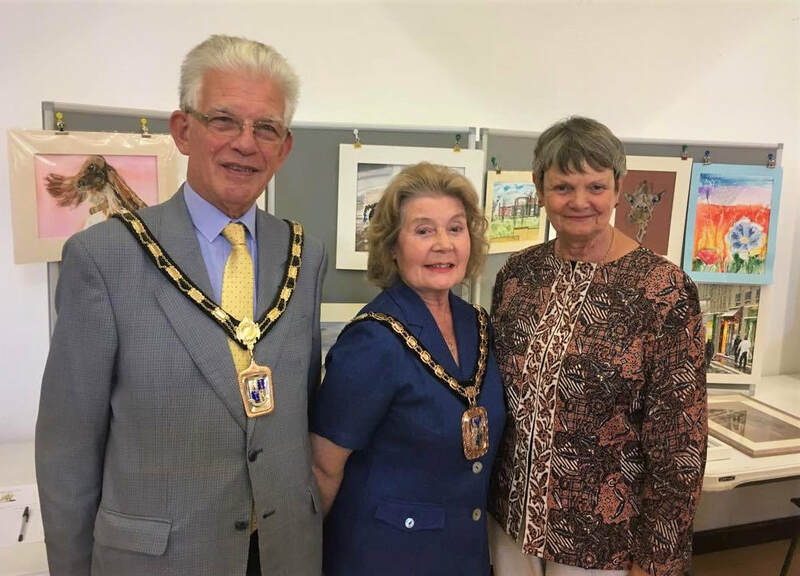 ​Madam Mayor of Havant, councillor Elaine Shimbart, along with her Consort, councillor Gerald Shimbart, also enjoyed the day. 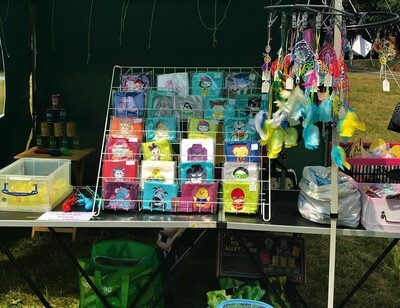 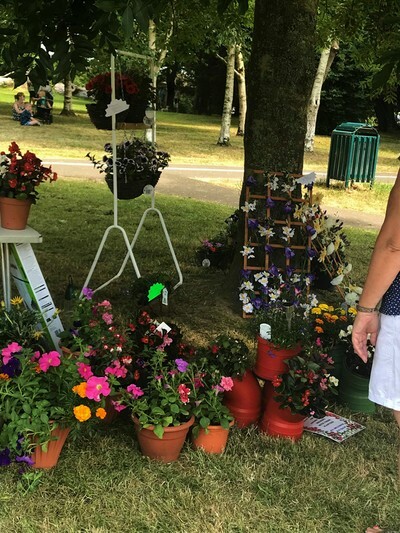 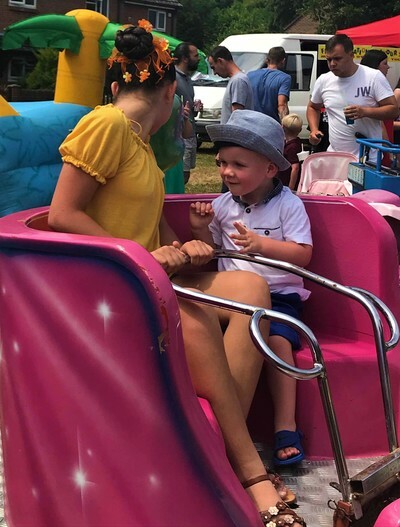 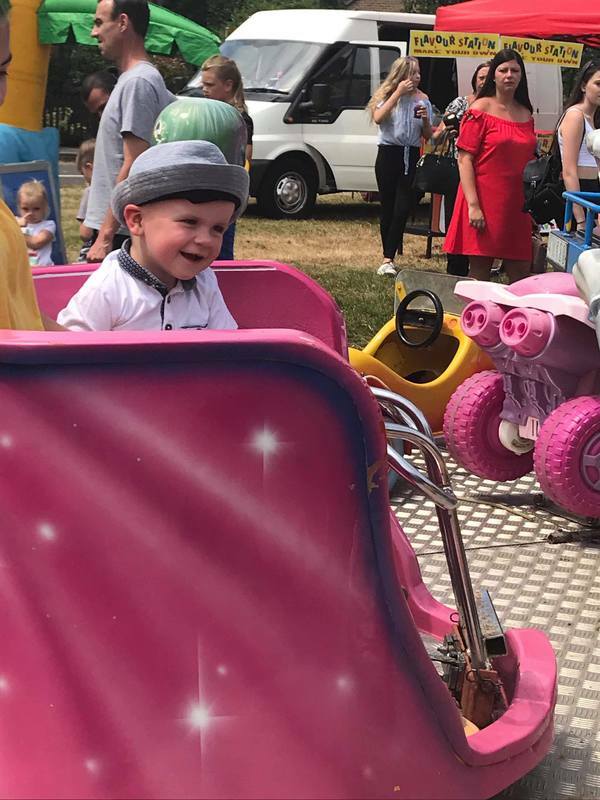 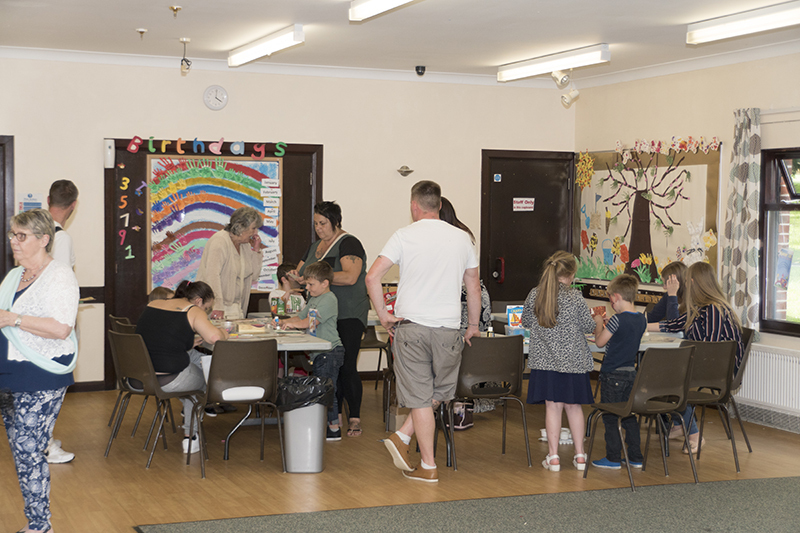 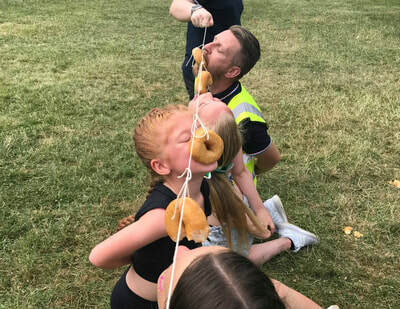 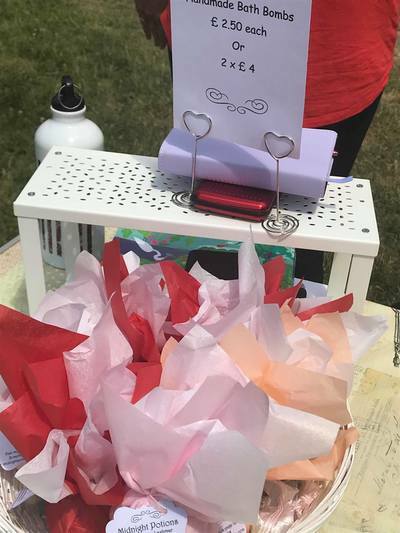 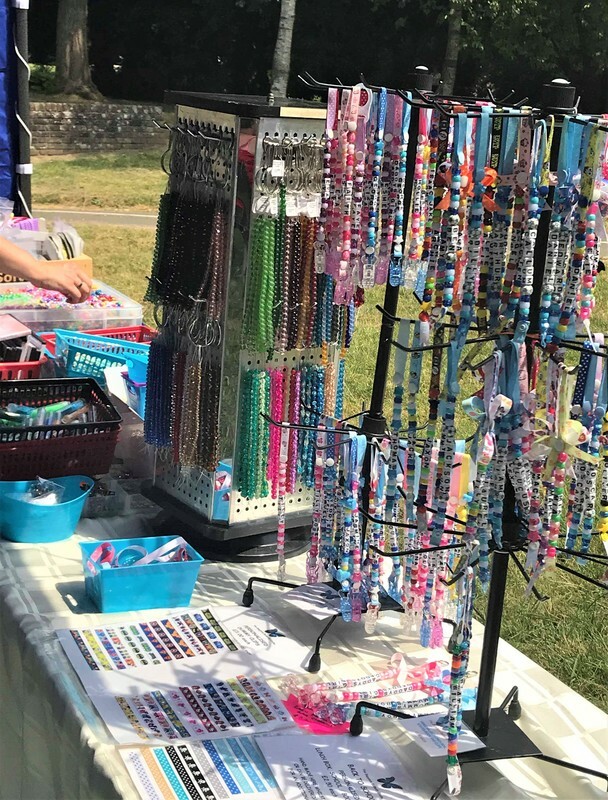 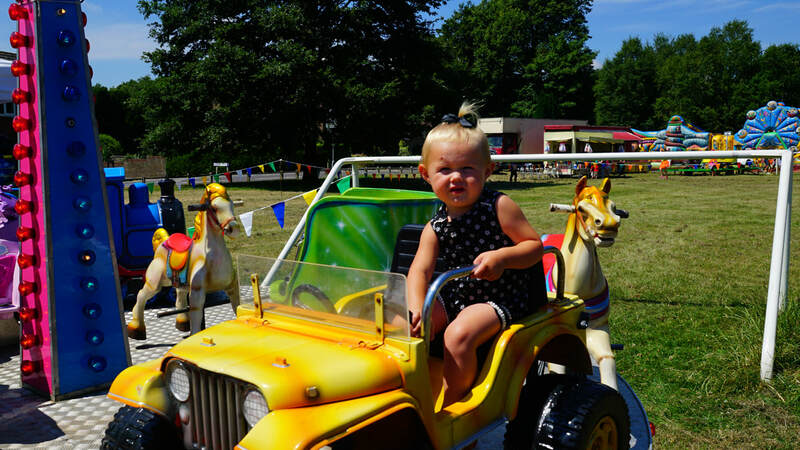 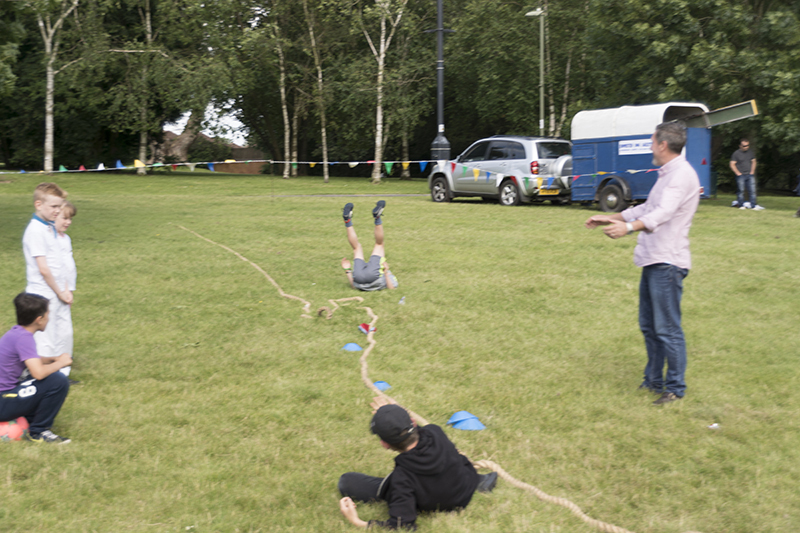 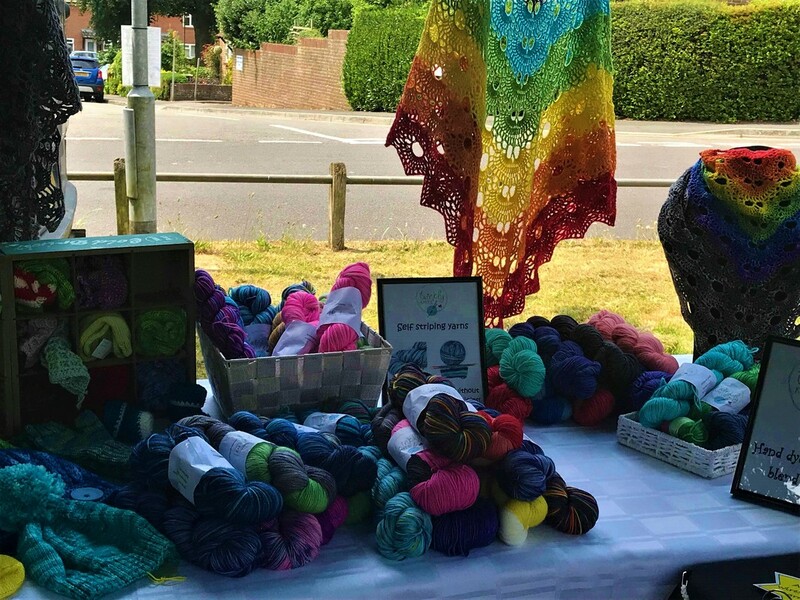 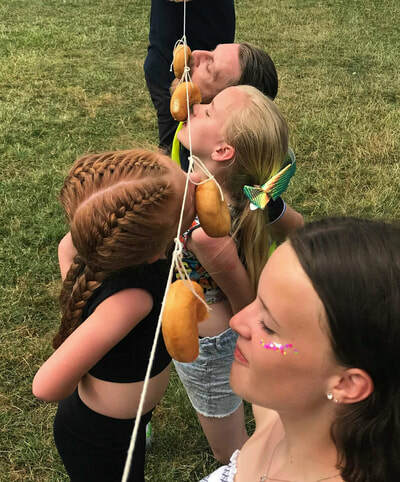 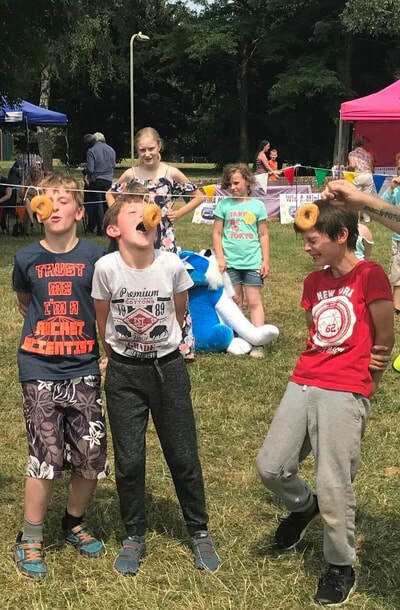 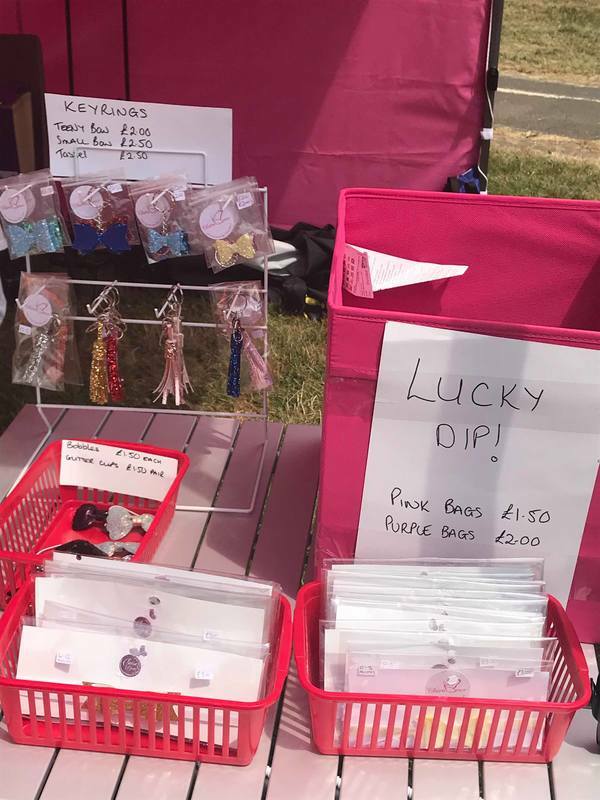 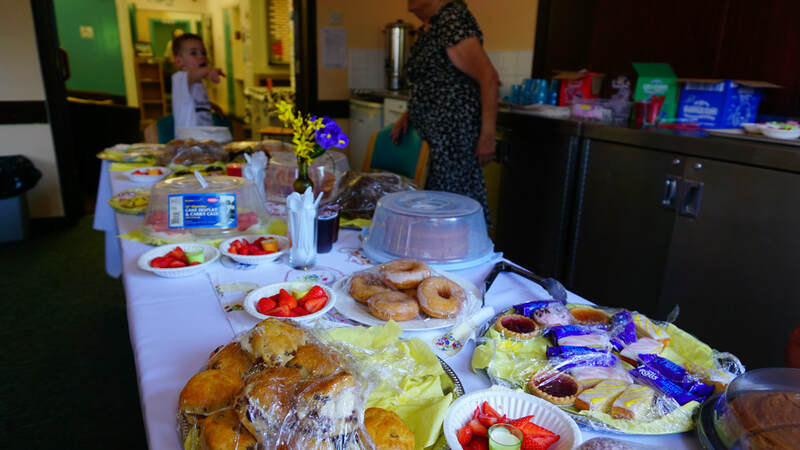 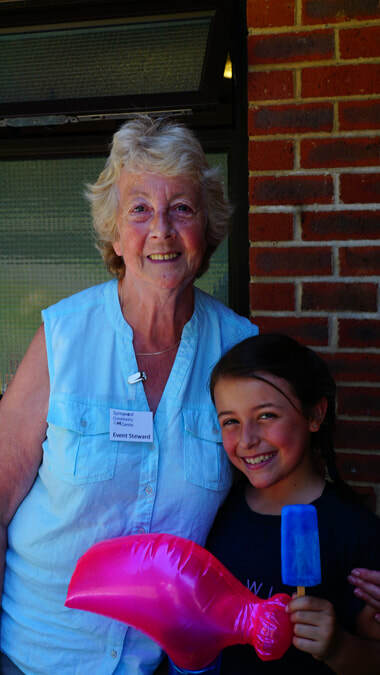 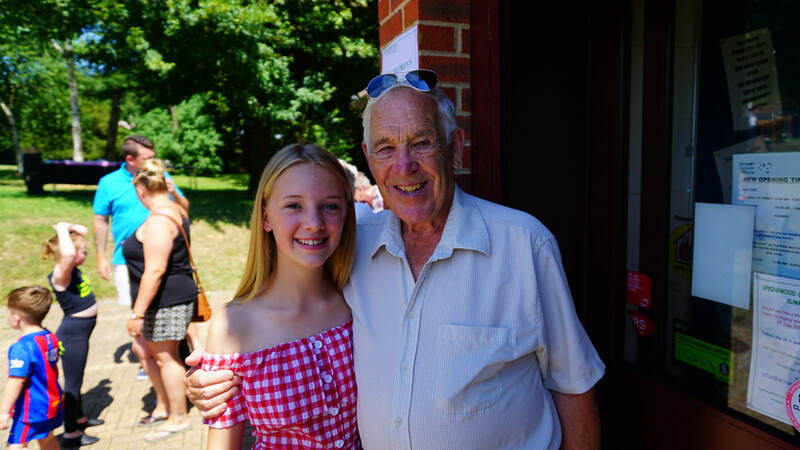 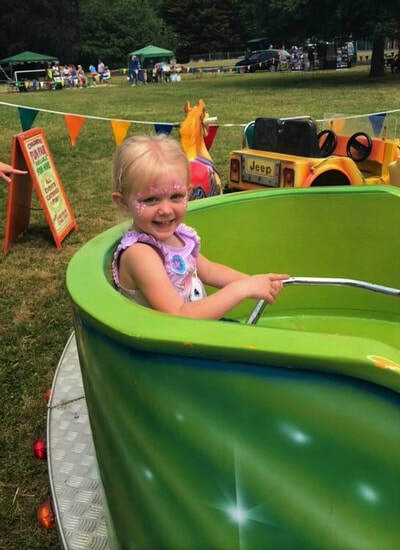 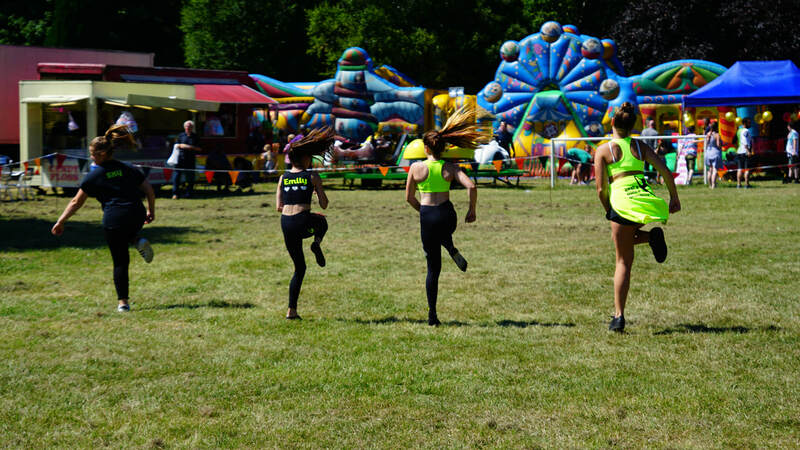 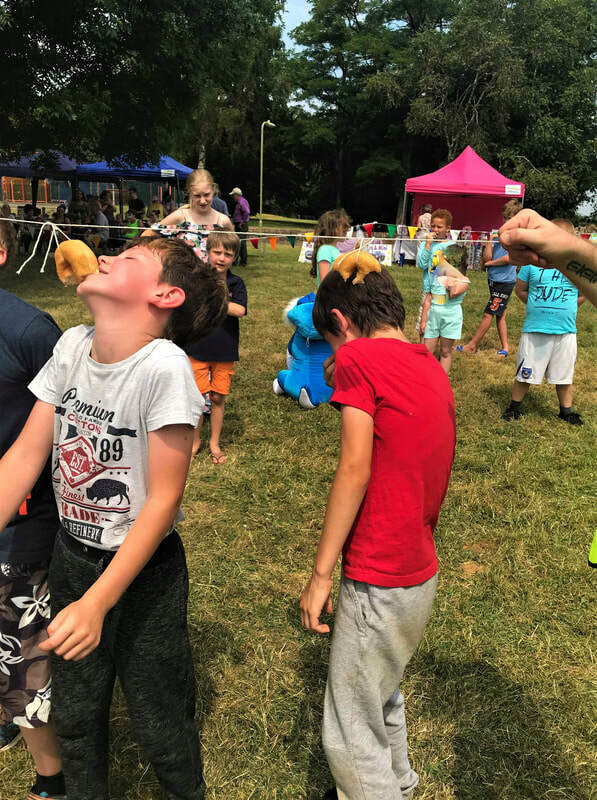 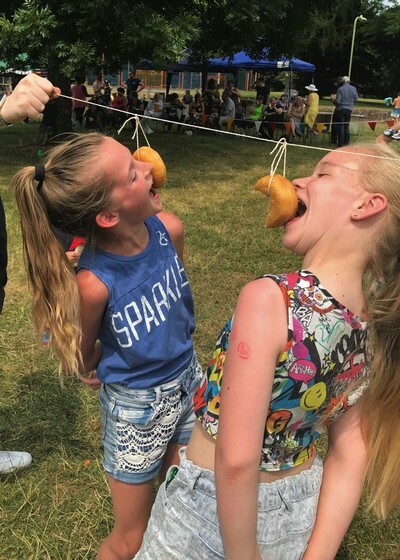 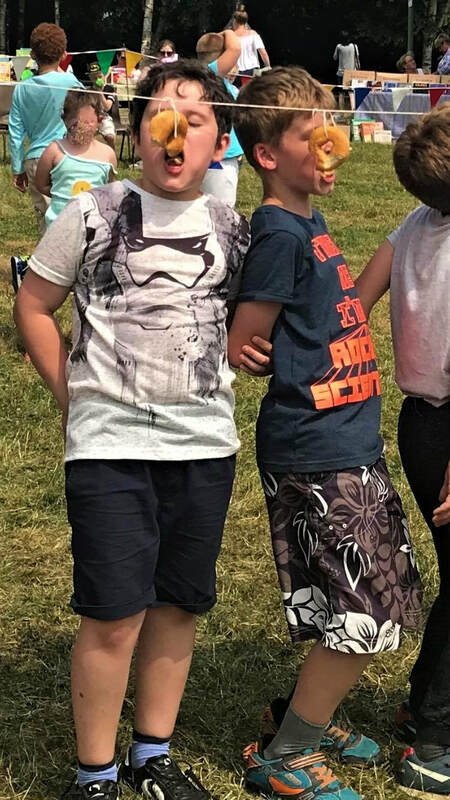 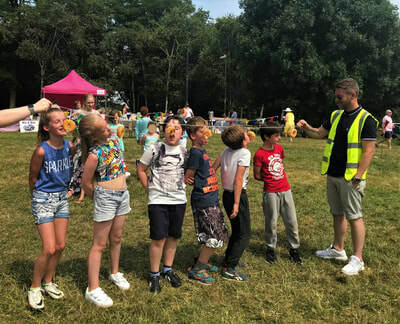 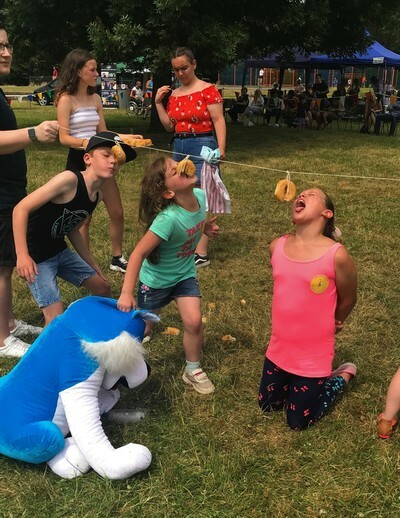 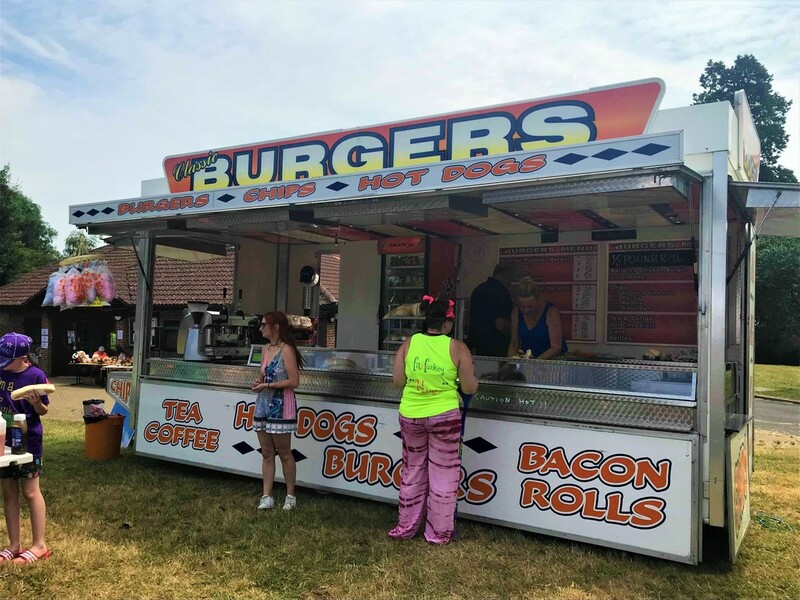 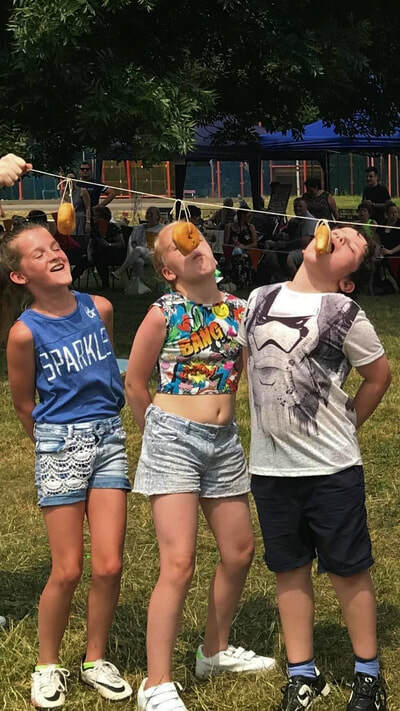 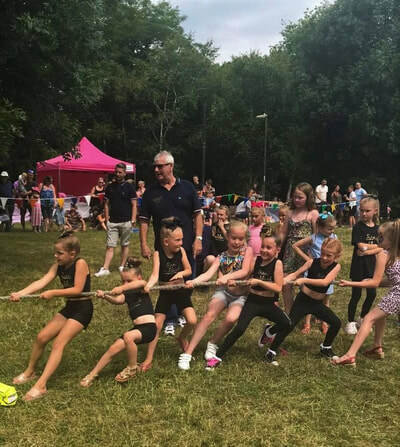 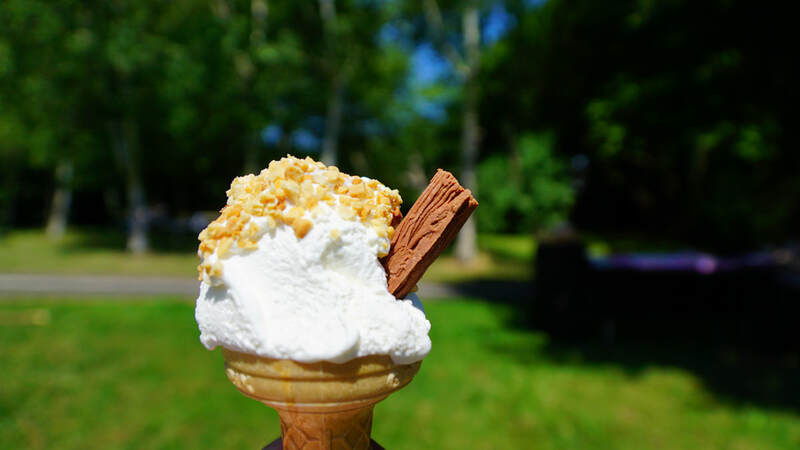 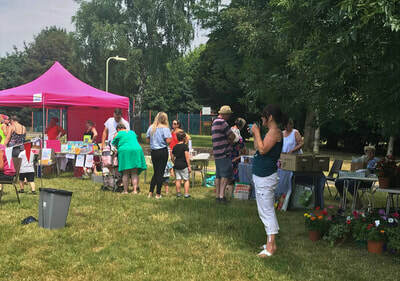 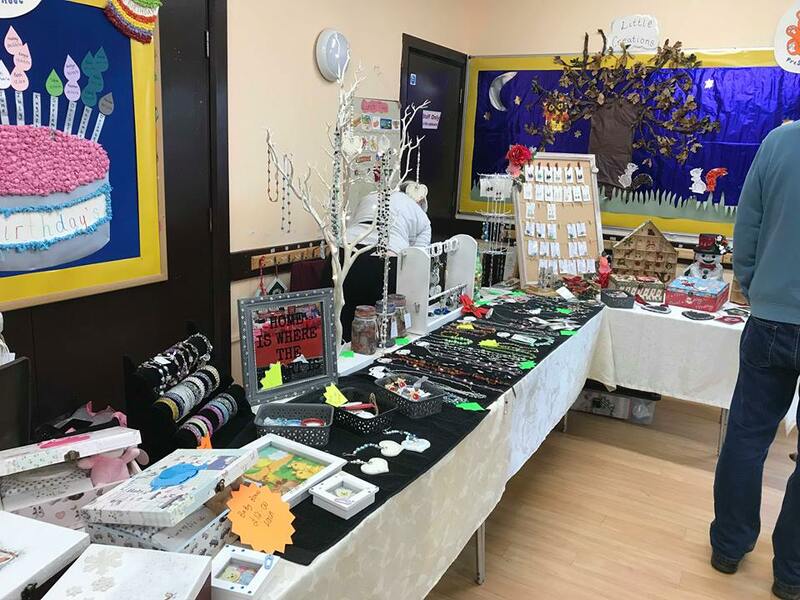 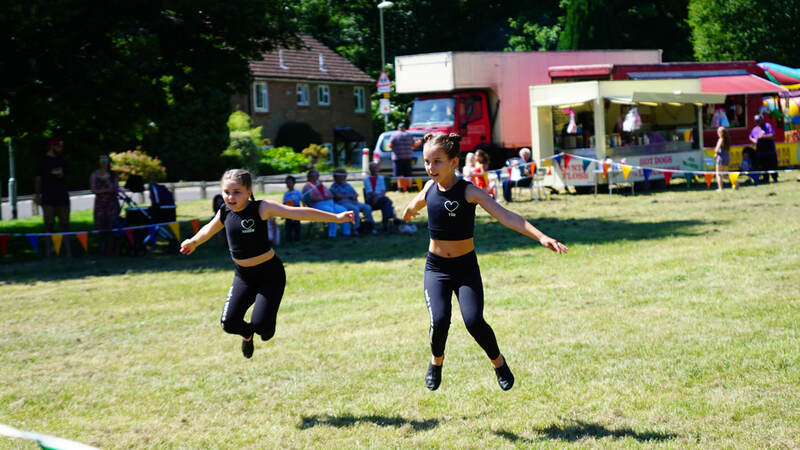 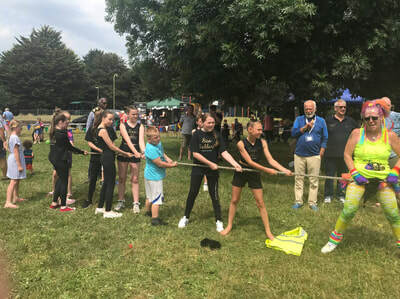 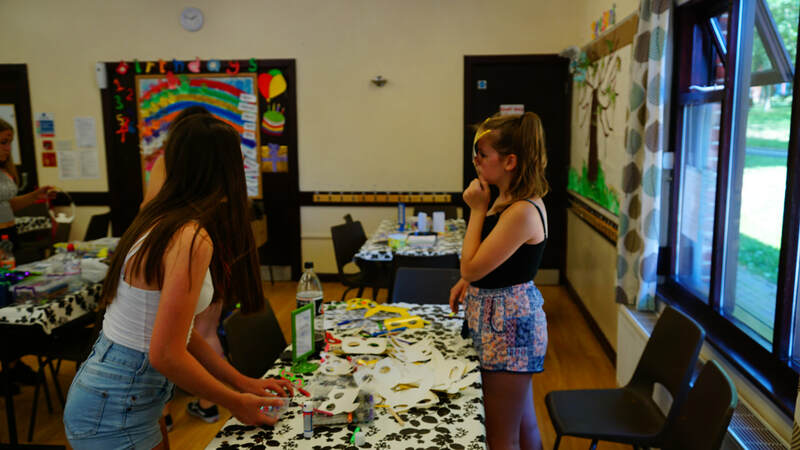 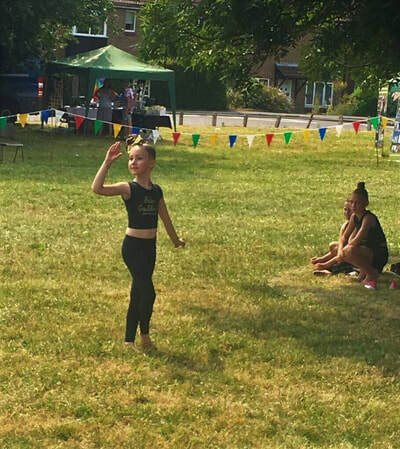 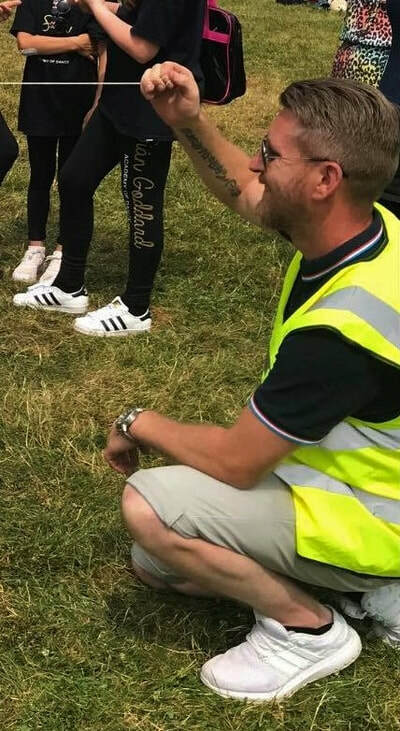 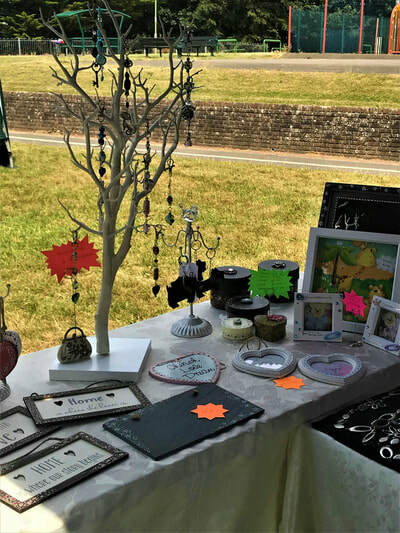 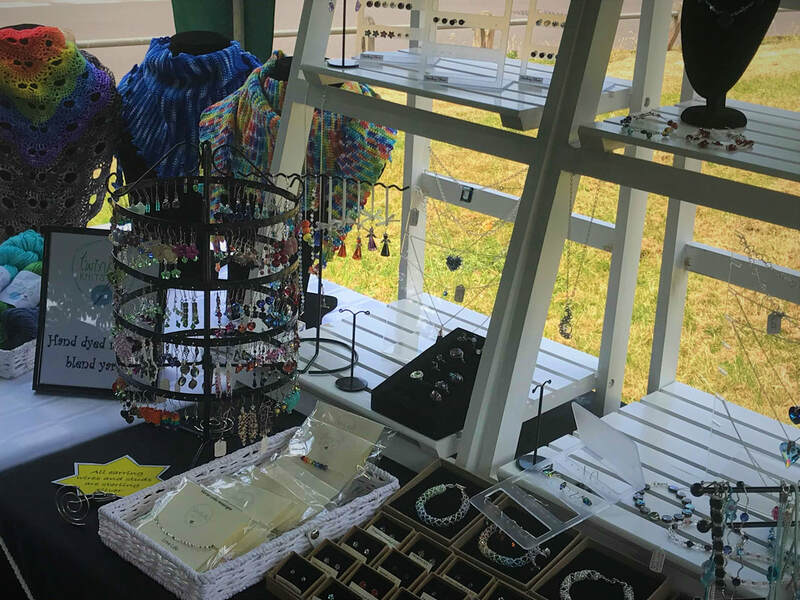 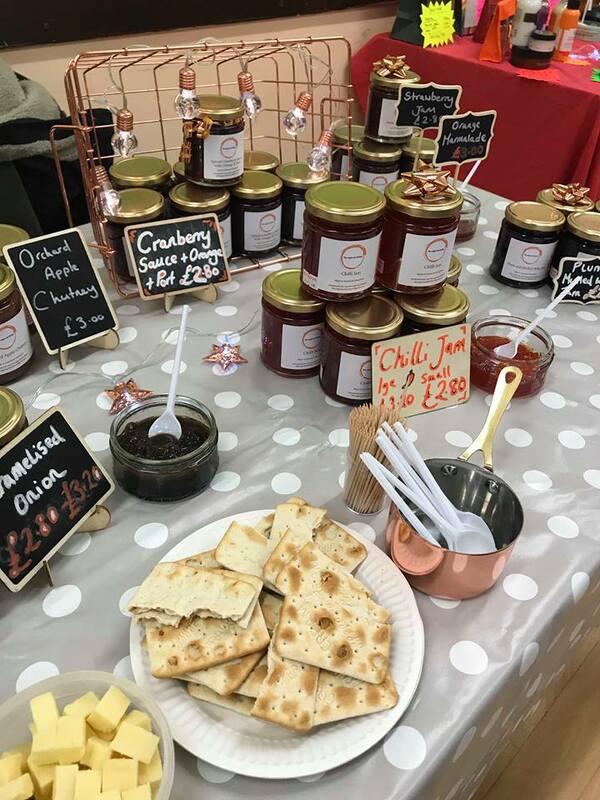 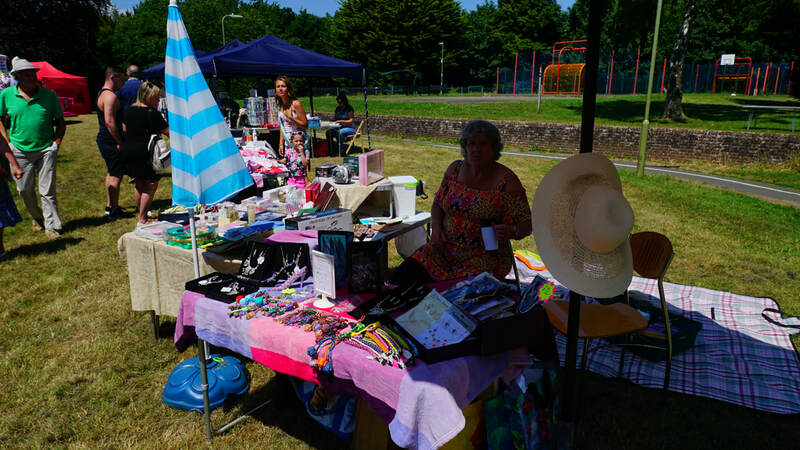 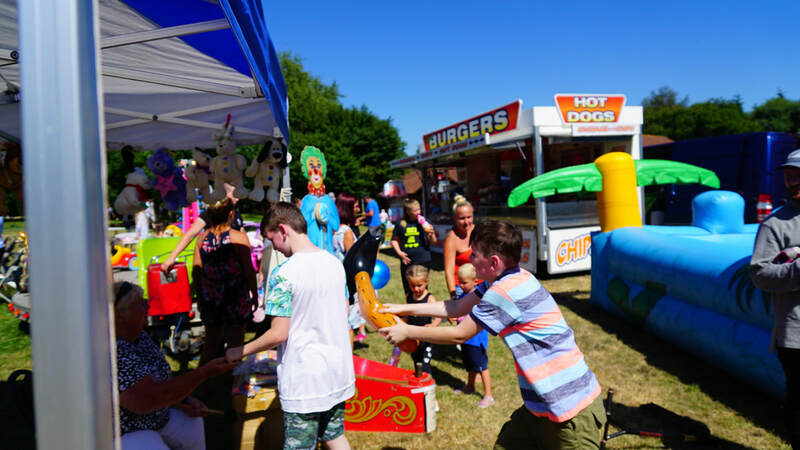 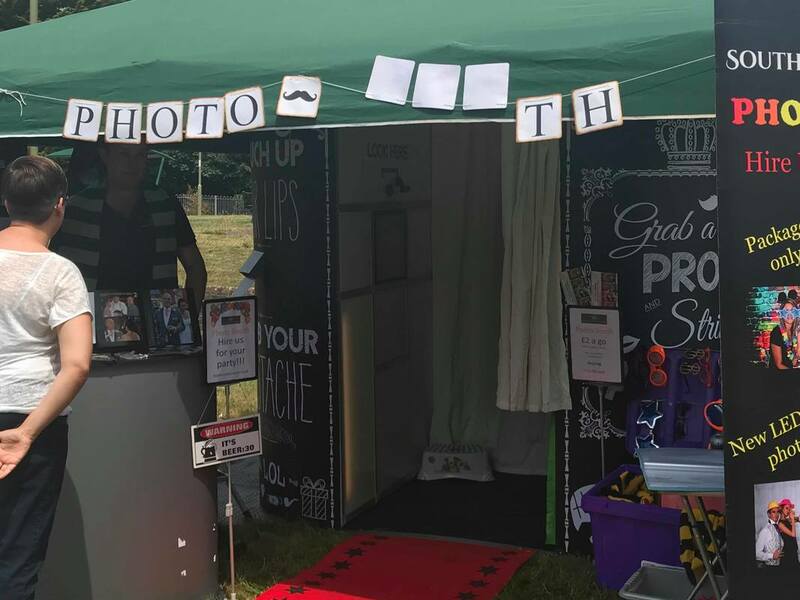 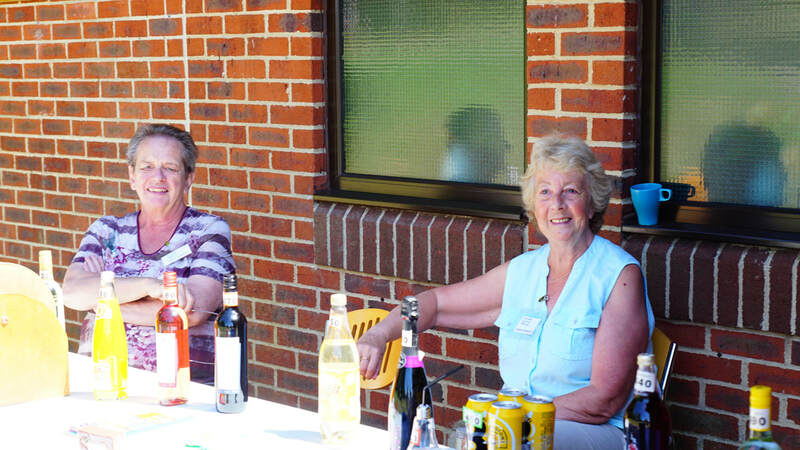 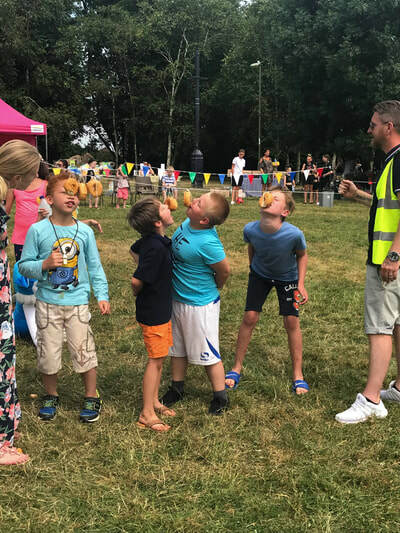 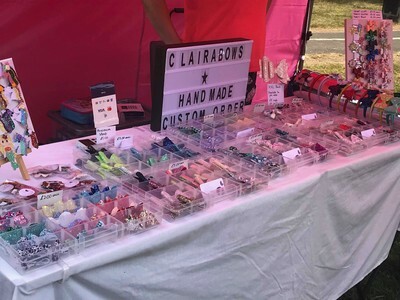 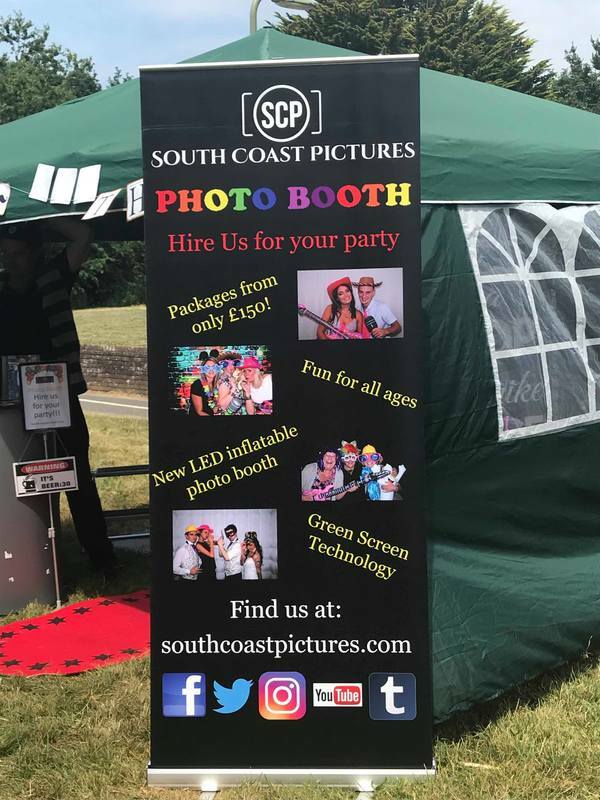 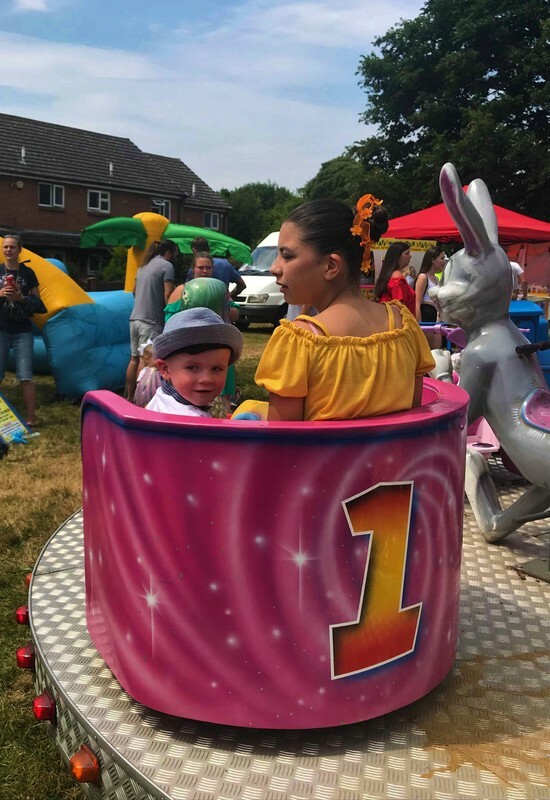 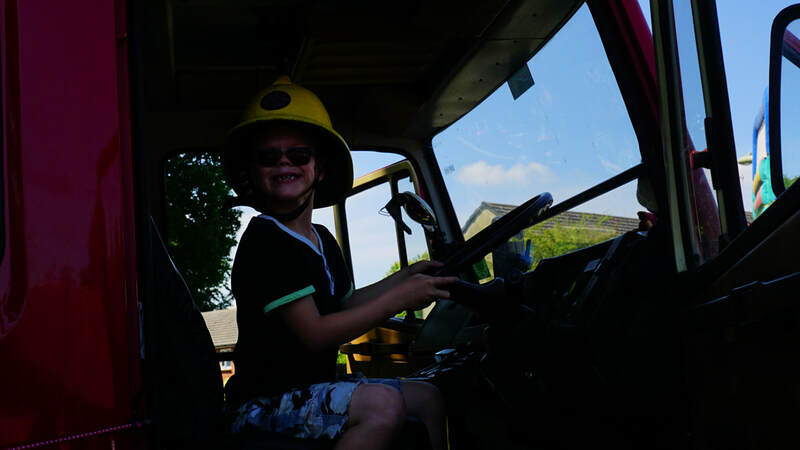 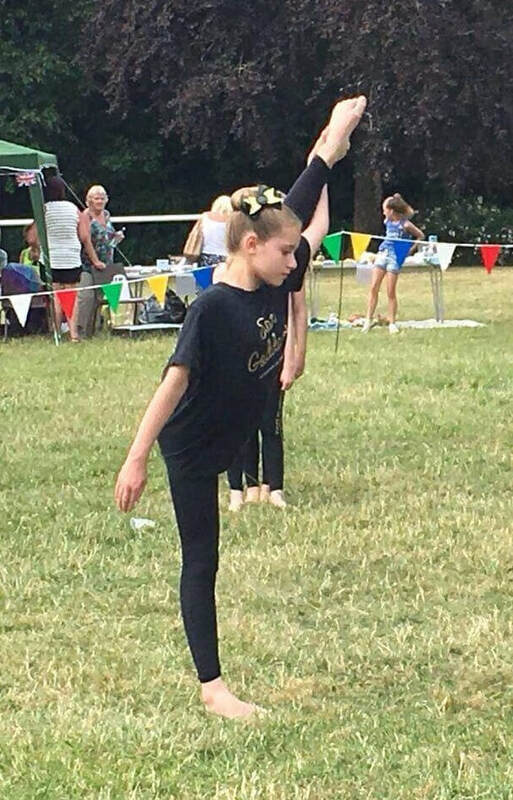 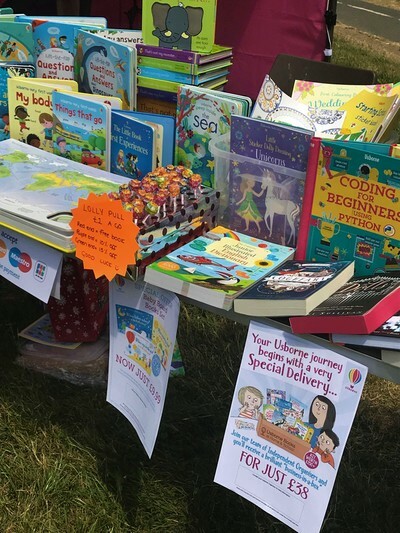 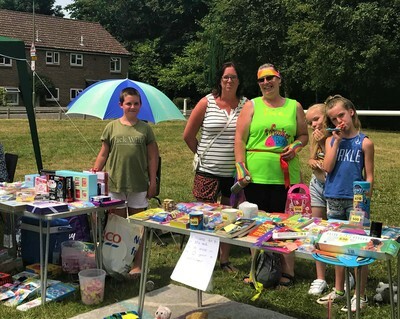 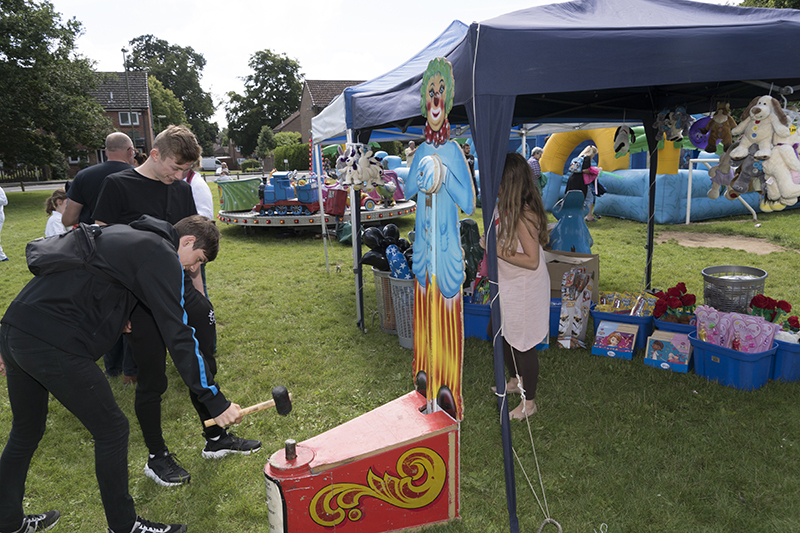 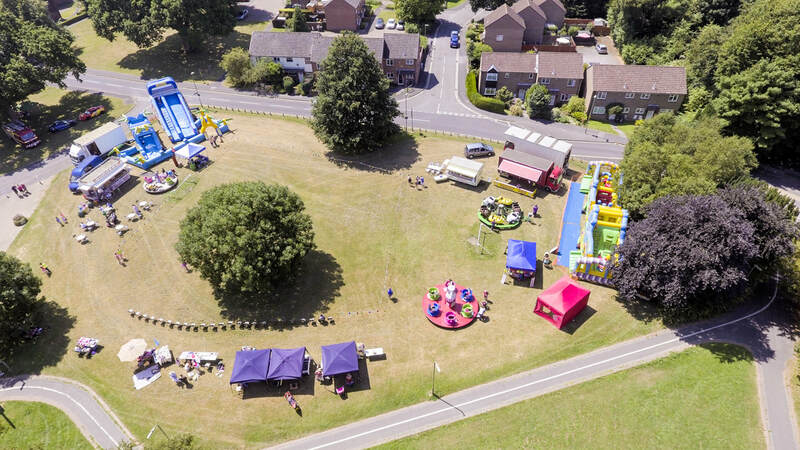 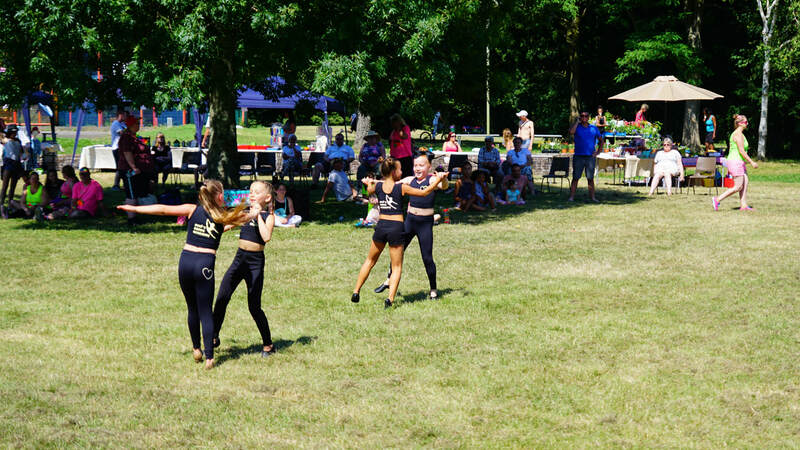 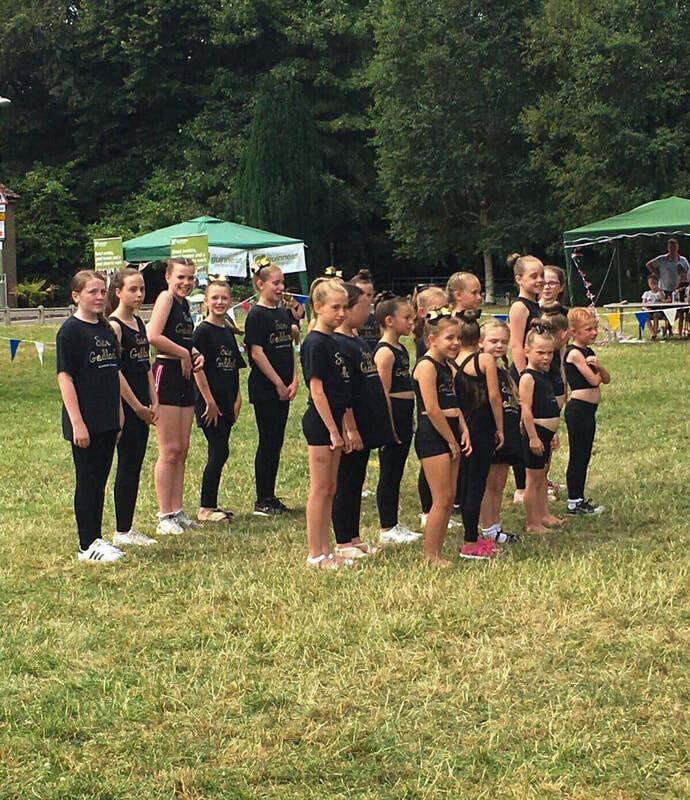 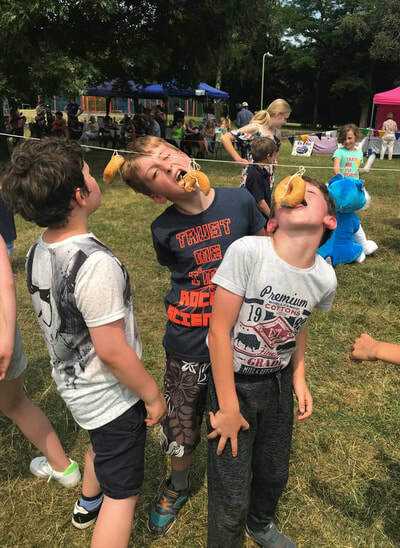 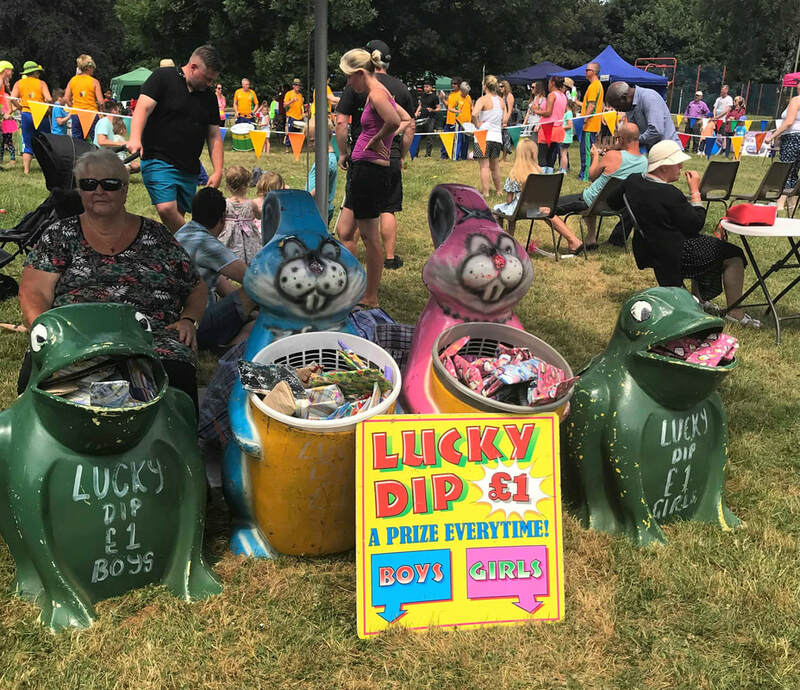 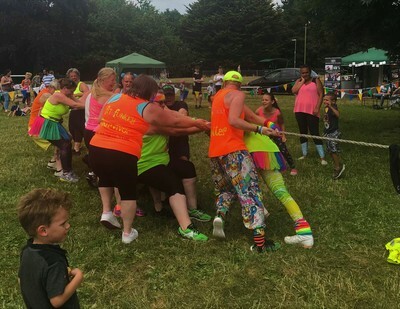 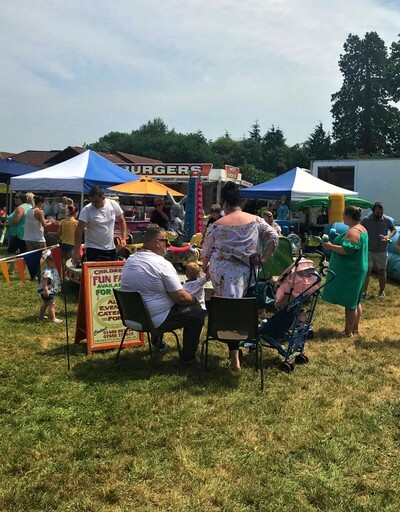 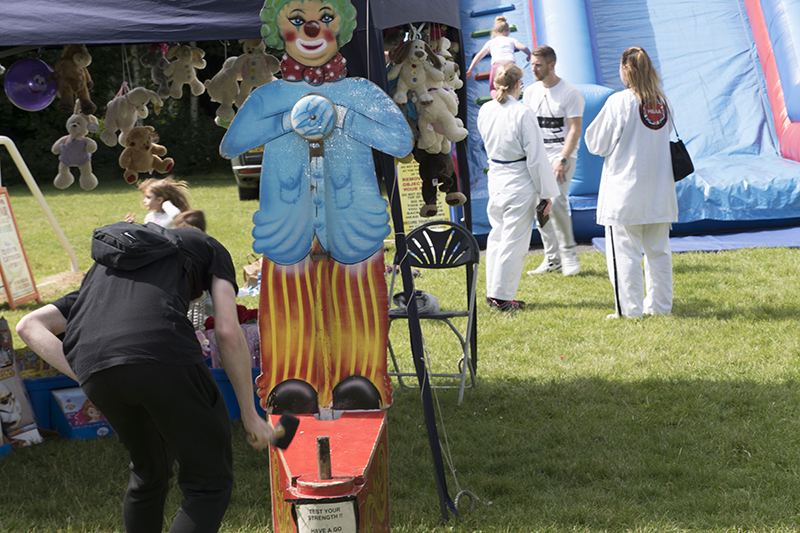 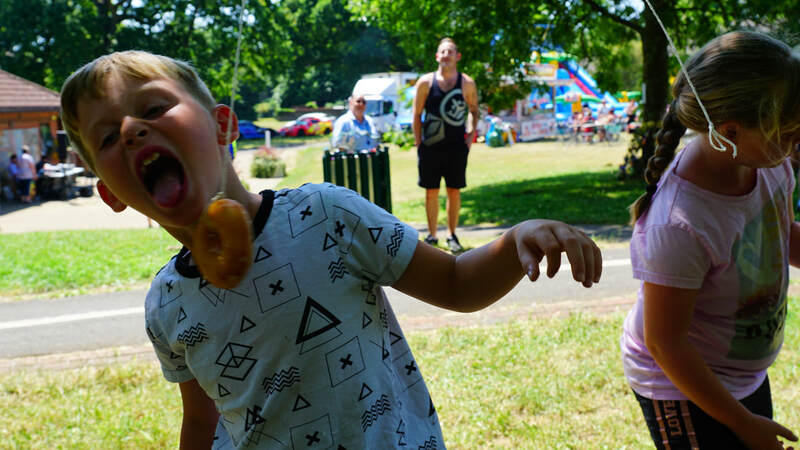 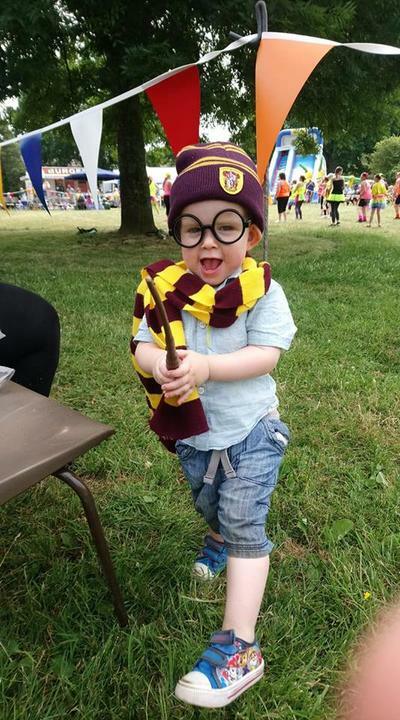 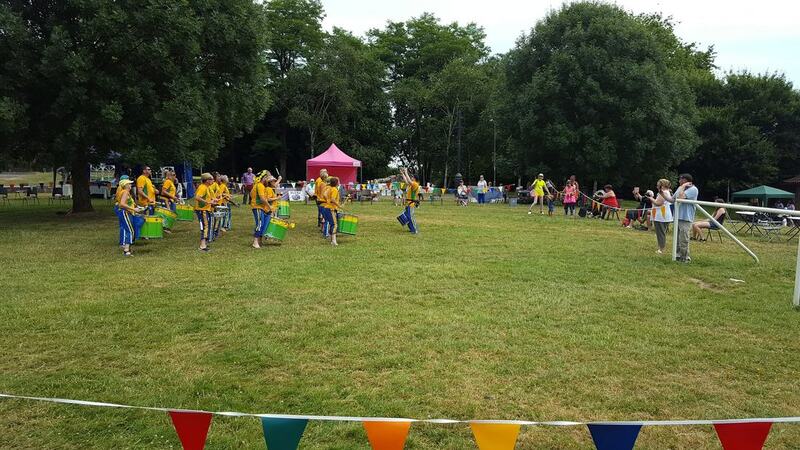 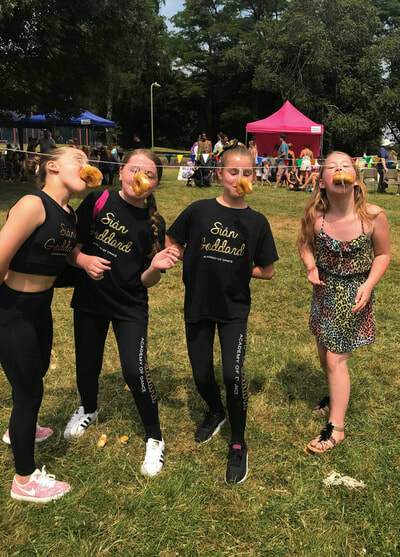 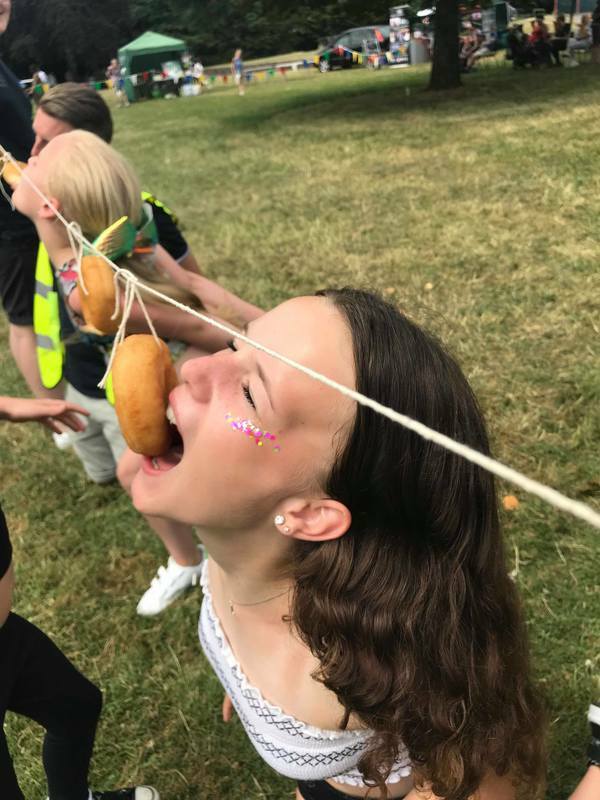 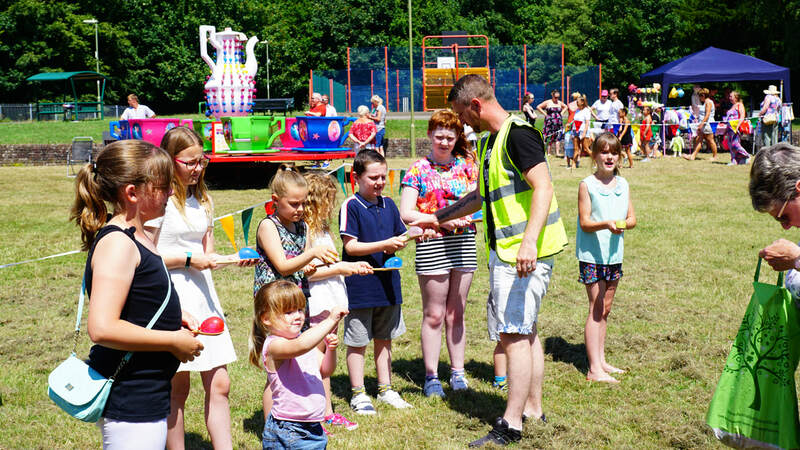 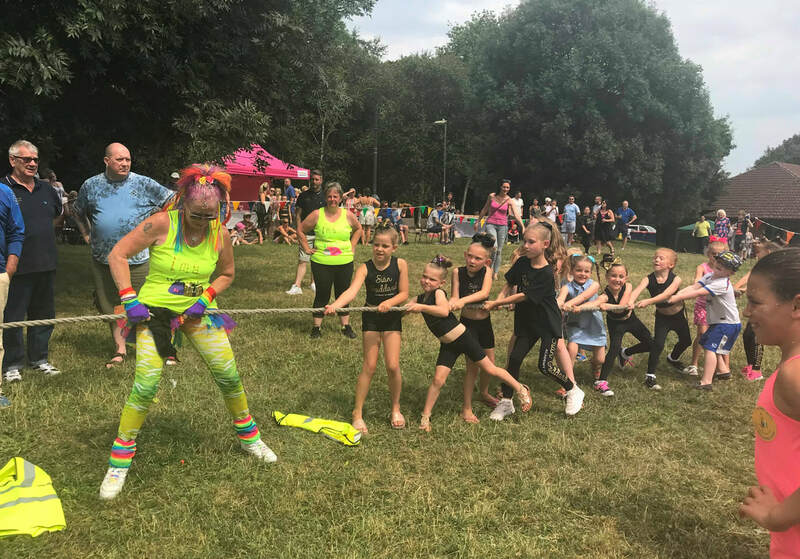 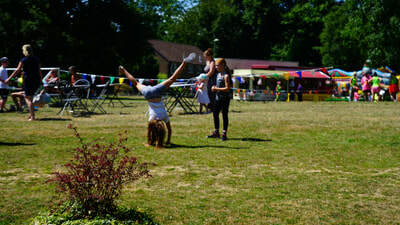 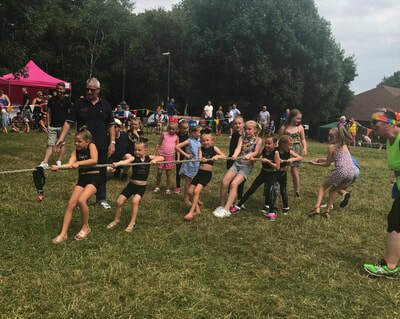 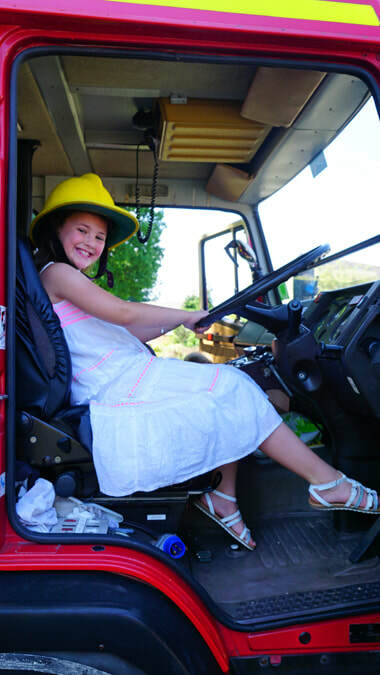 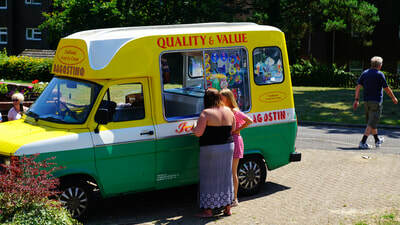 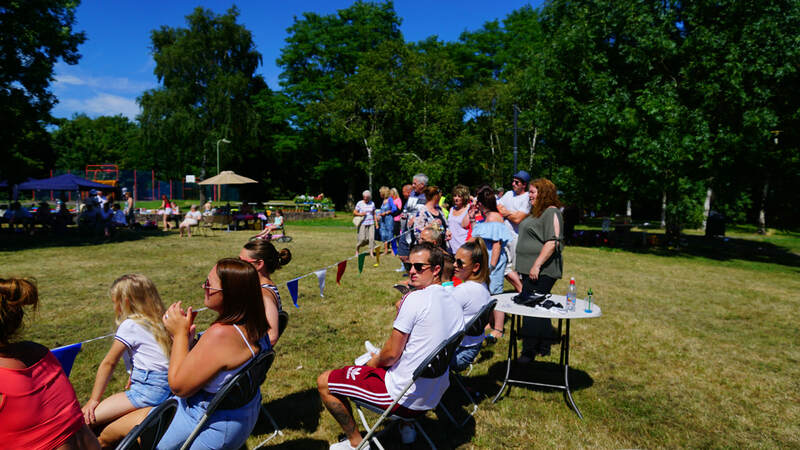 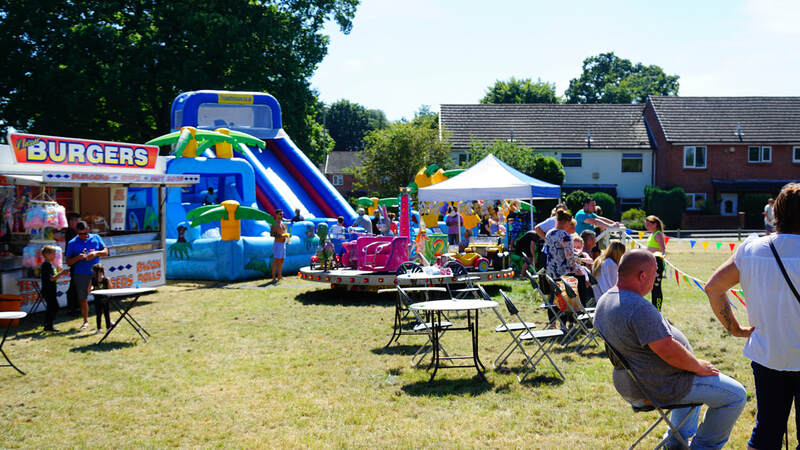 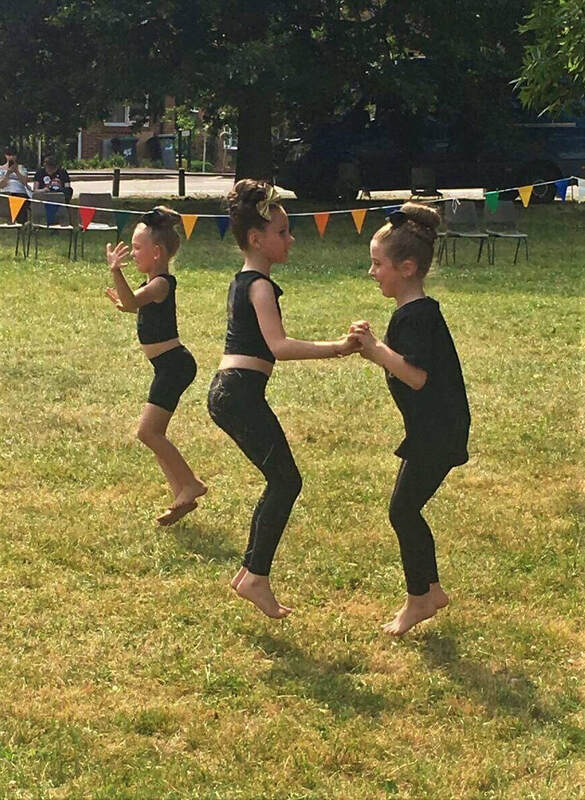 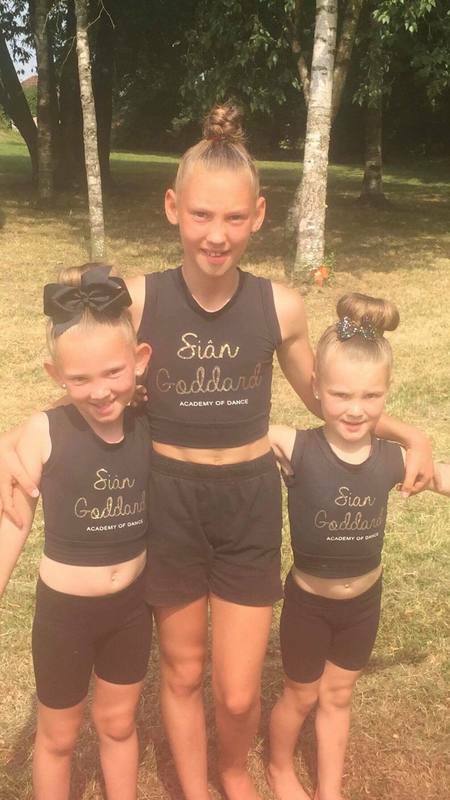 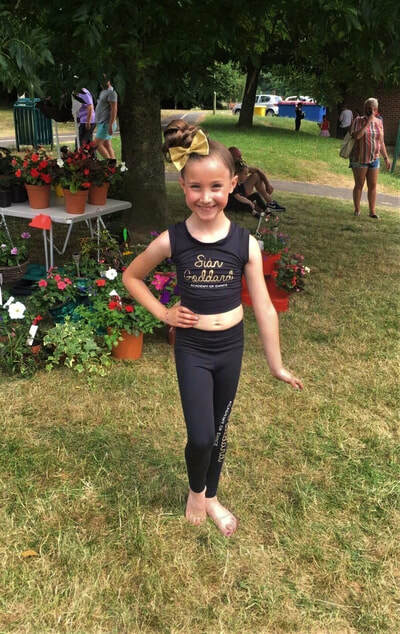 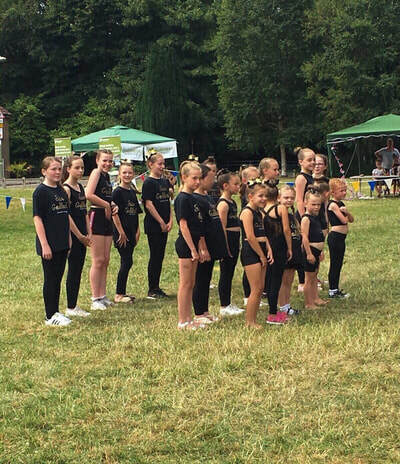 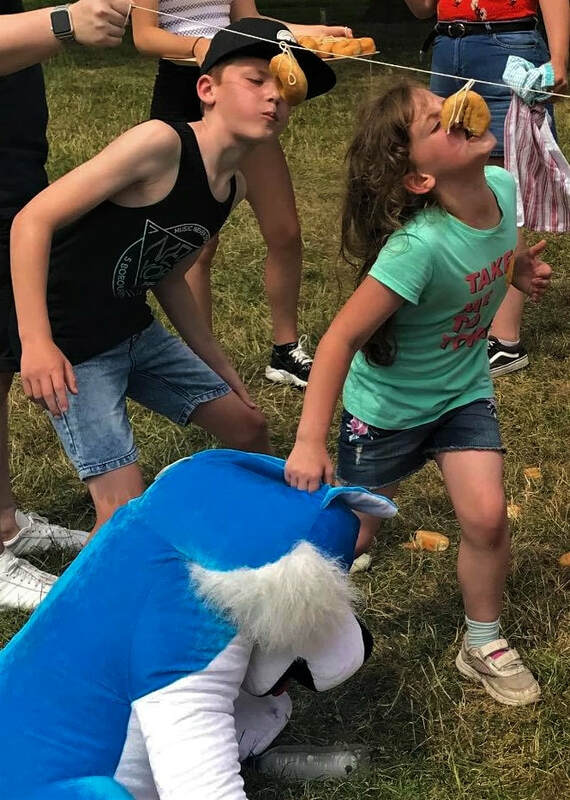 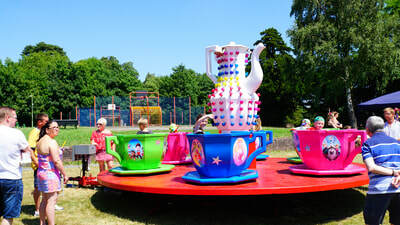 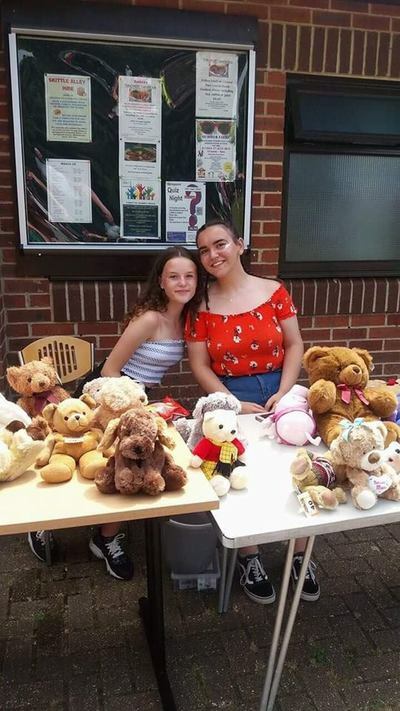 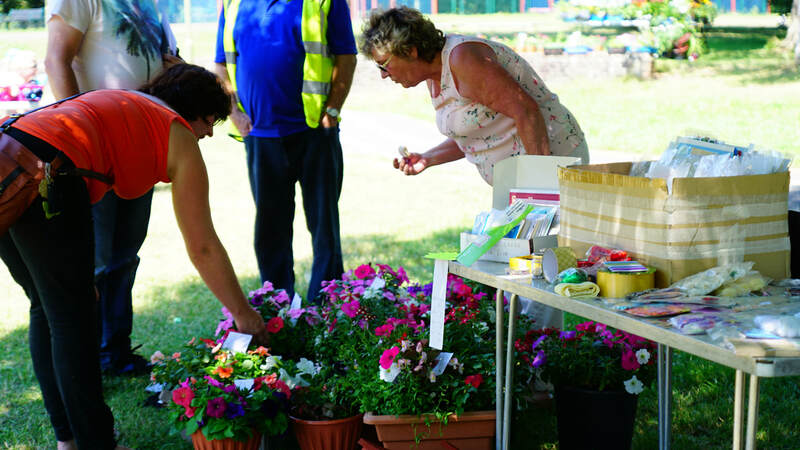 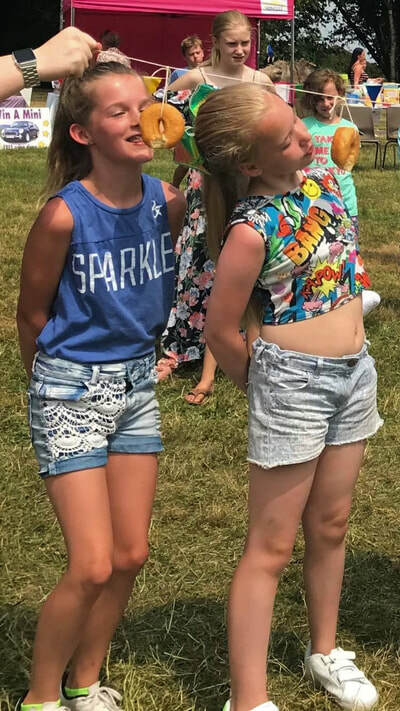 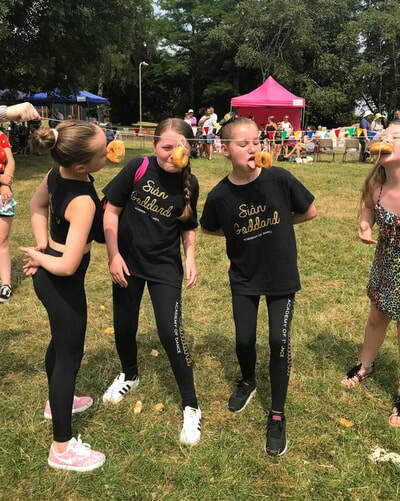 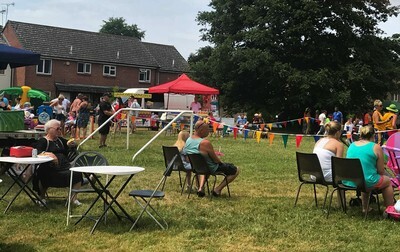 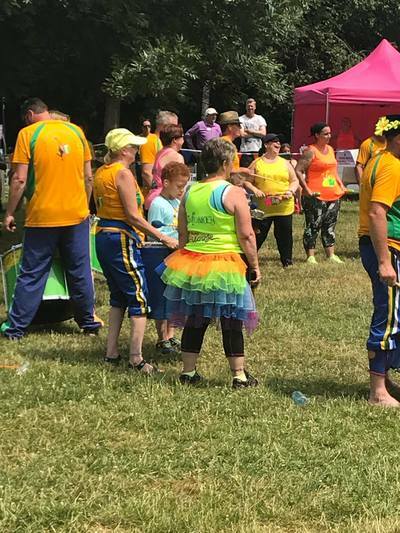 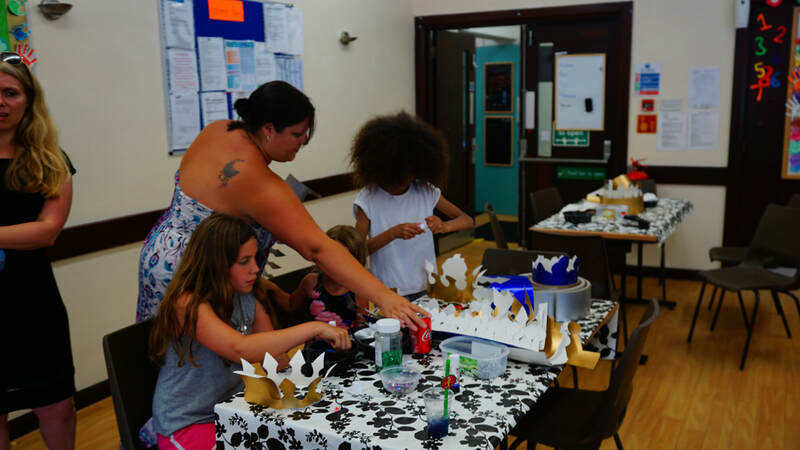 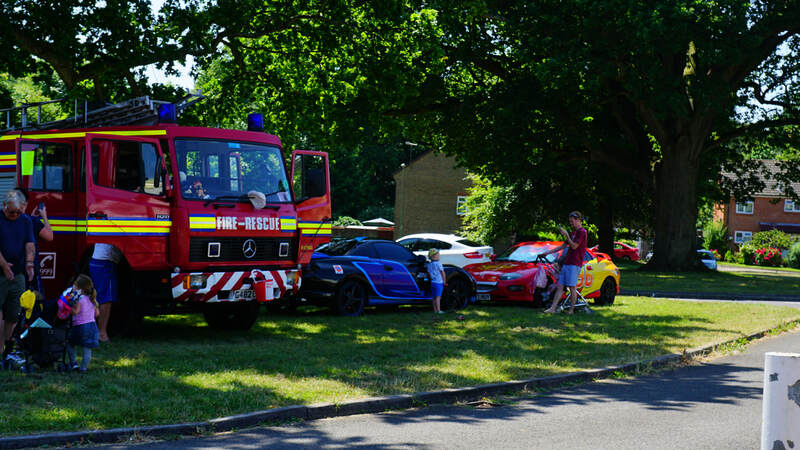 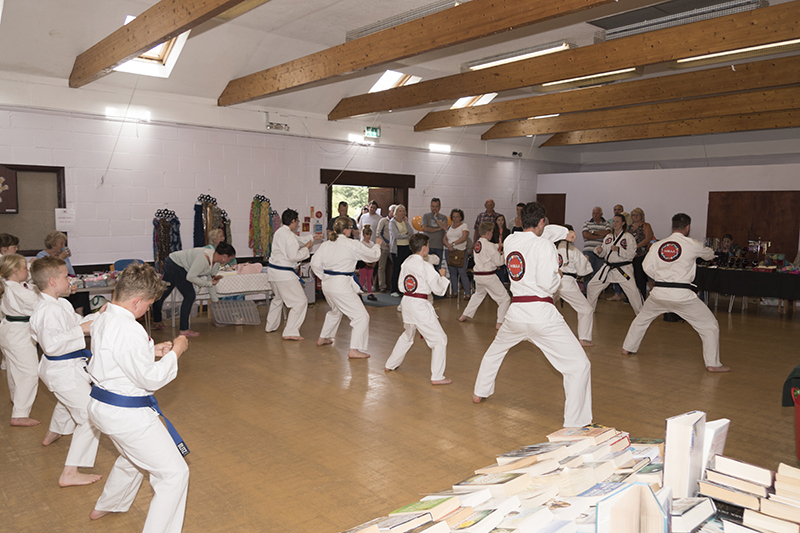 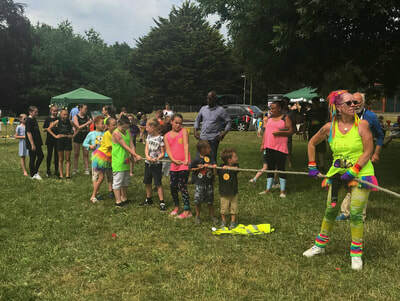 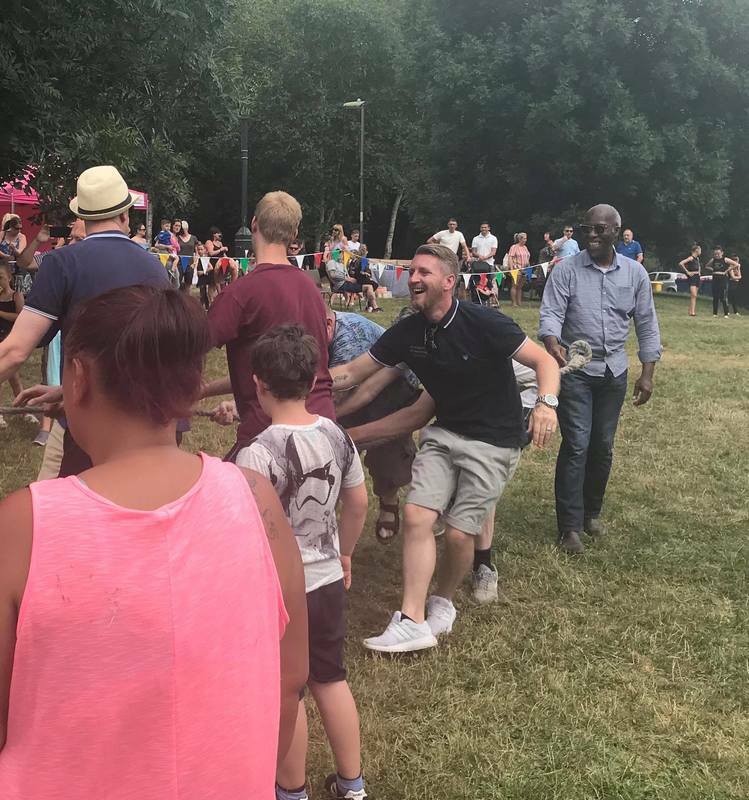 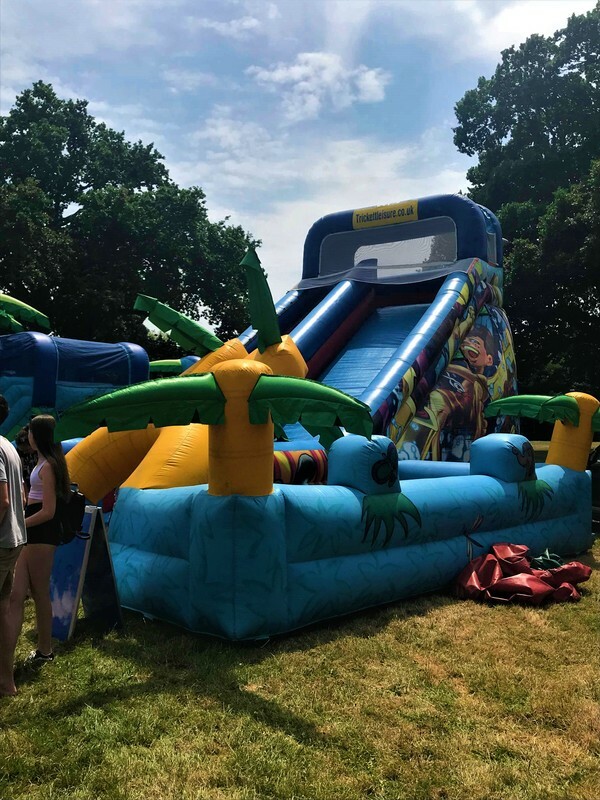 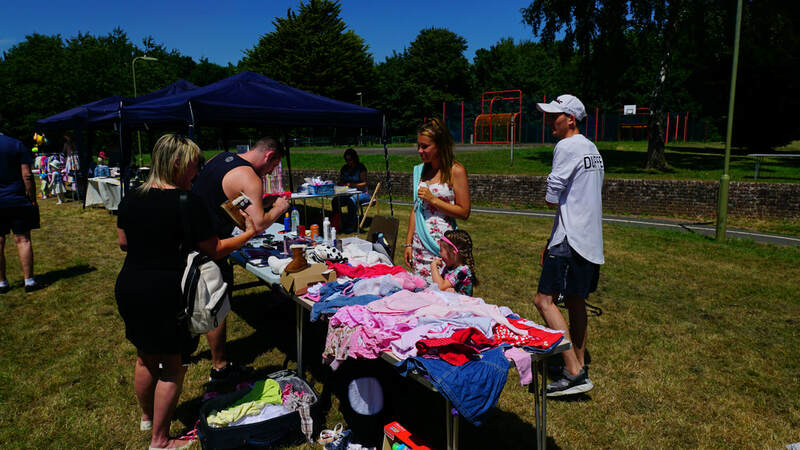 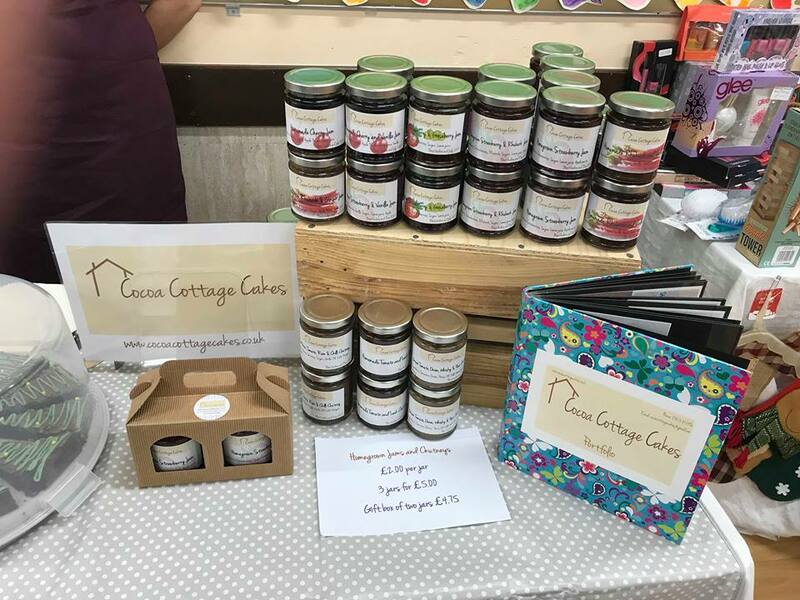 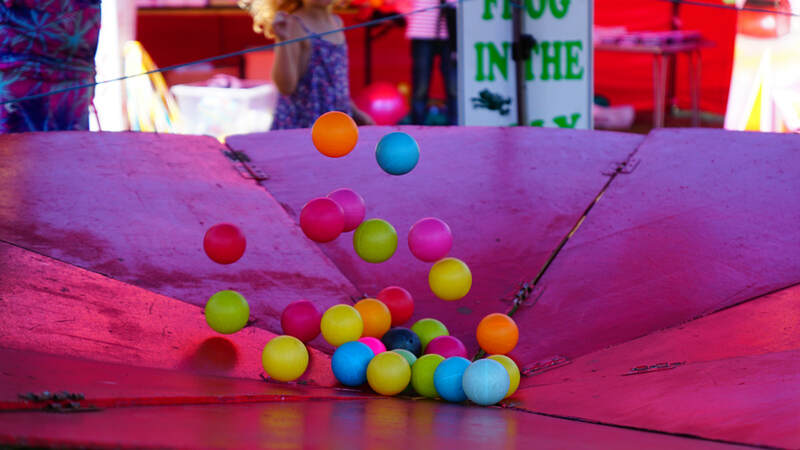 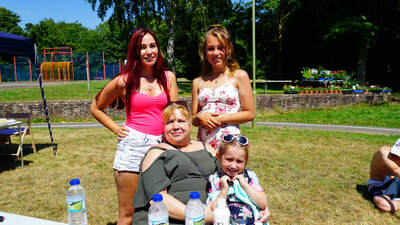 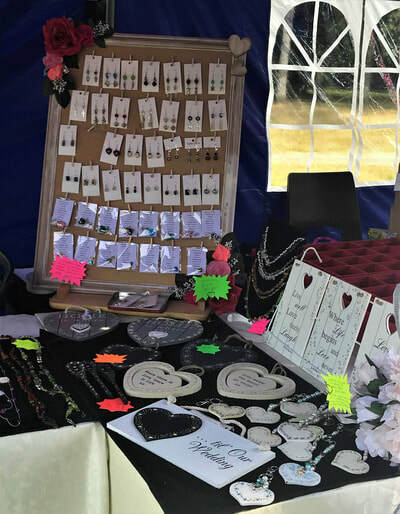 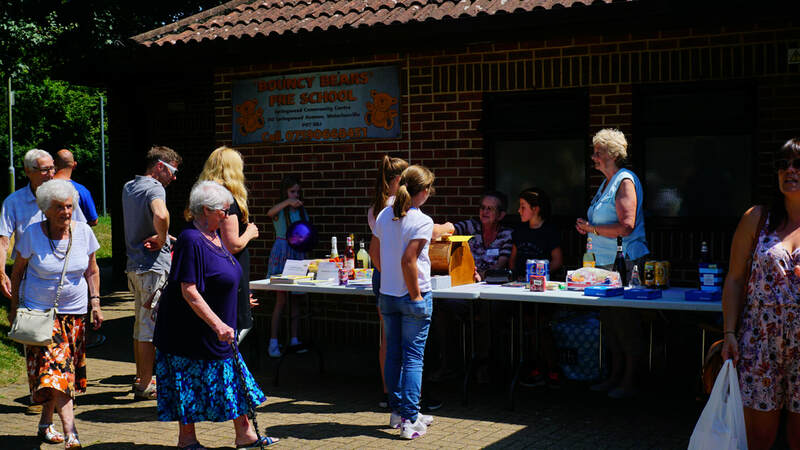 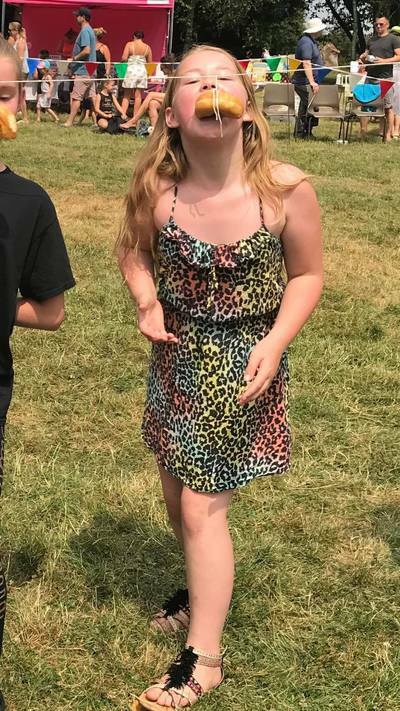 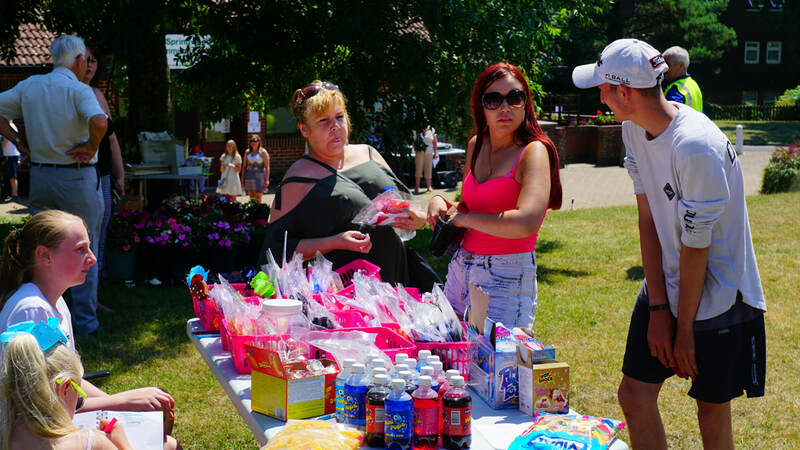 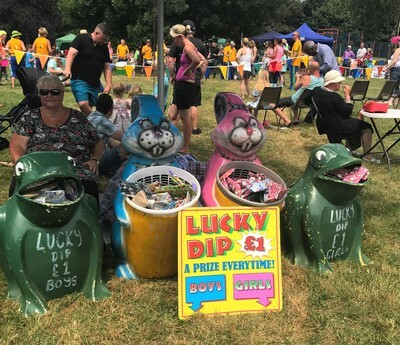 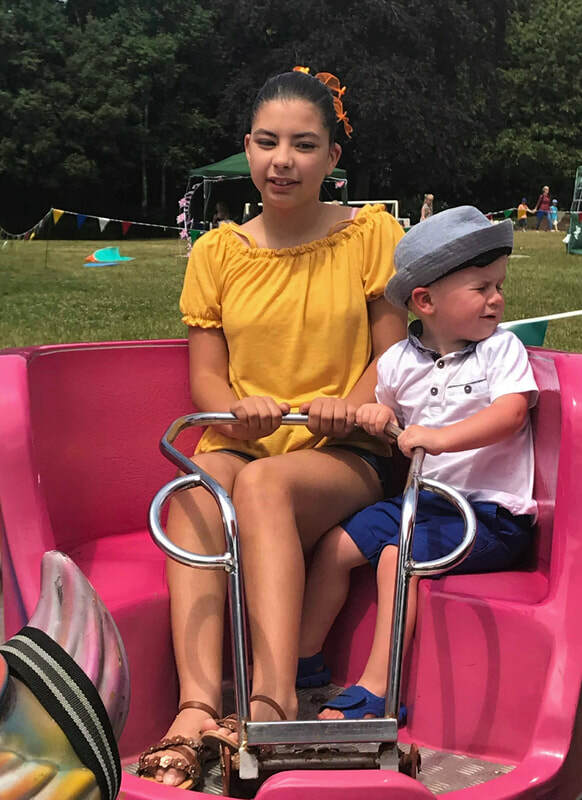 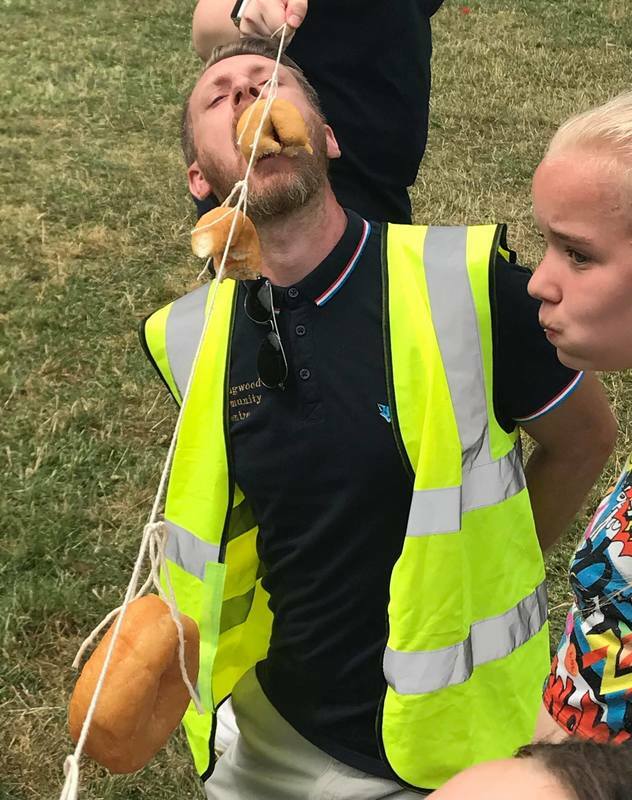 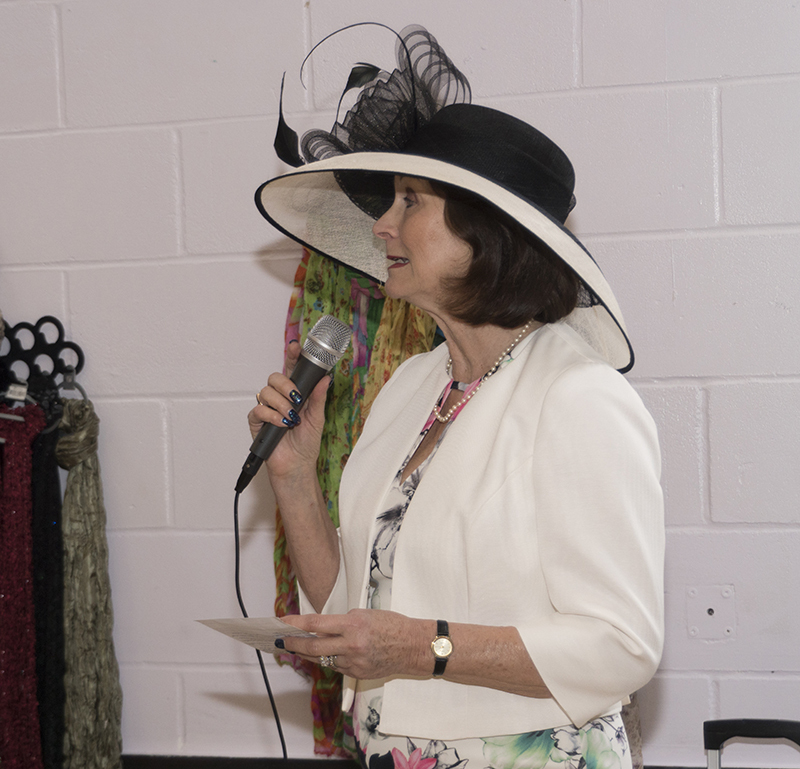 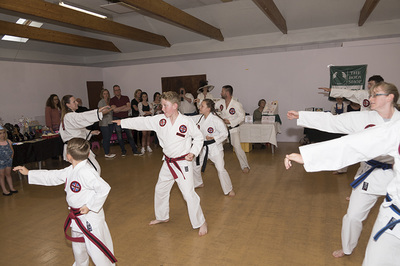 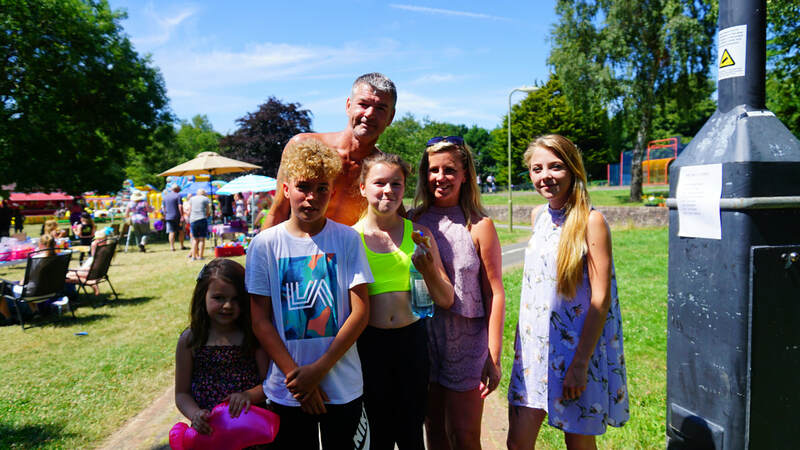 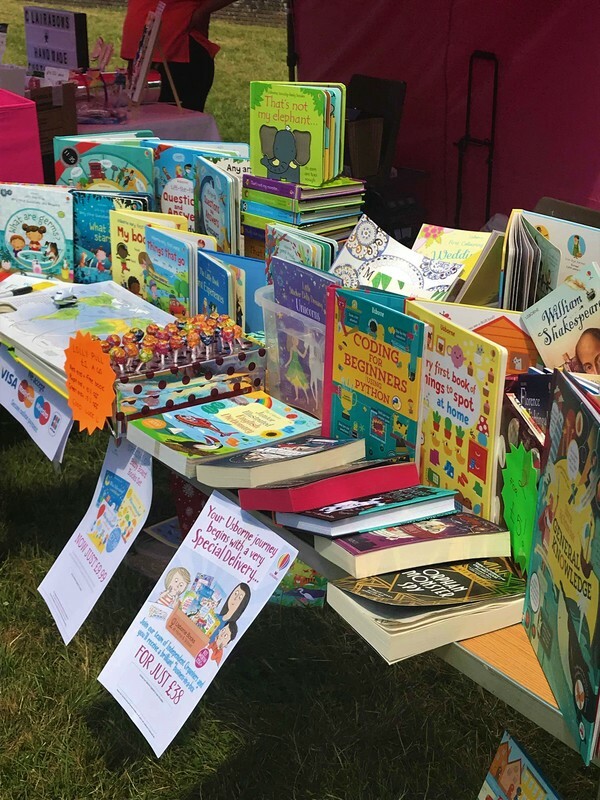 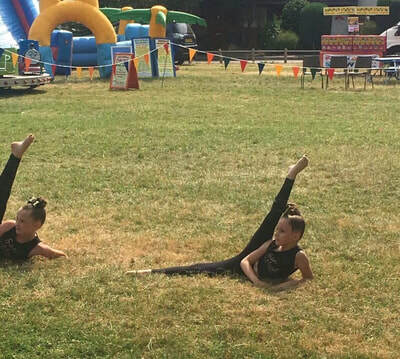 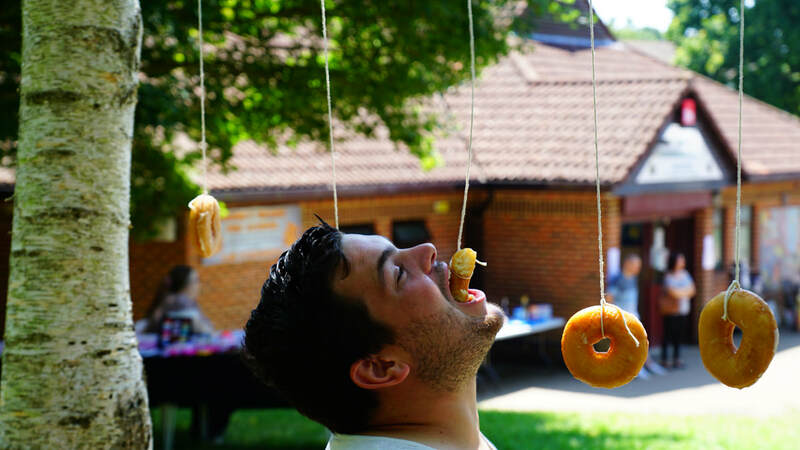 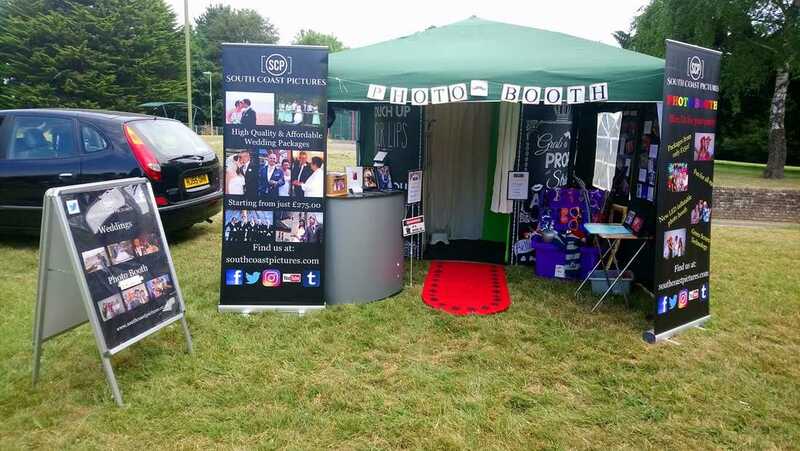 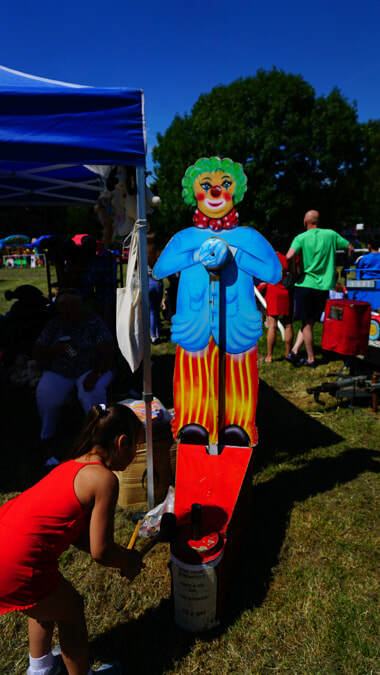 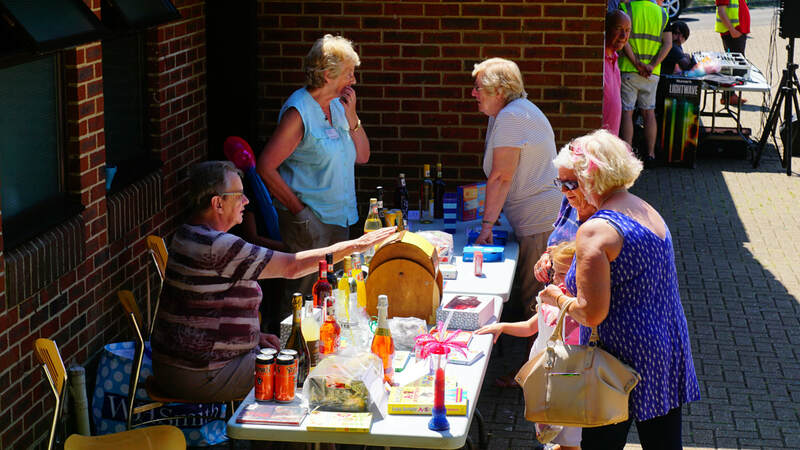 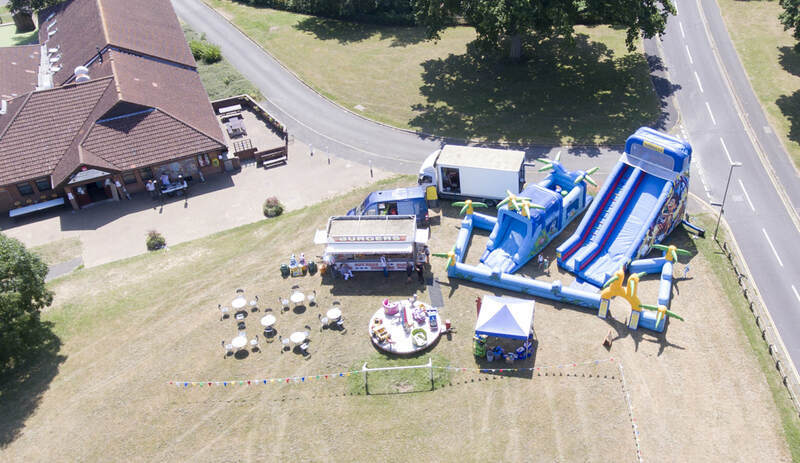 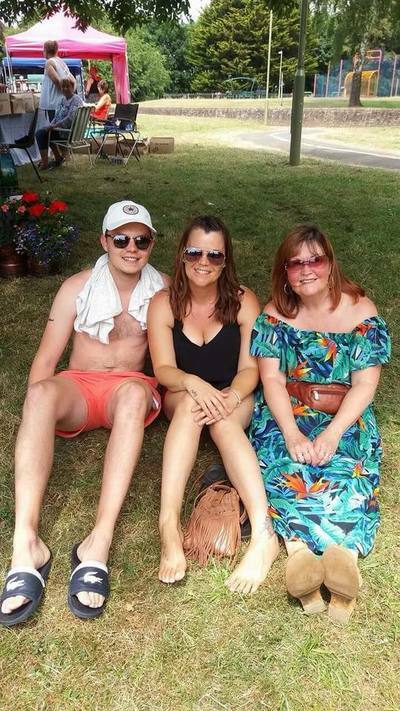 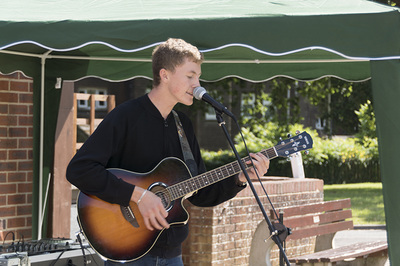 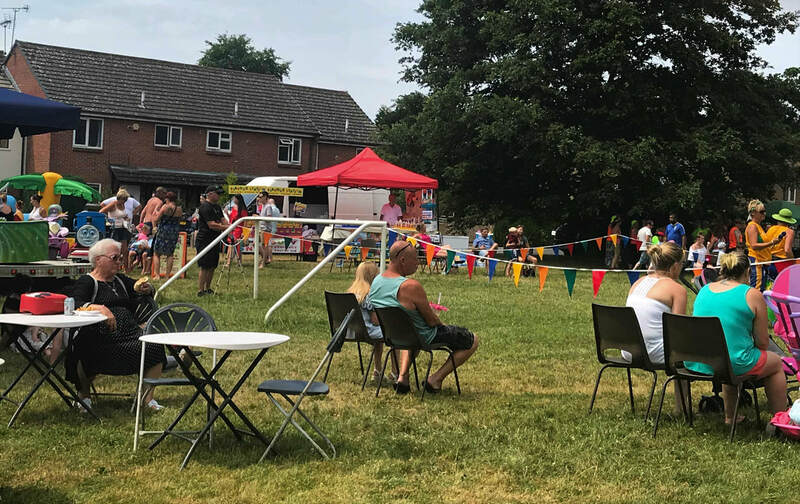 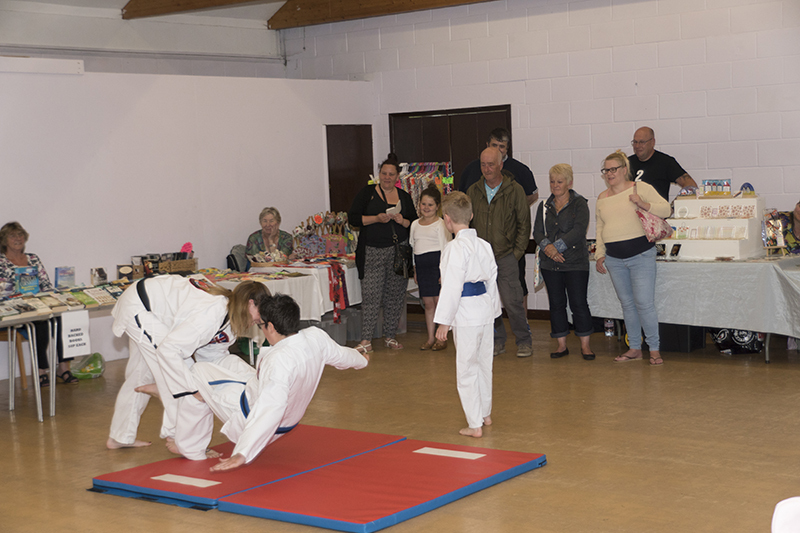 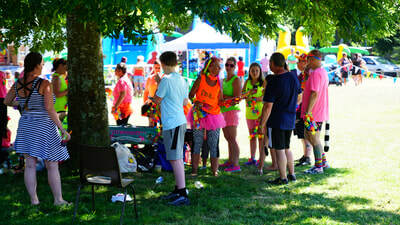 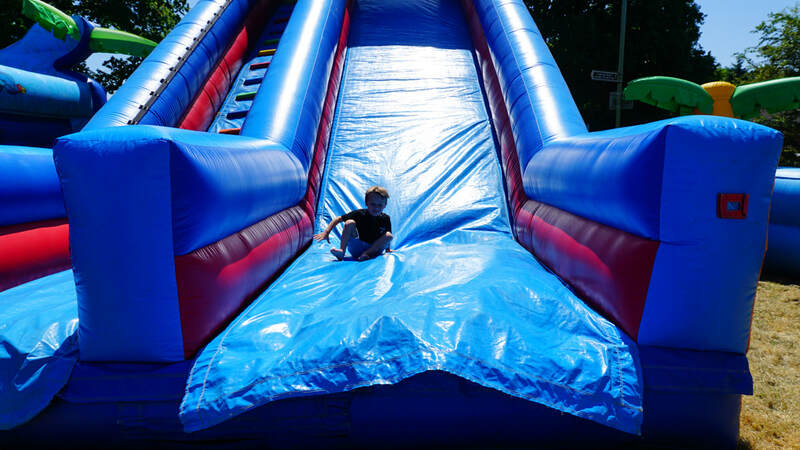 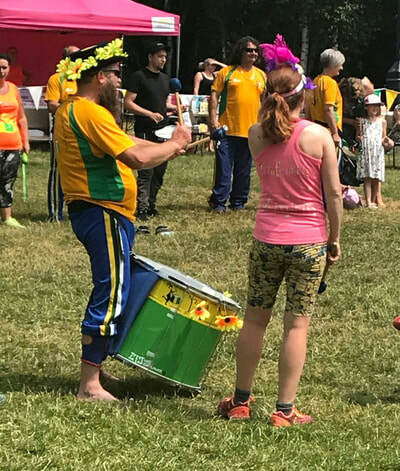 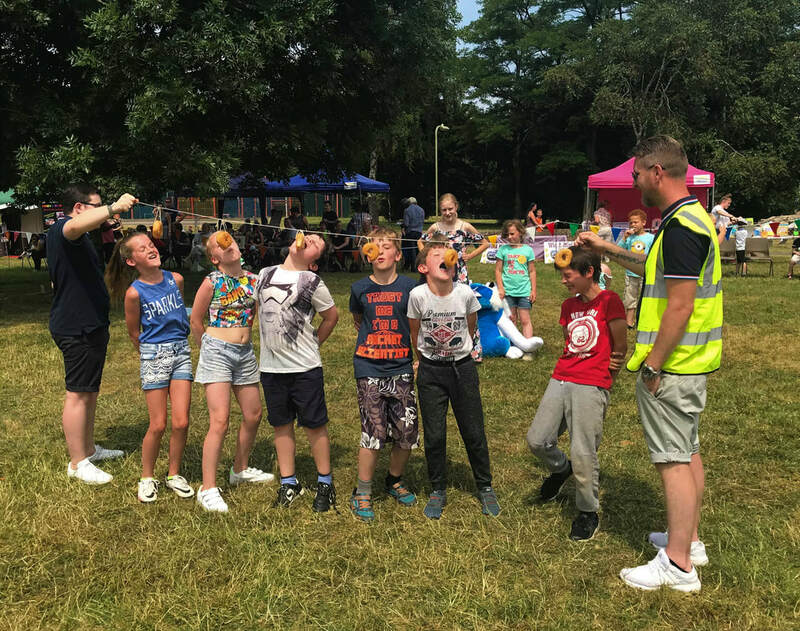 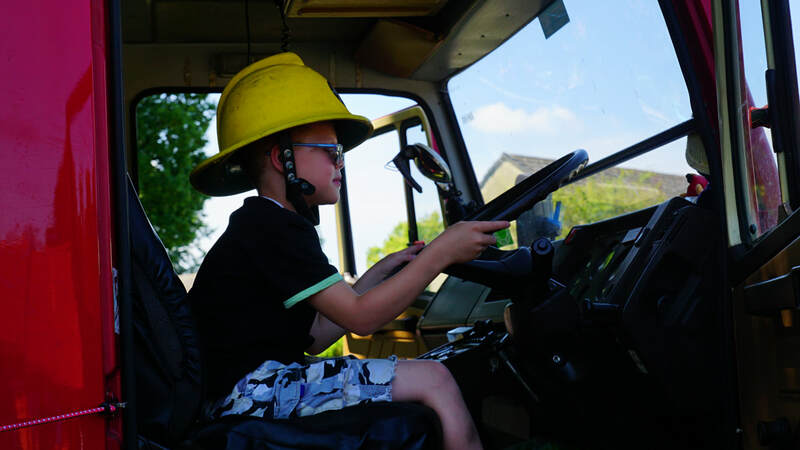 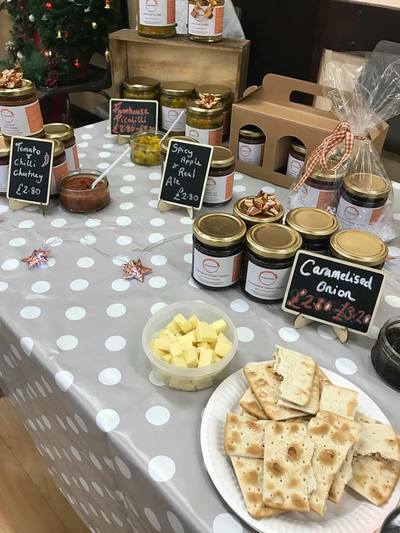 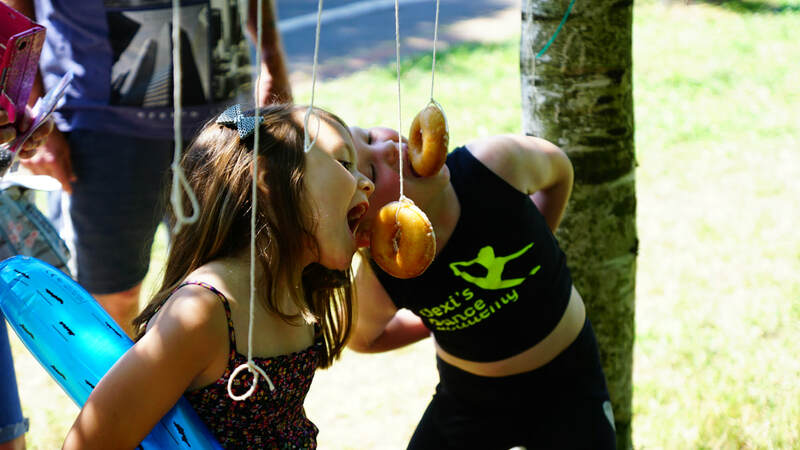 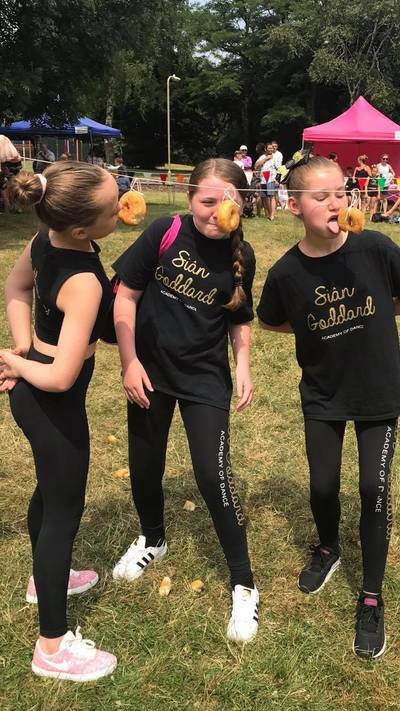 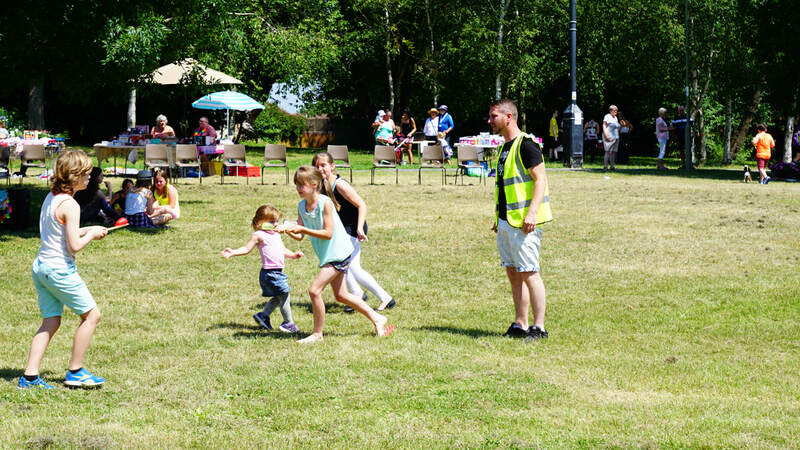 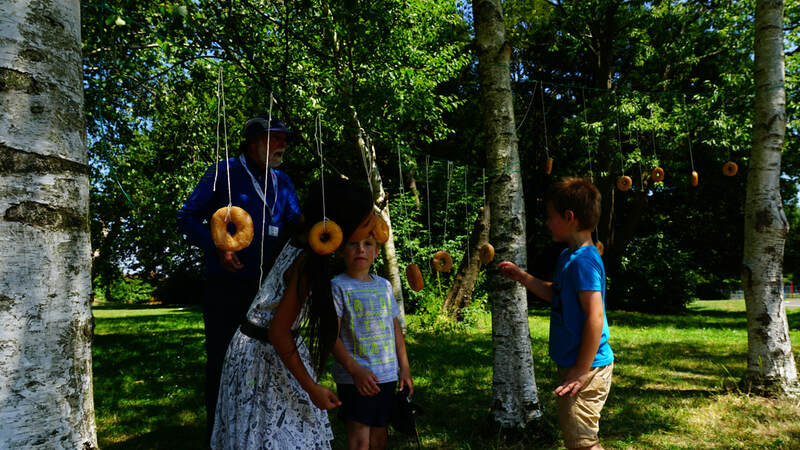 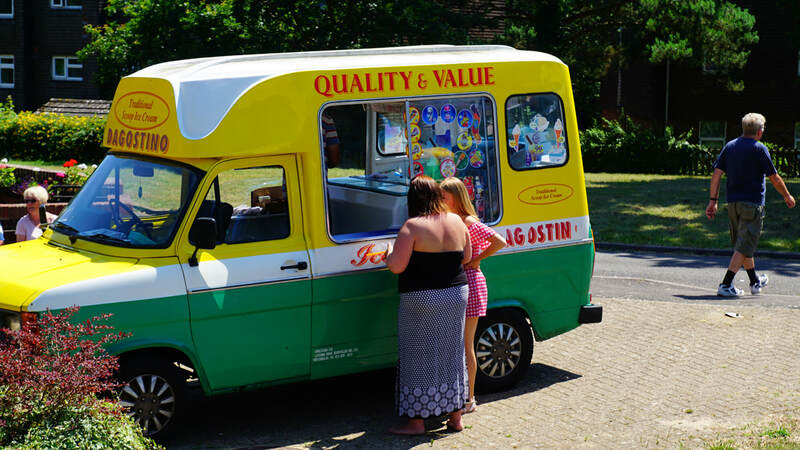 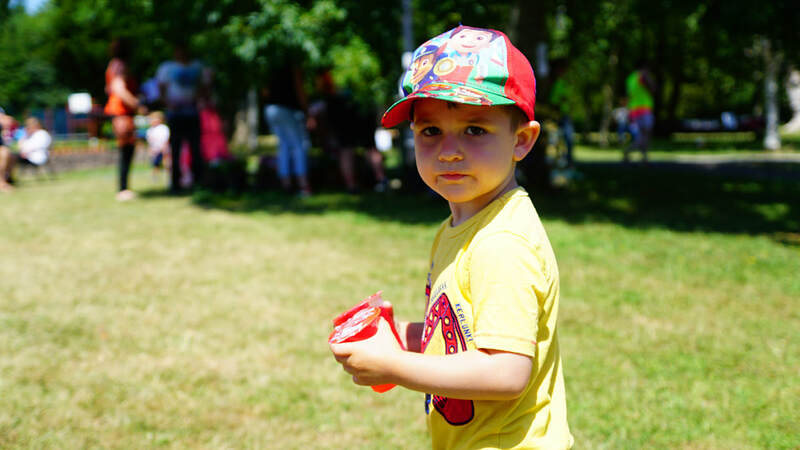 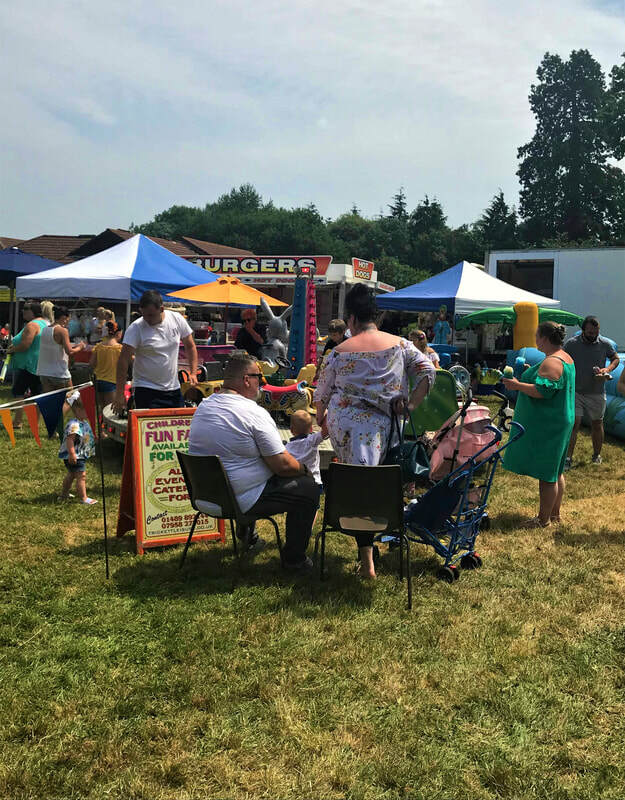 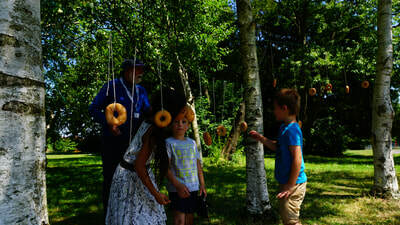 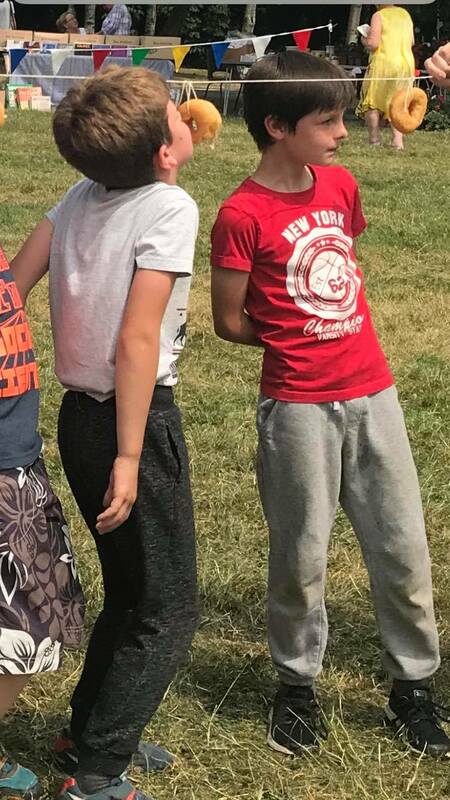 On Sunday 1st July 2018, We held our annual fund raising Summer Fayre. 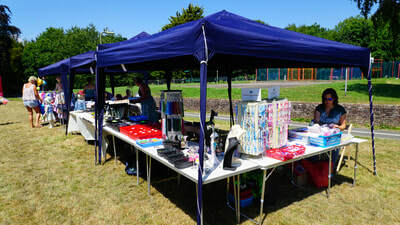 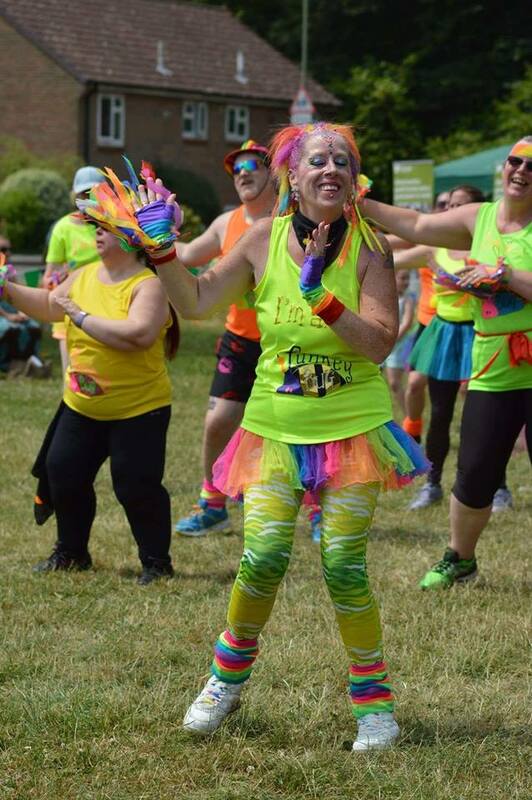 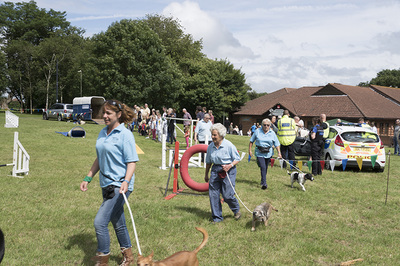 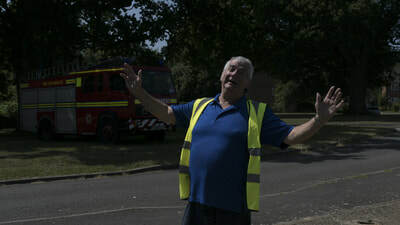 The weather was dry, although very humid and we are very grateful to everyone who came along on the day and supported us. 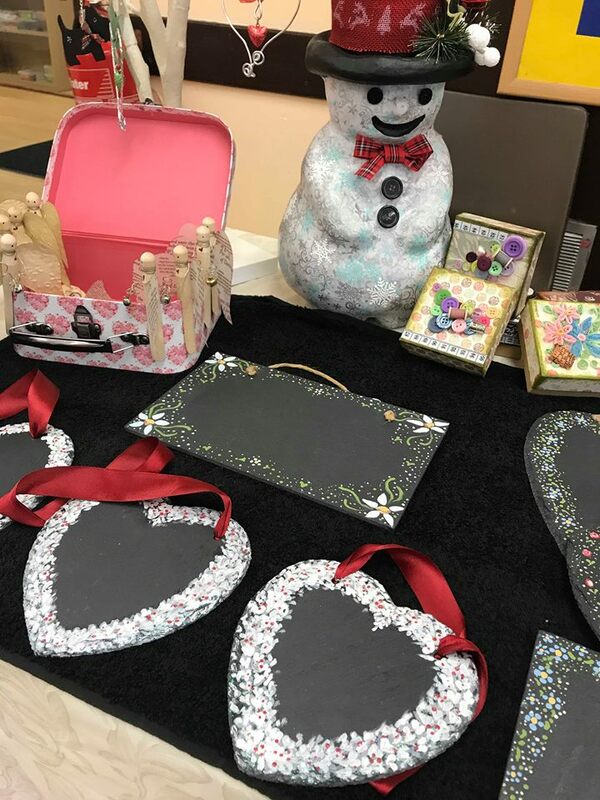 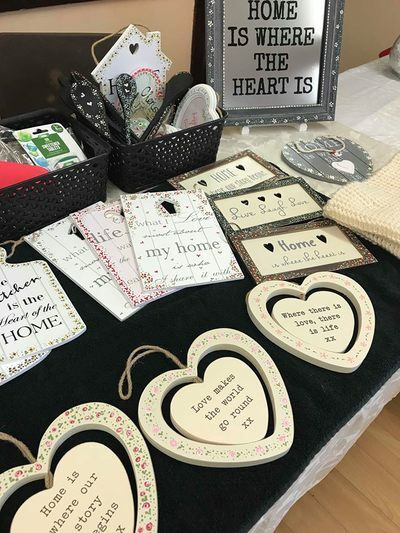 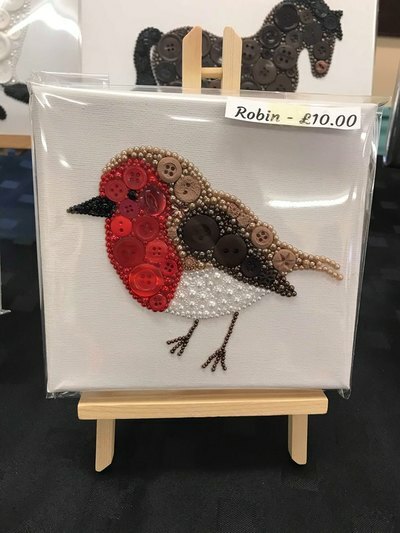 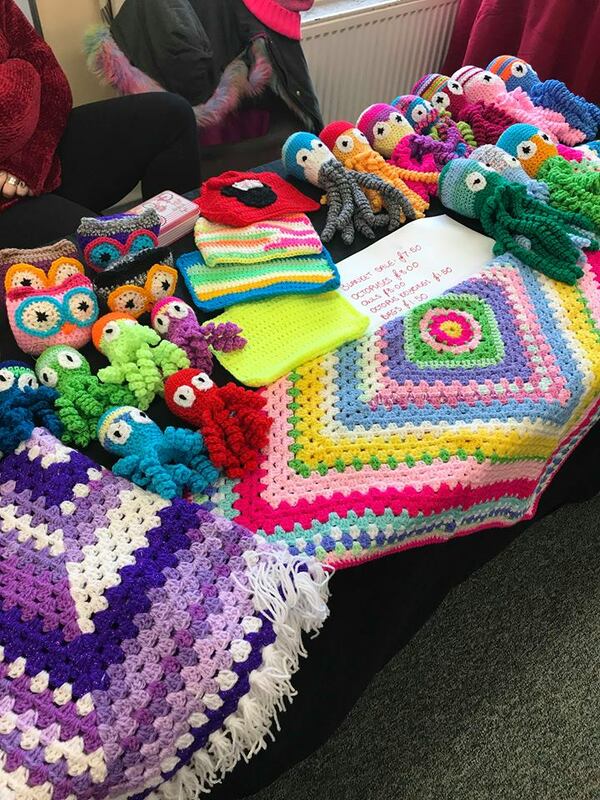 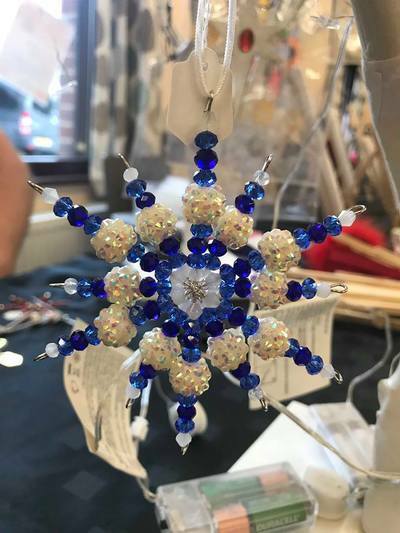 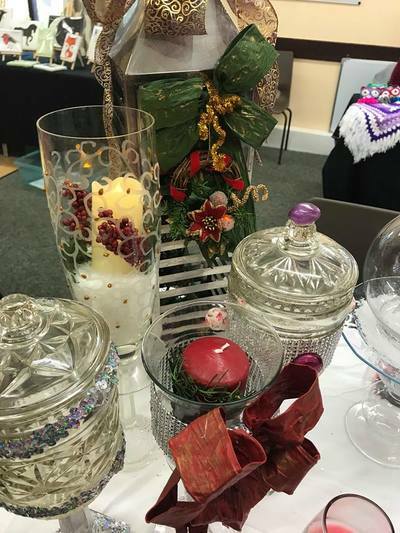 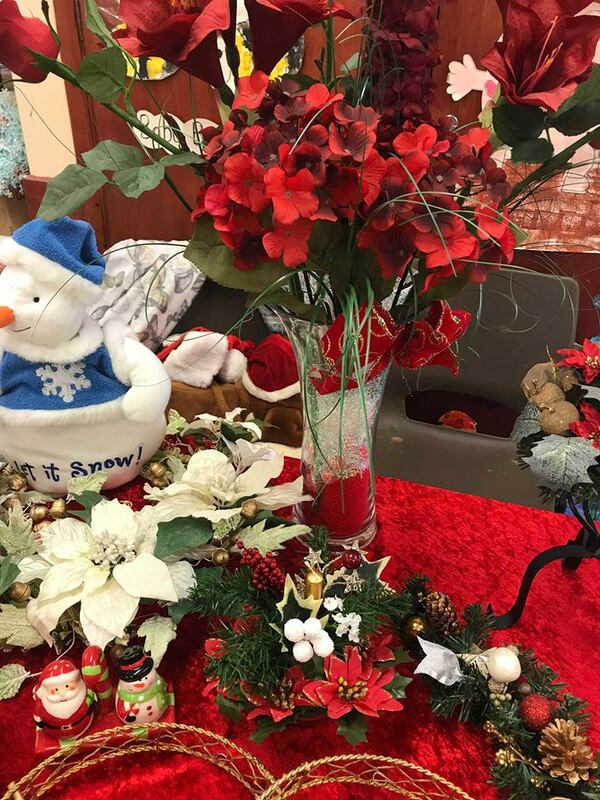 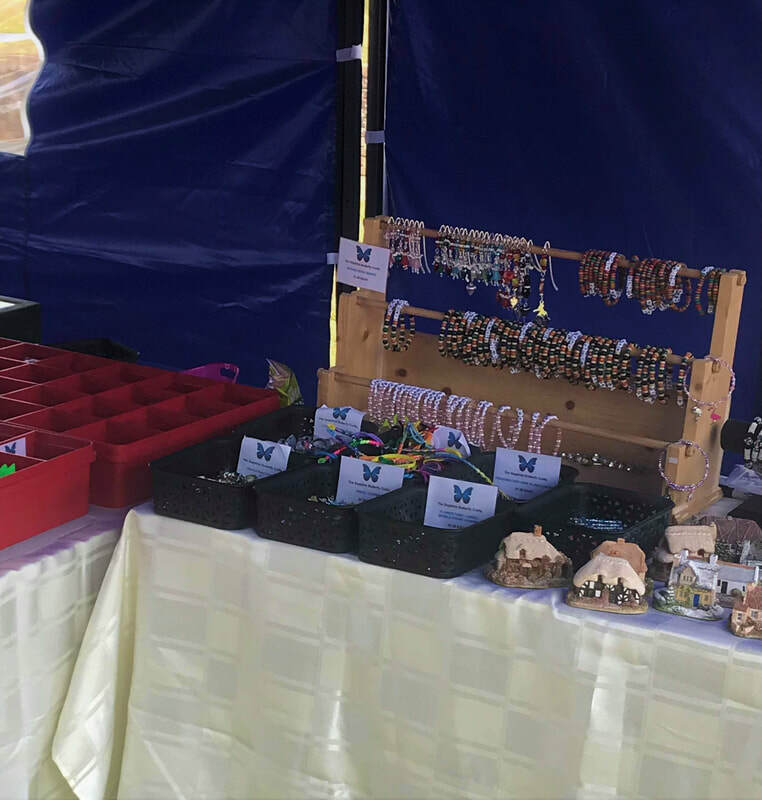 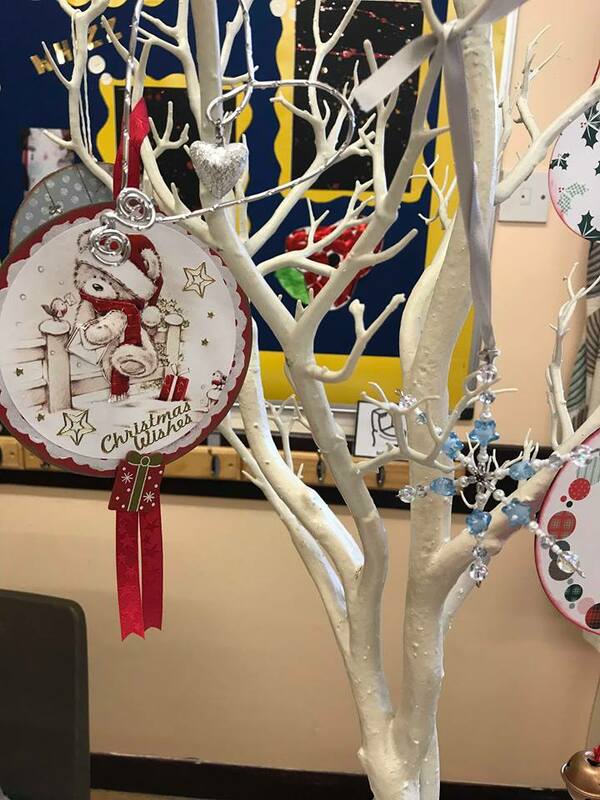 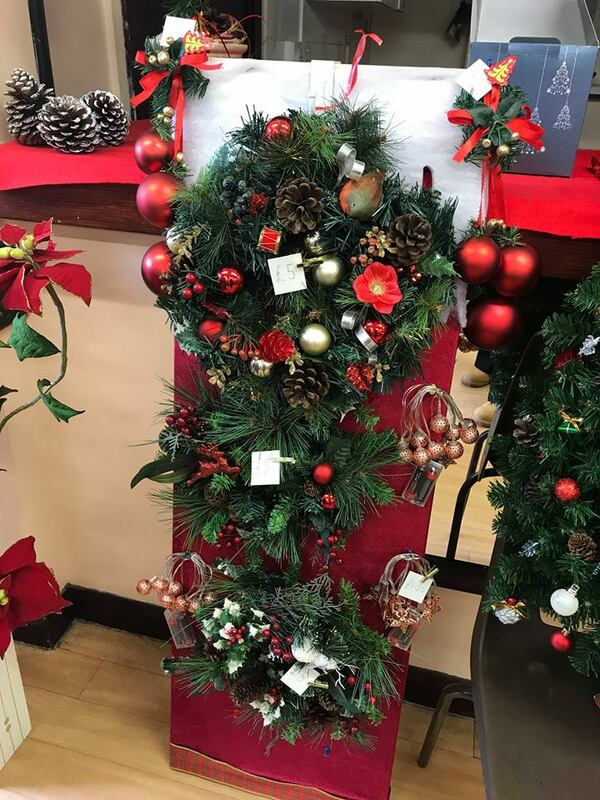 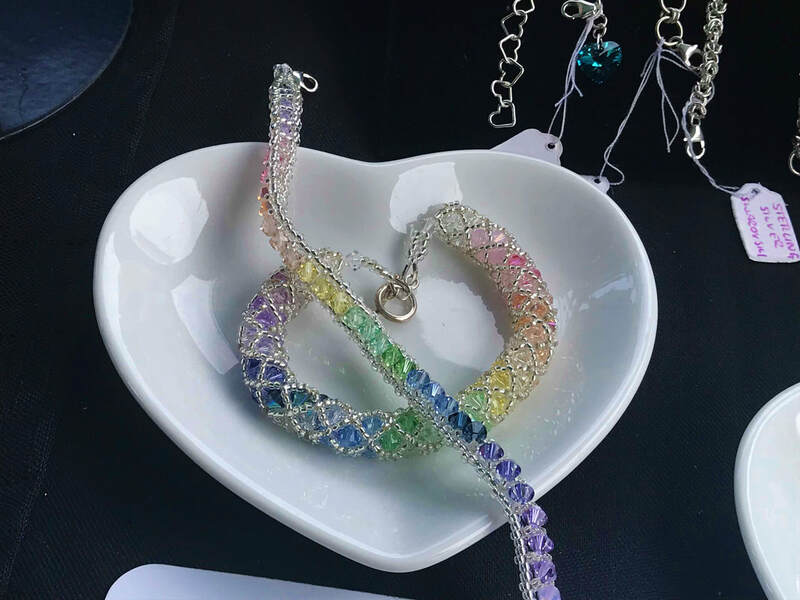 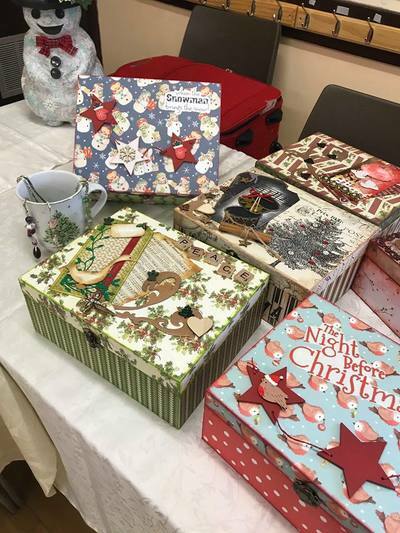 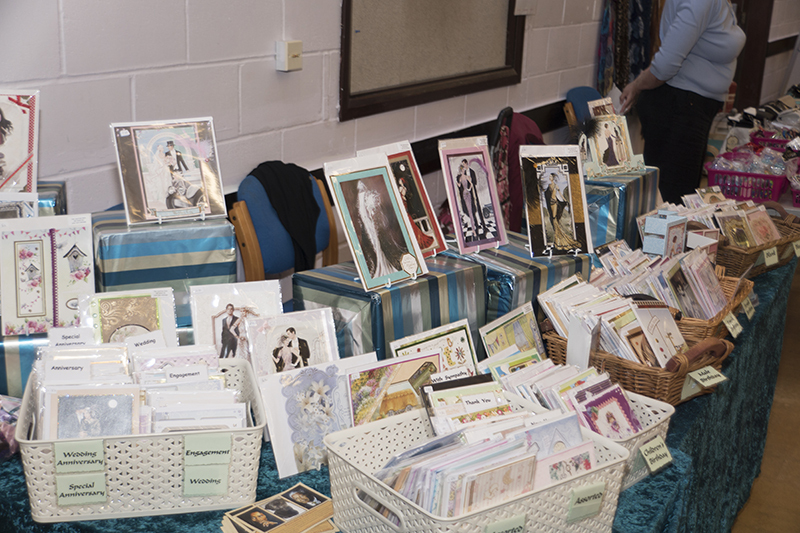 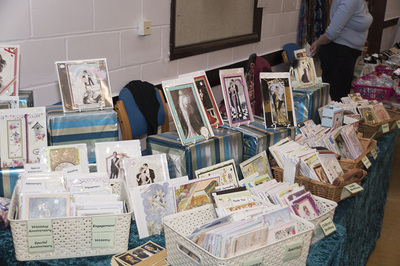 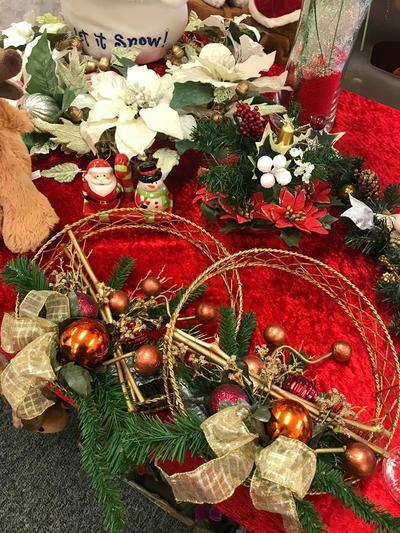 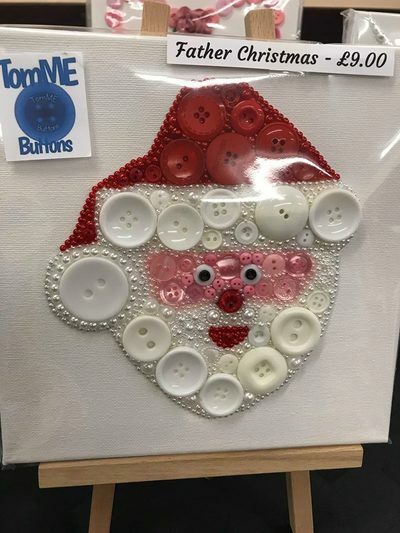 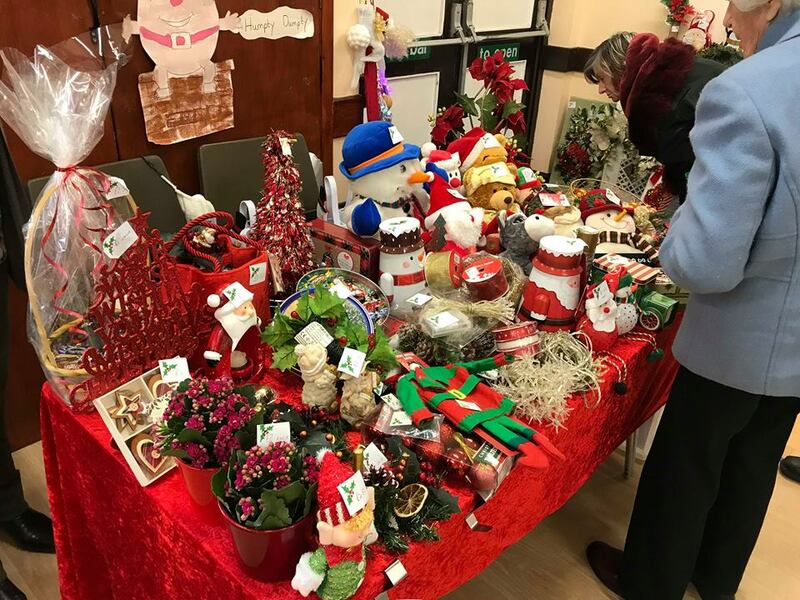 There were some beautiful items available to purchase at our Christmas market on Sunday 3rd Decemeber. Thank you to the stall holders and to everyone that came along and supported us. 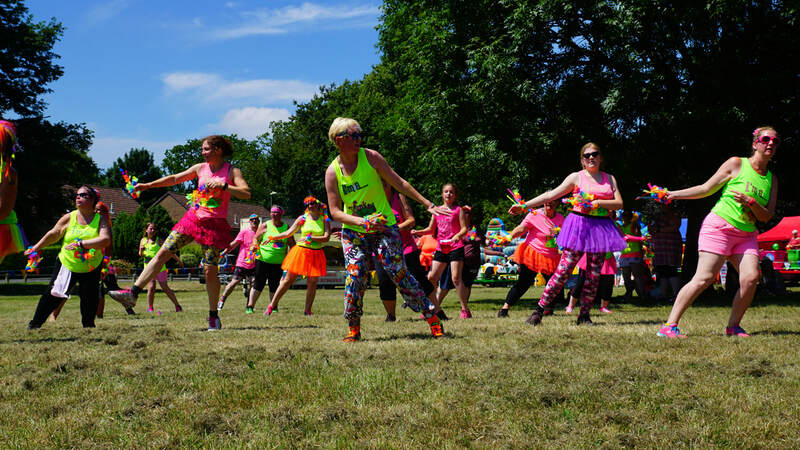 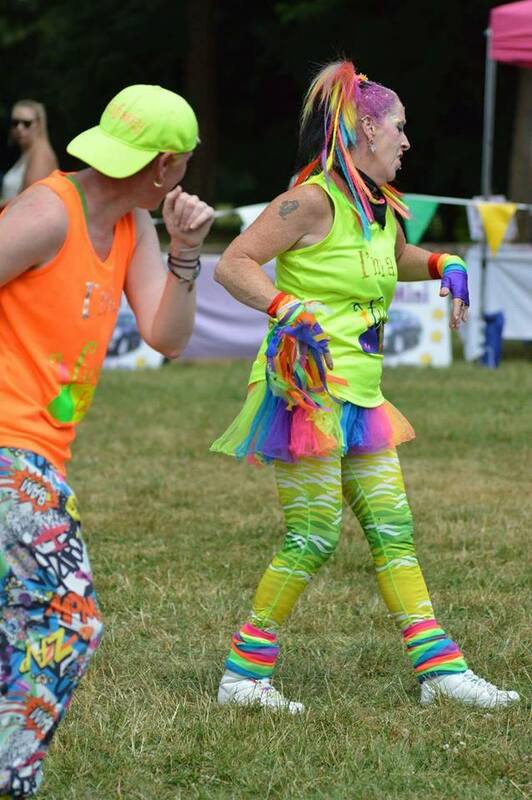 We look forward to making it a bigger event next year. 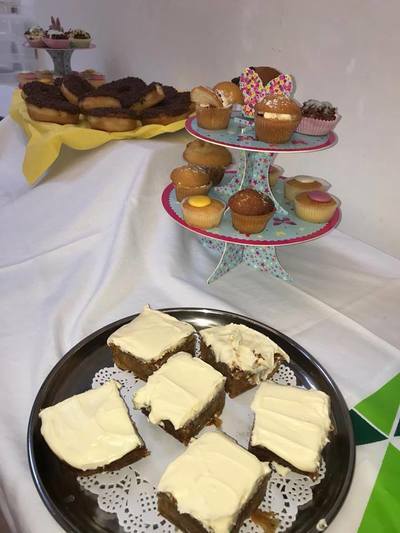 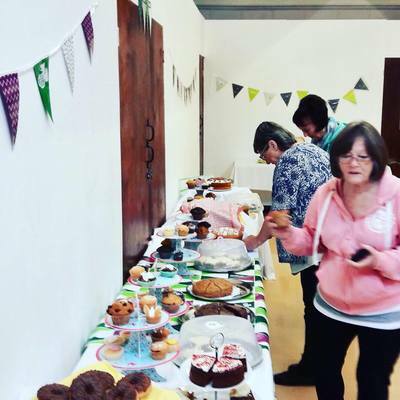 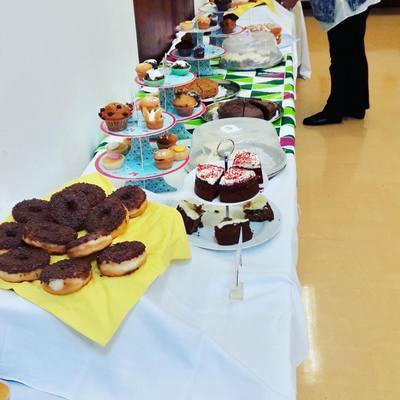 We took part in Macmillan's world coffee morning on Friday 29th September. 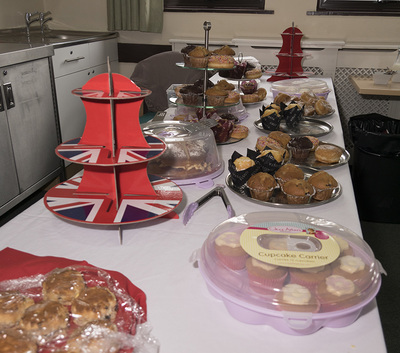 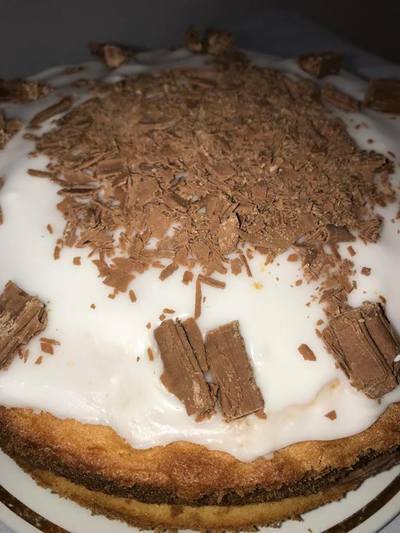 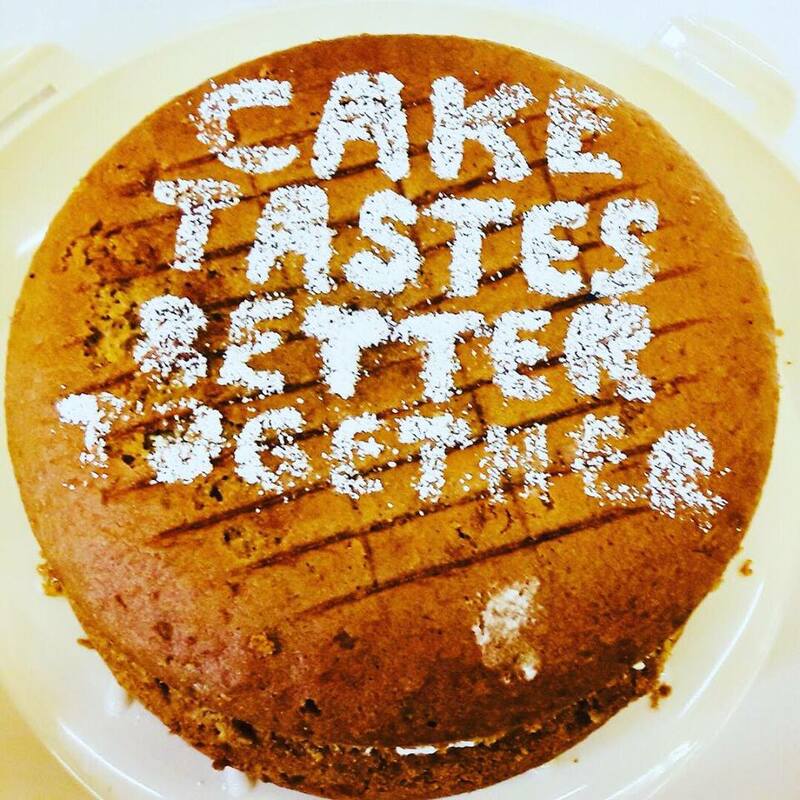 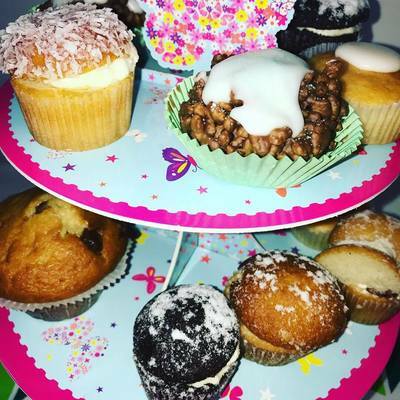 Some beautiful cakes were donated for us to sell and in total we raised £182.92 for this great cause. 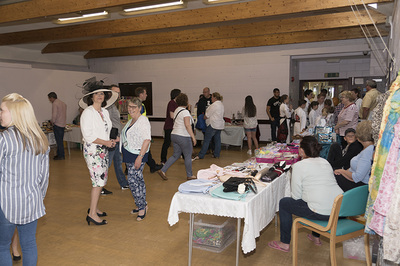 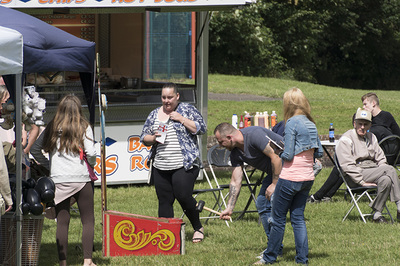 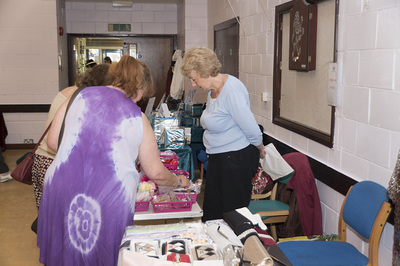 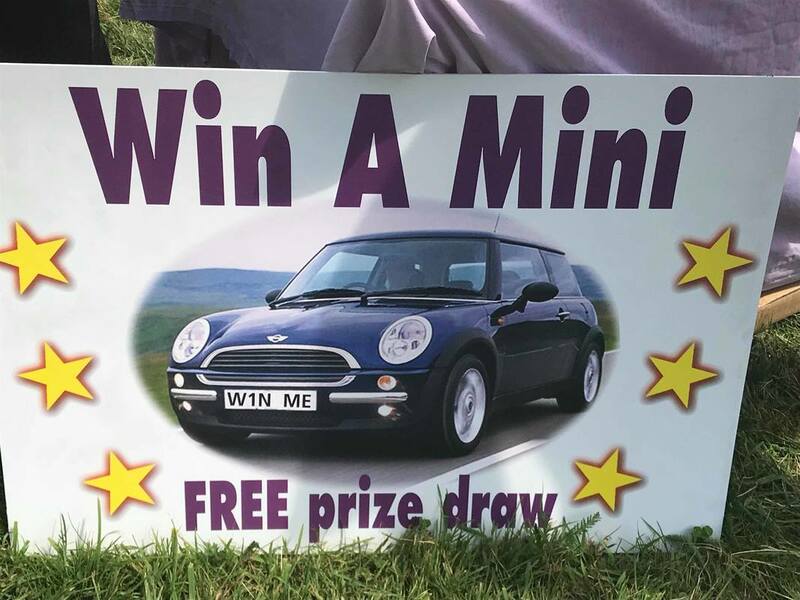 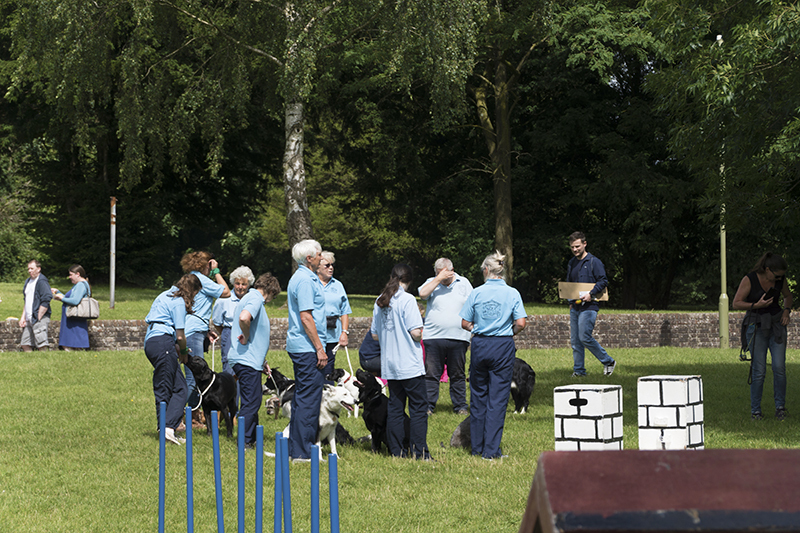 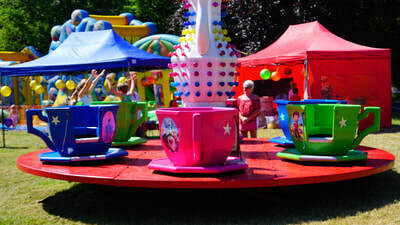 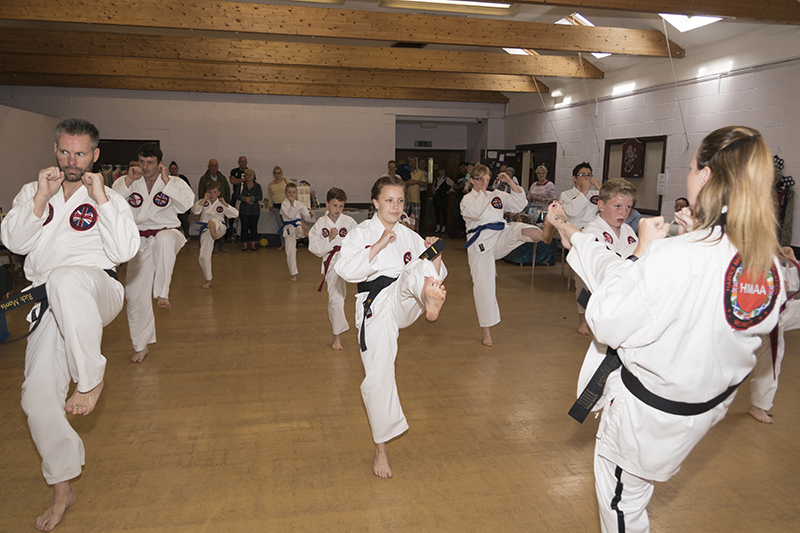 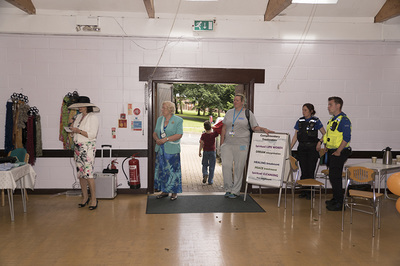 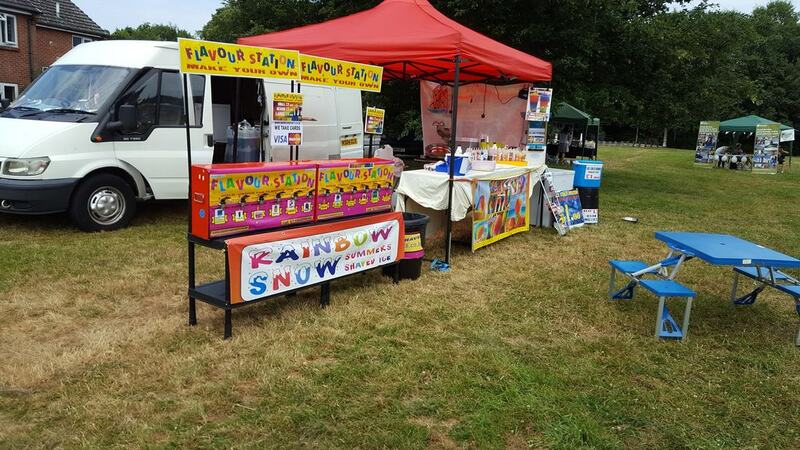 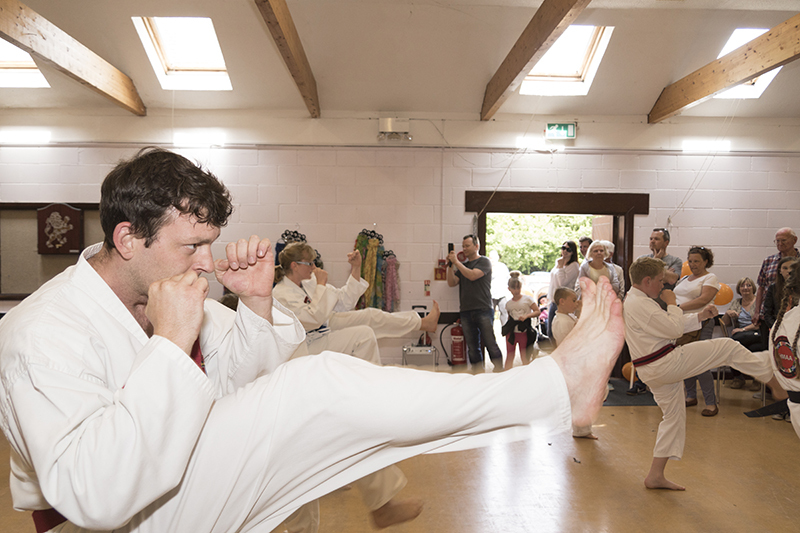 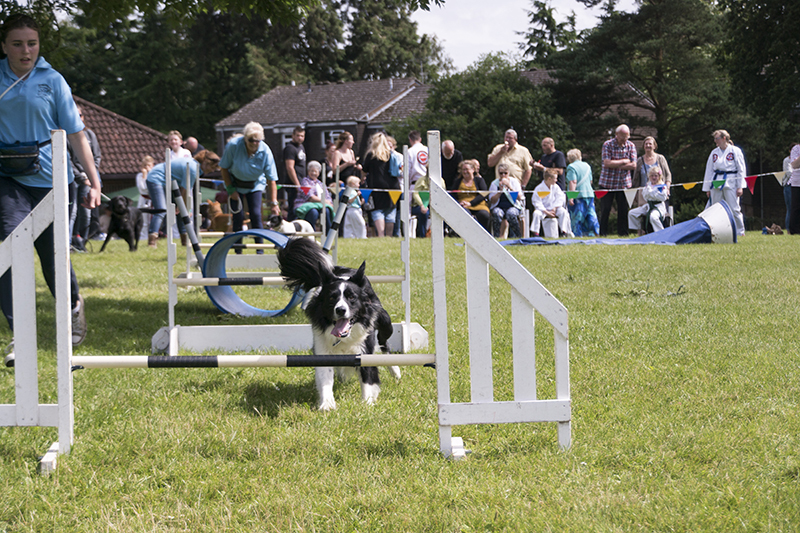 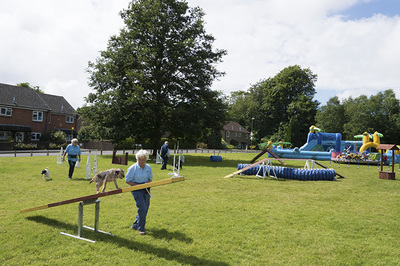 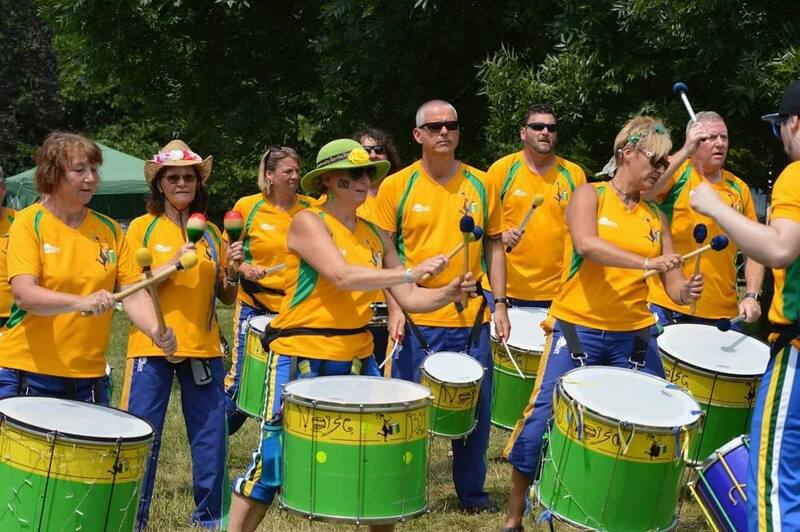 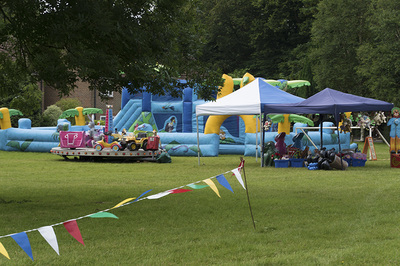 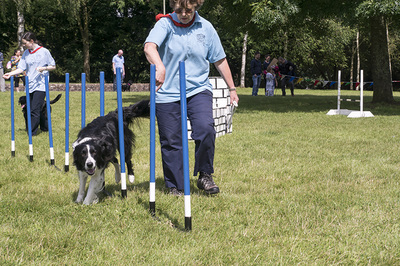 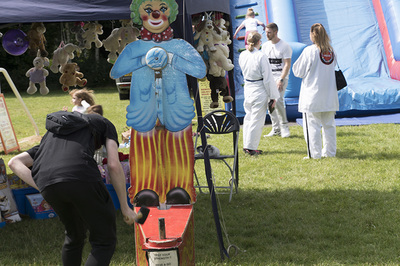 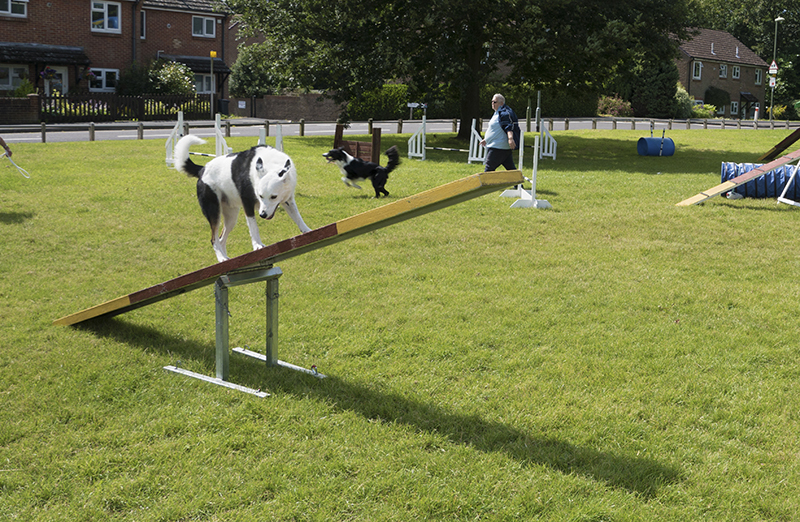 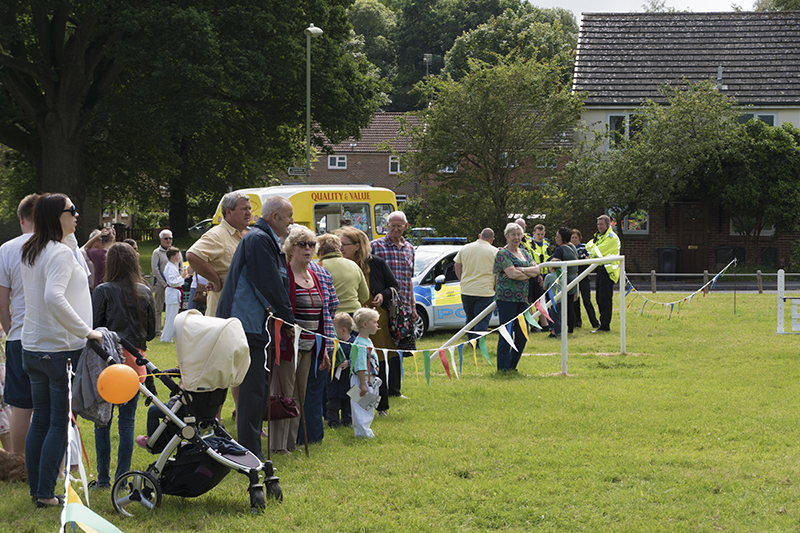 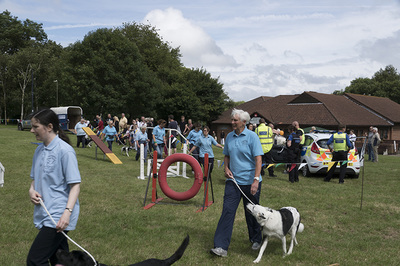 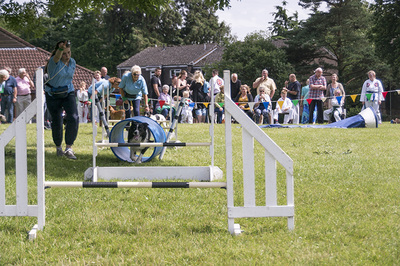 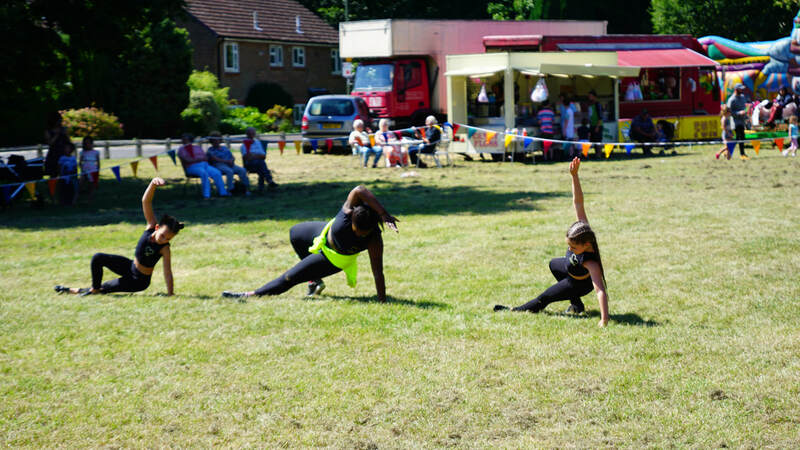 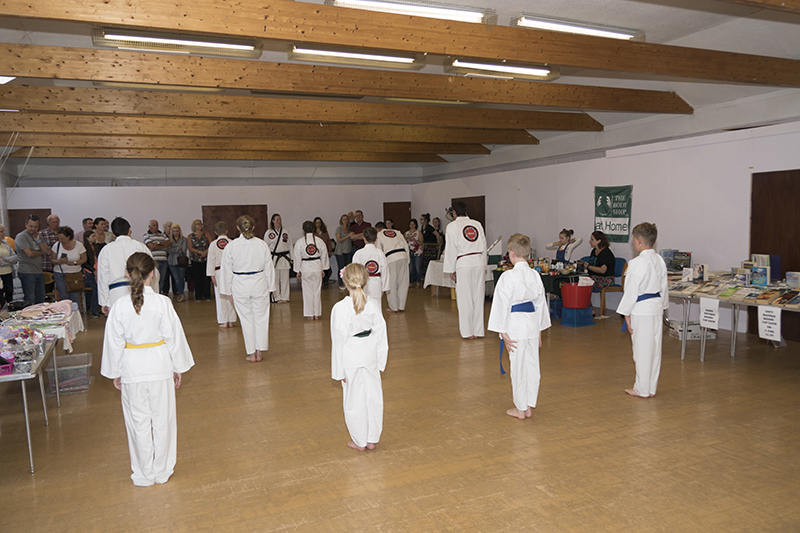 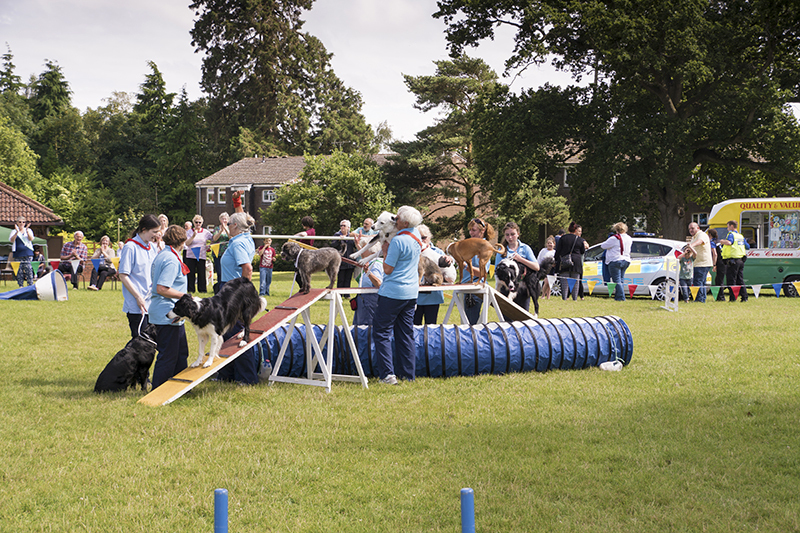 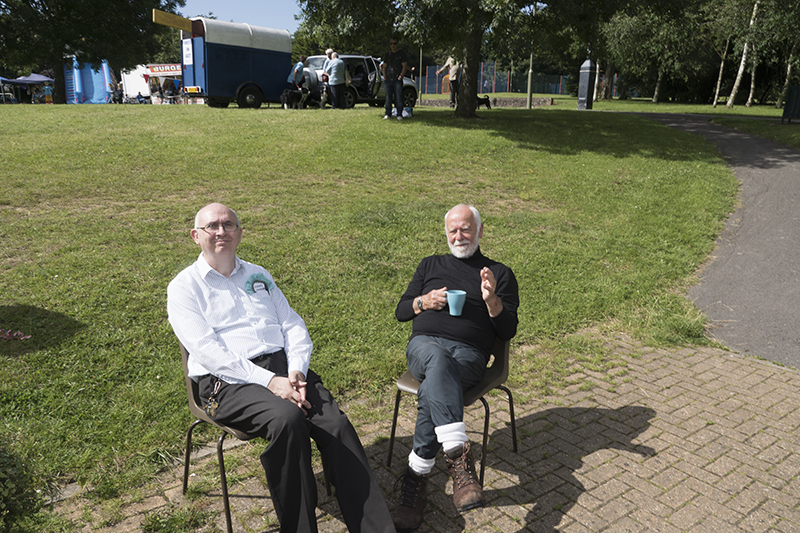 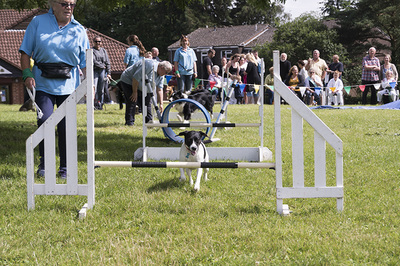 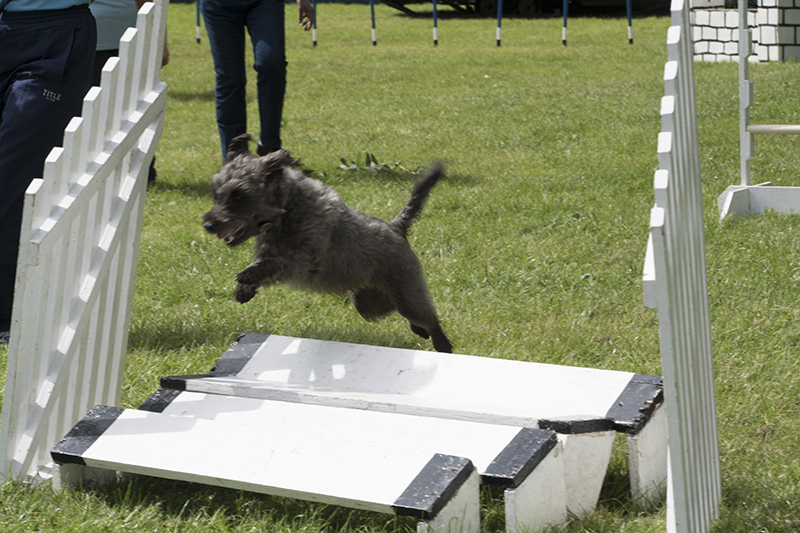 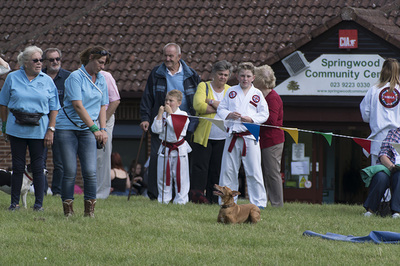 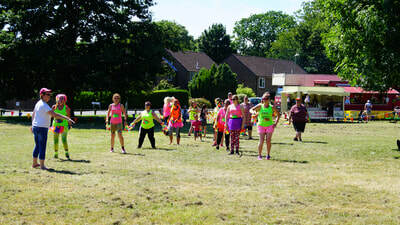 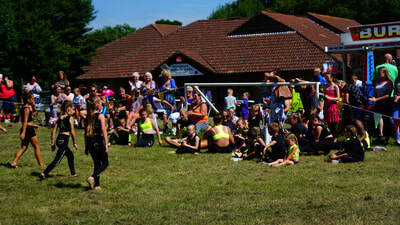 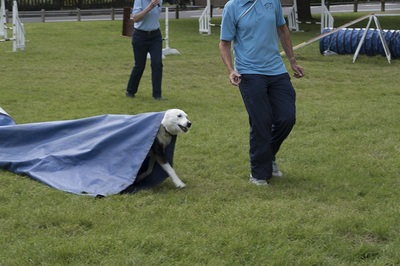 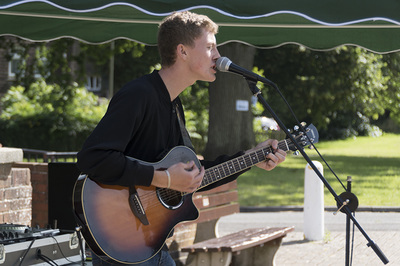 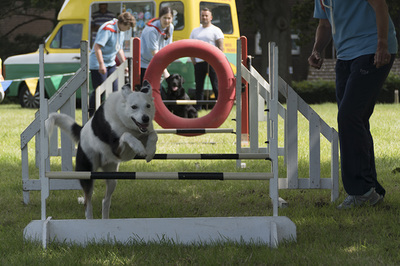 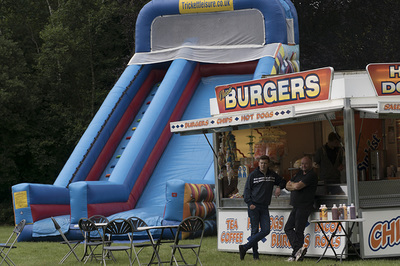 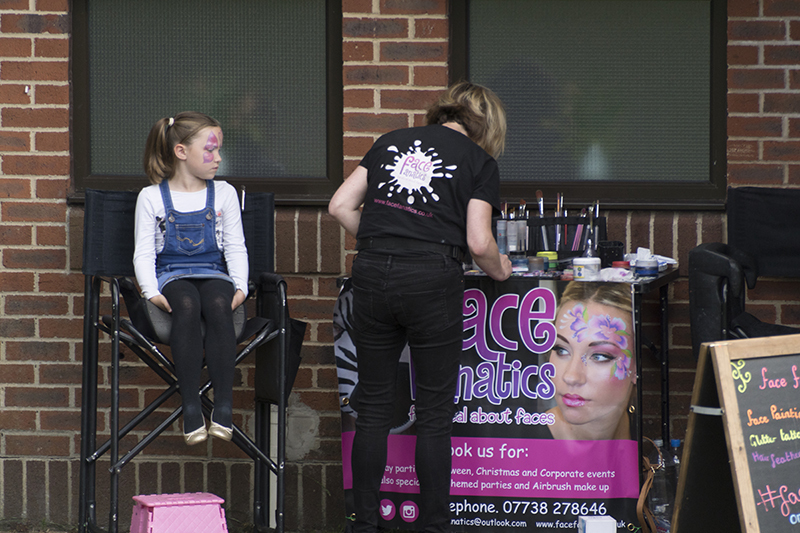 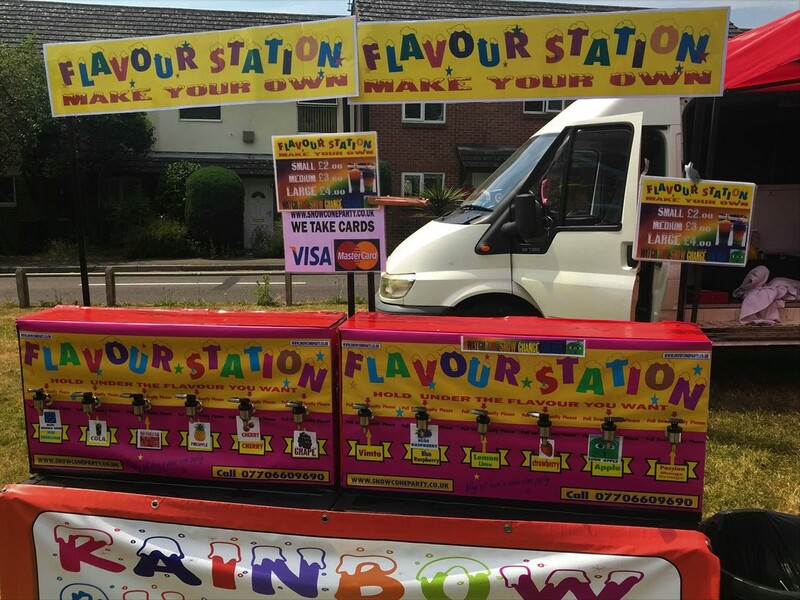 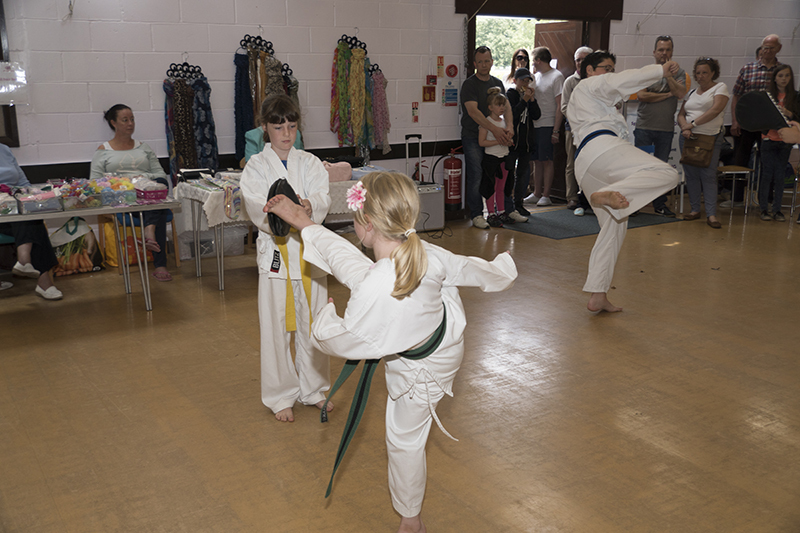 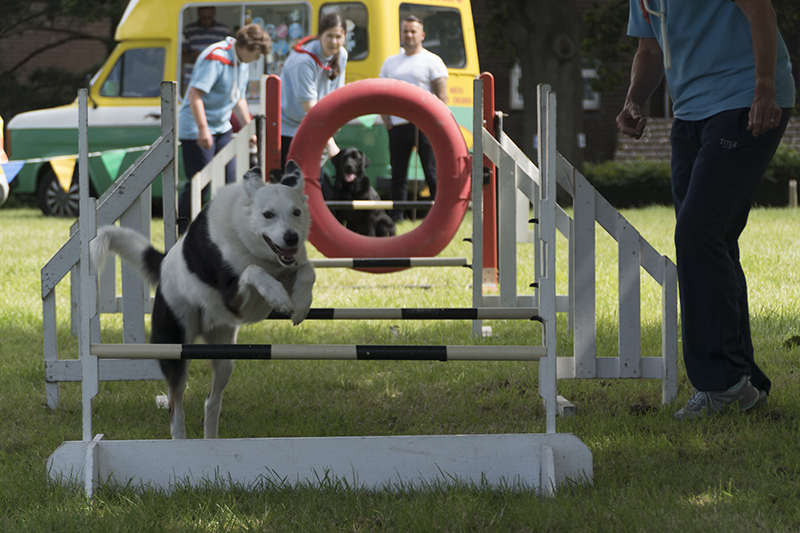 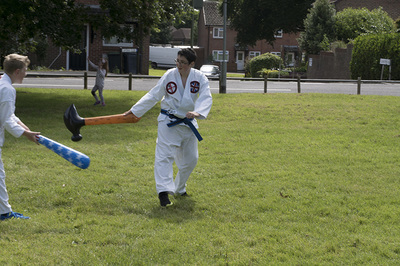 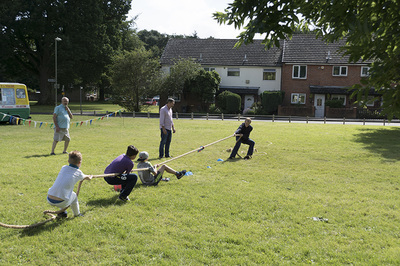 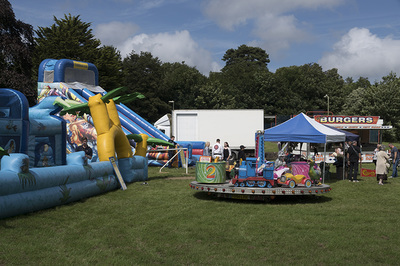 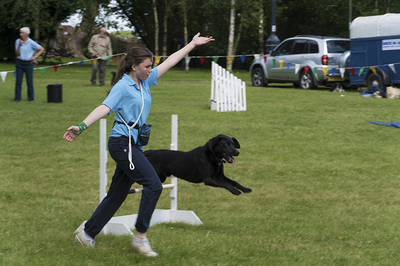 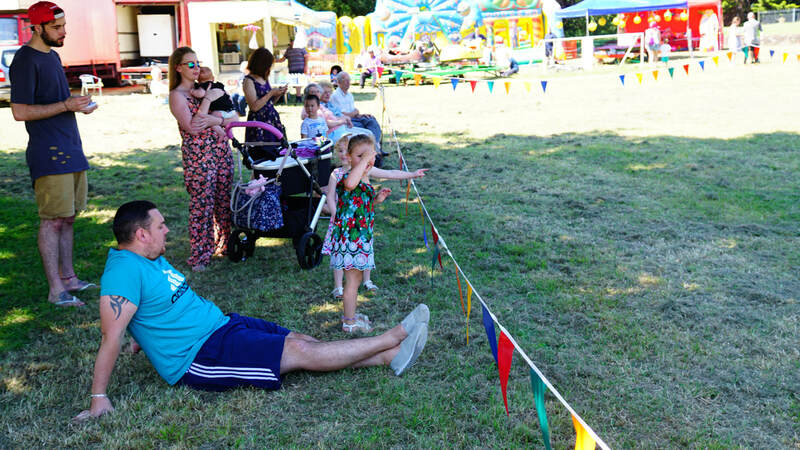 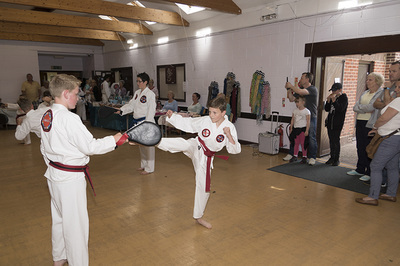 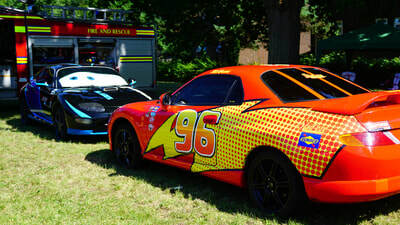 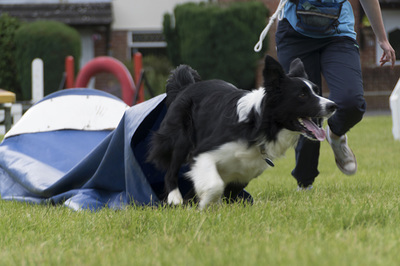 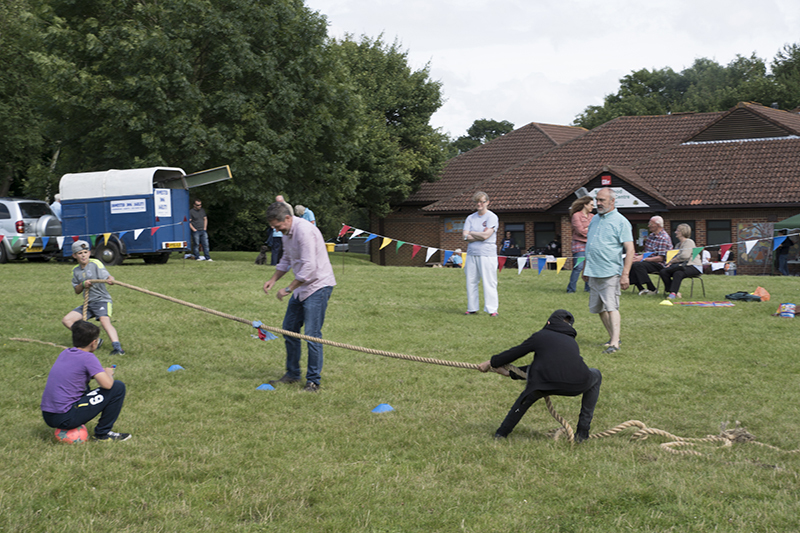 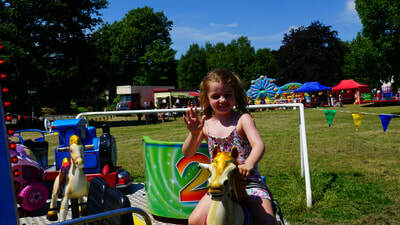 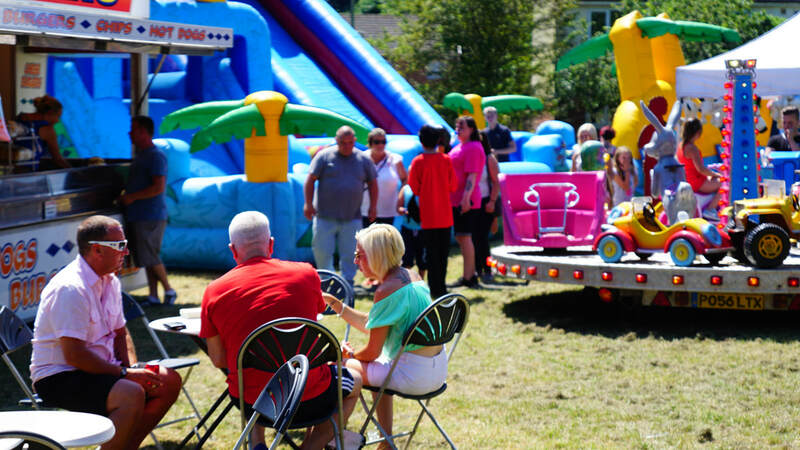 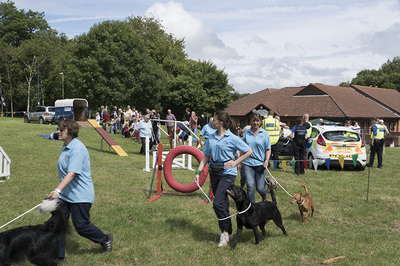 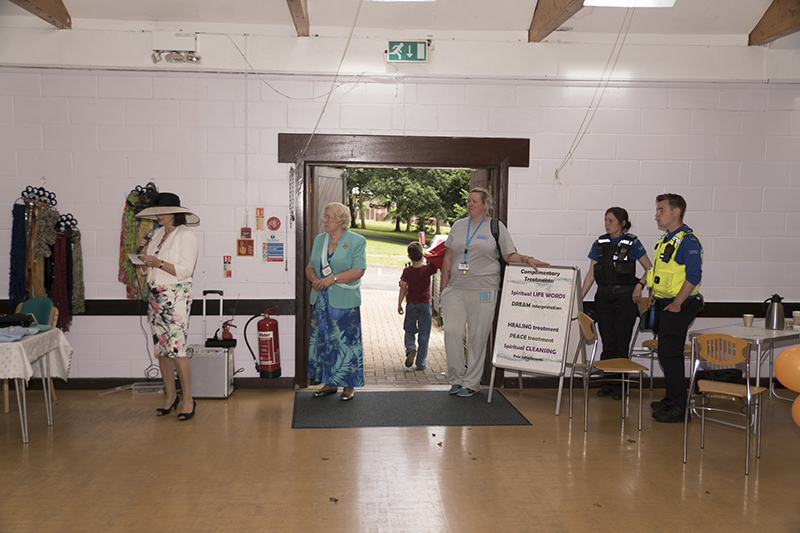 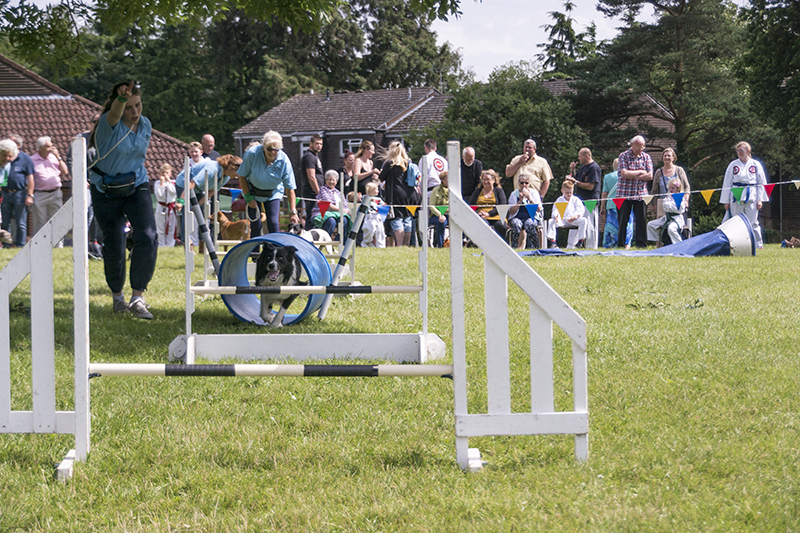 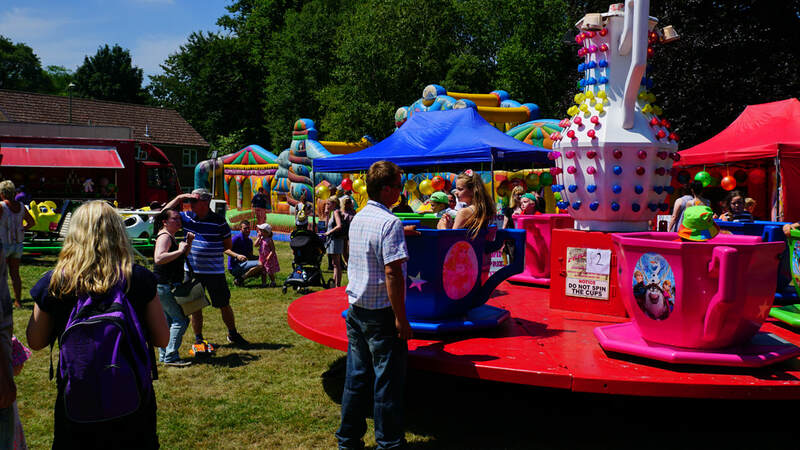 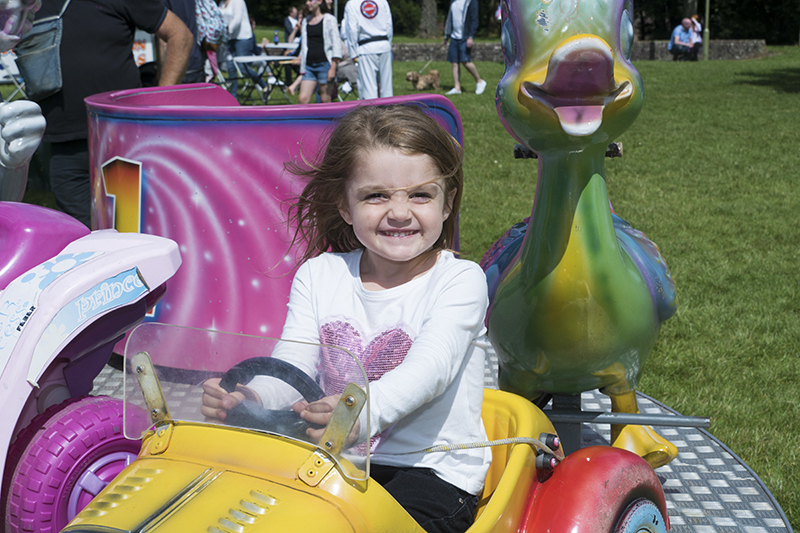 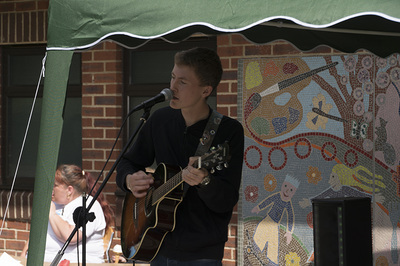 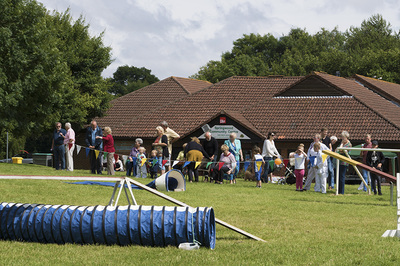 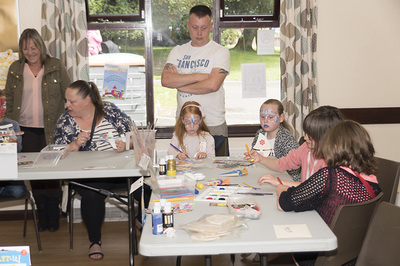 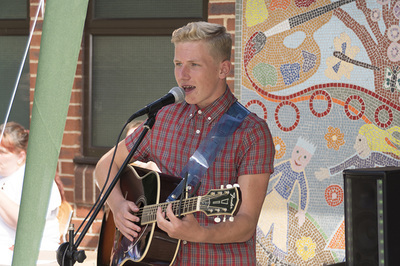 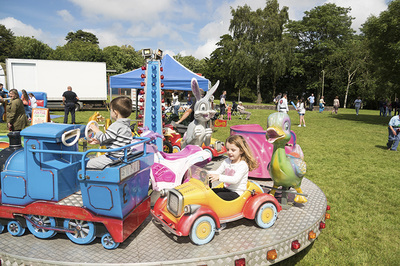 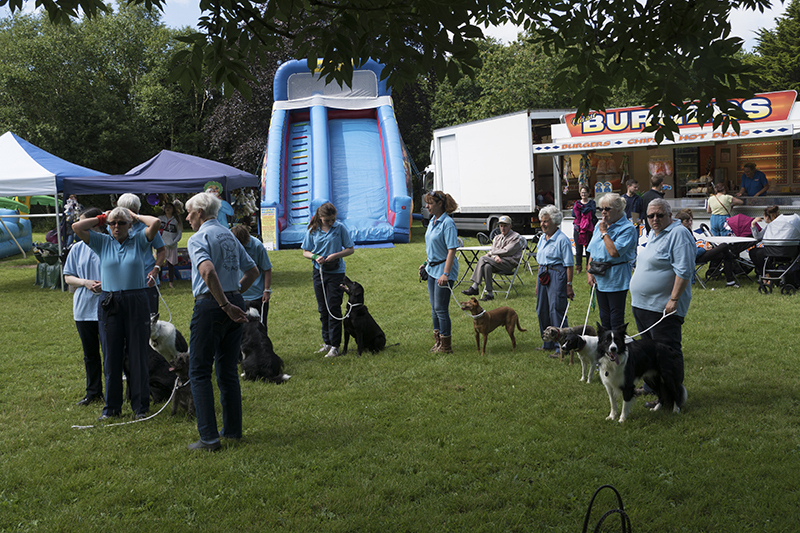 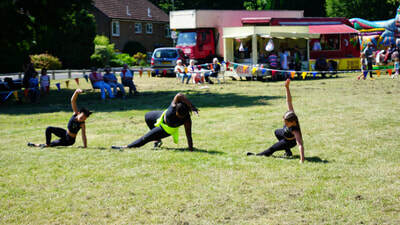 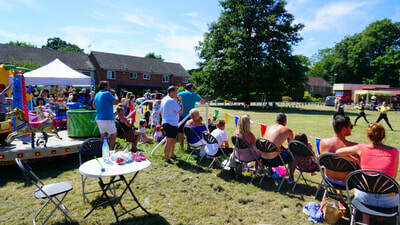 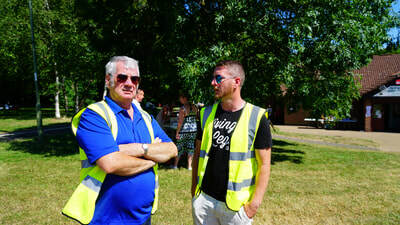 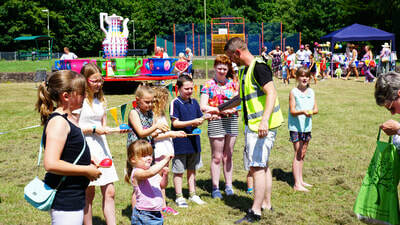 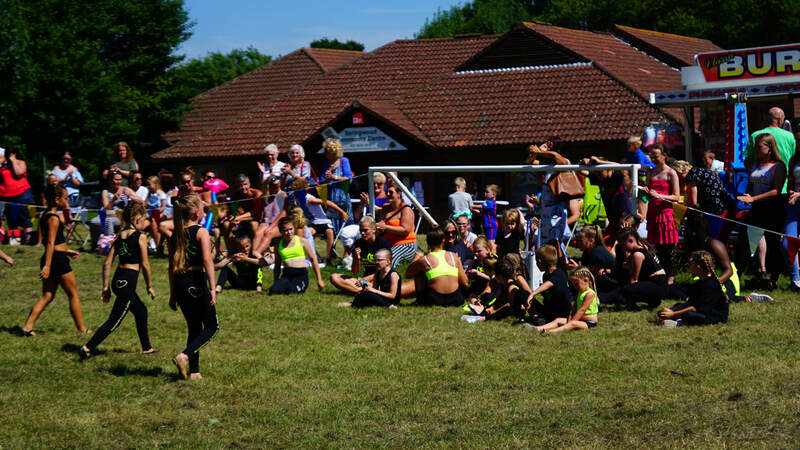 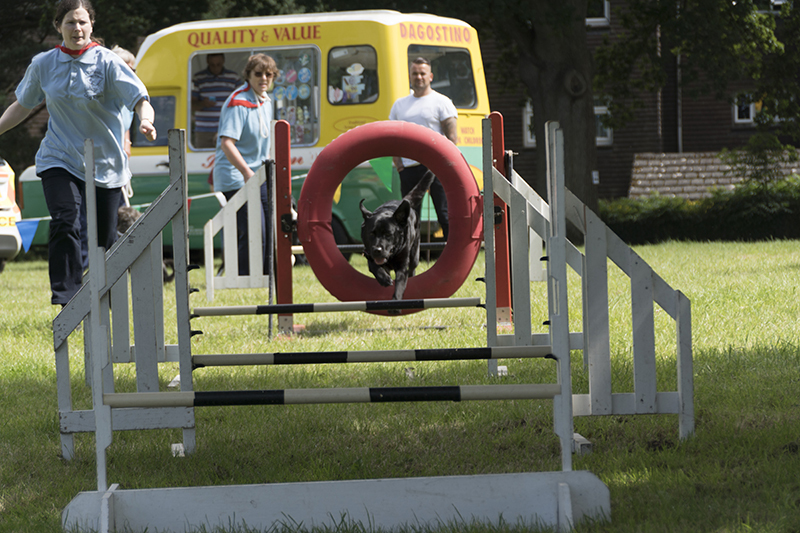 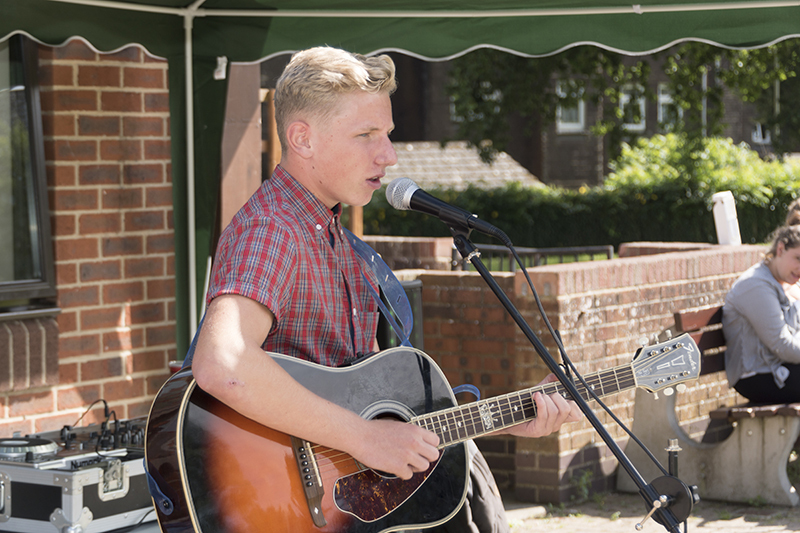 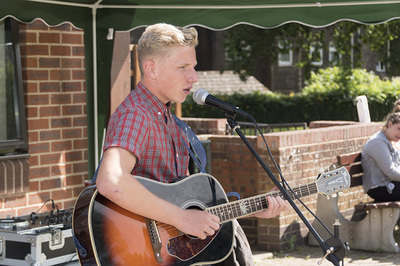 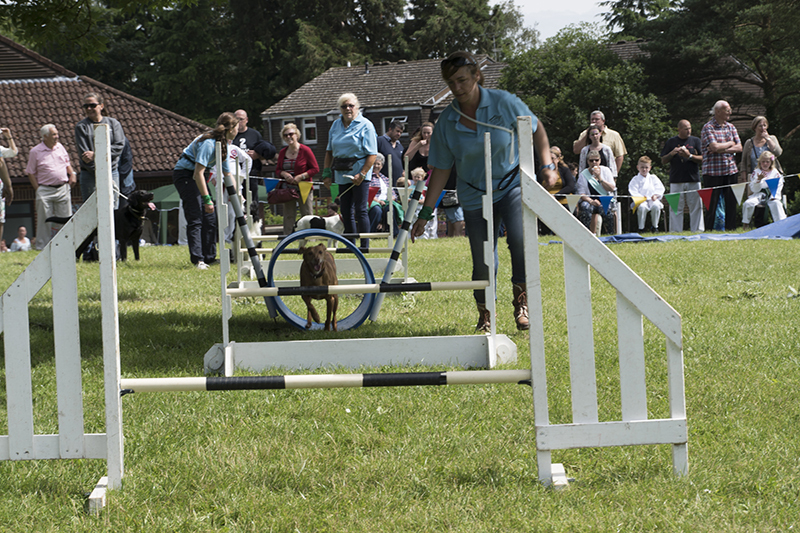 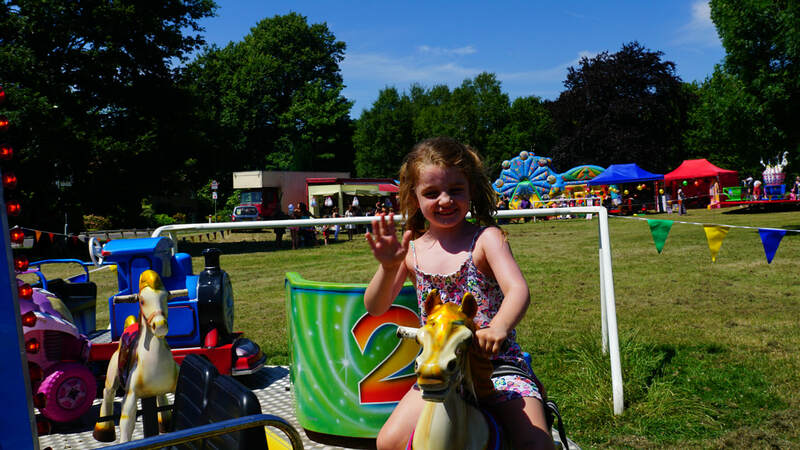 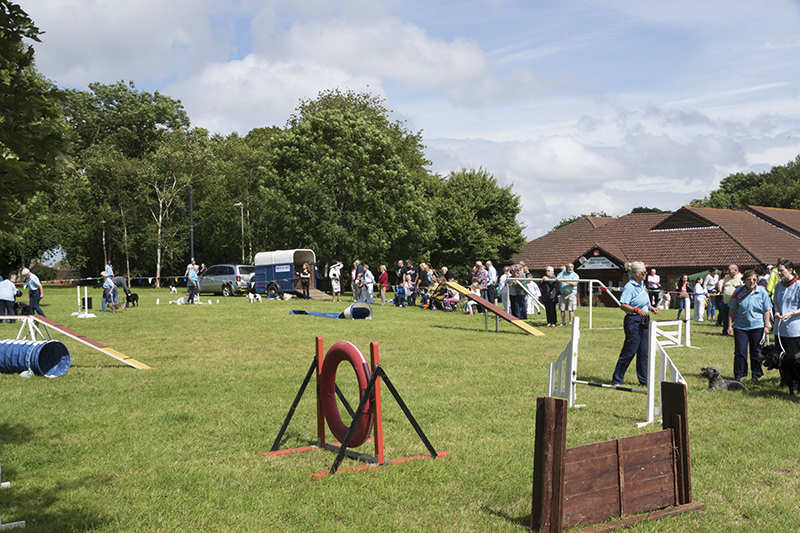 We held our annual summer fayre on Sunday 9th July. 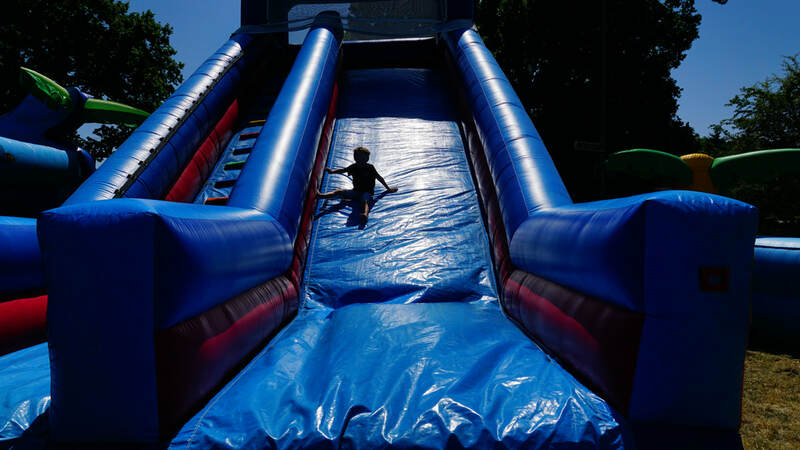 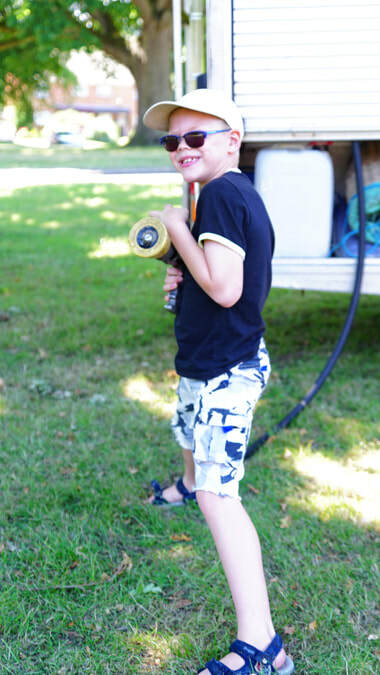 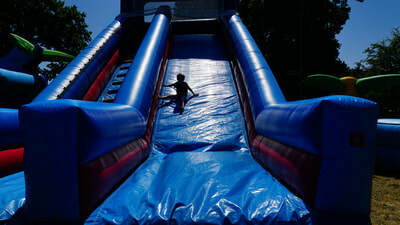 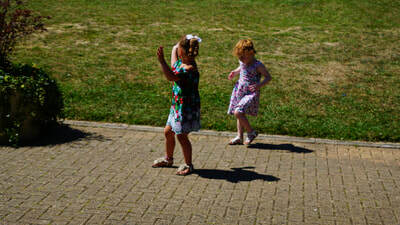 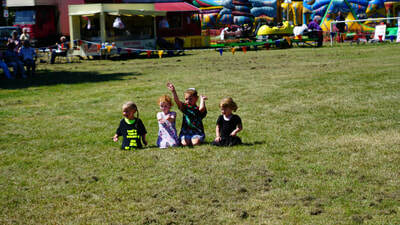 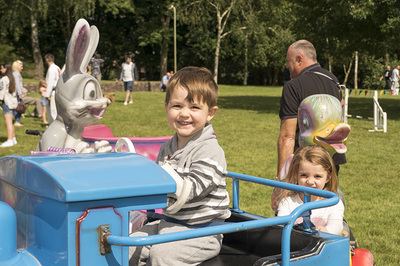 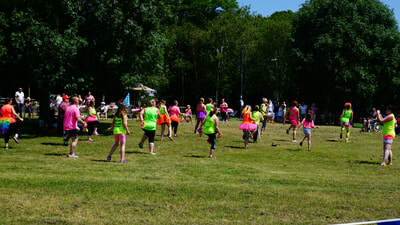 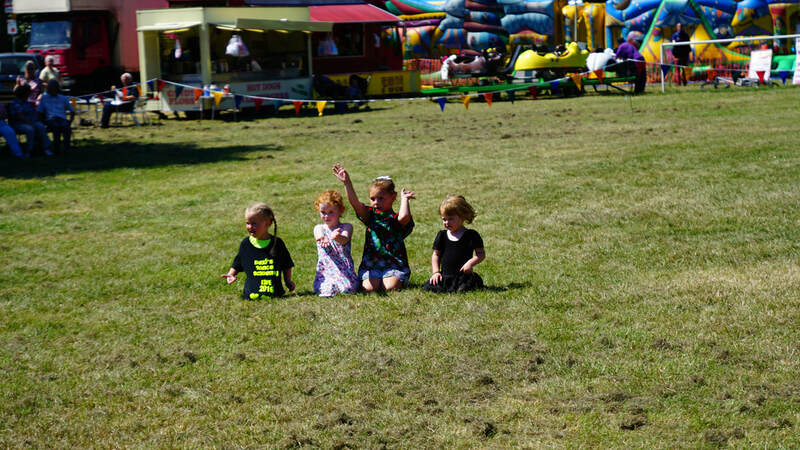 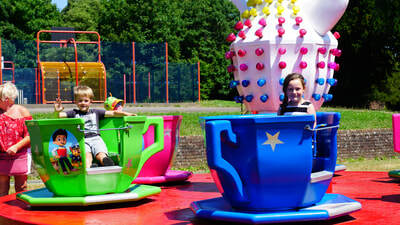 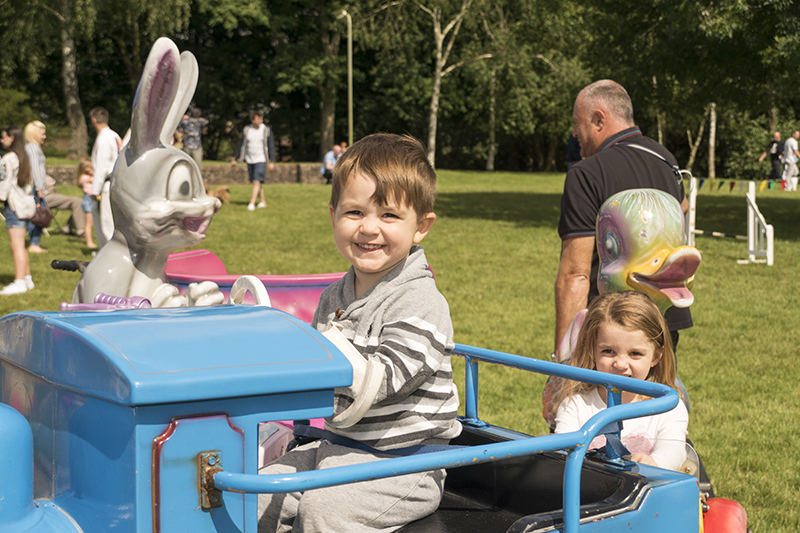 The sunshine was glorious and lots of families & friends had a great time. 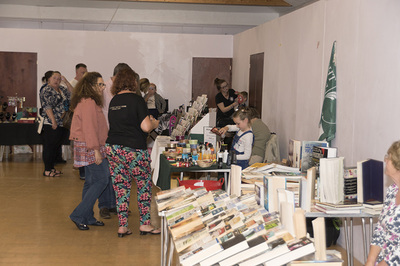 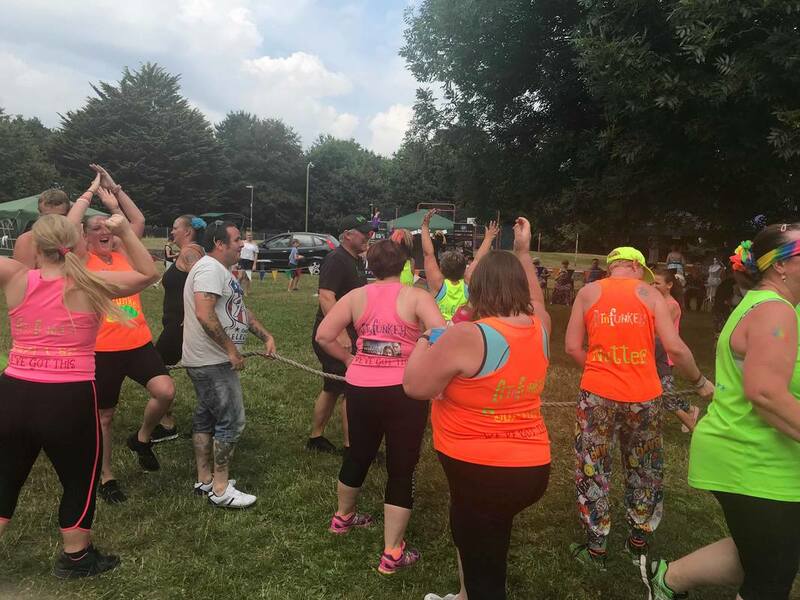 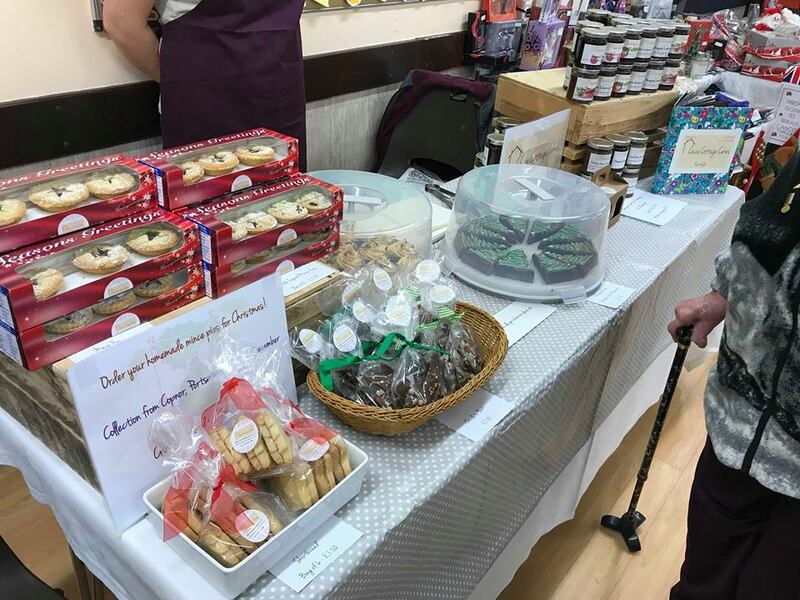 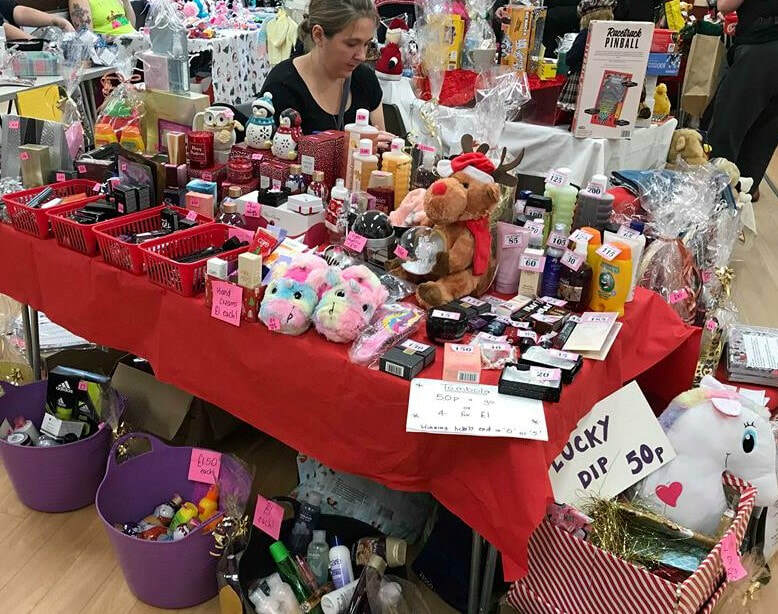 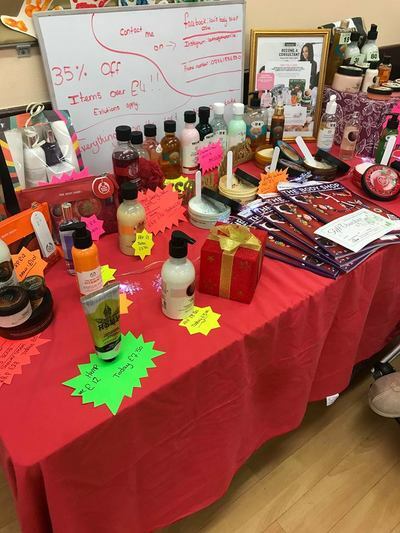 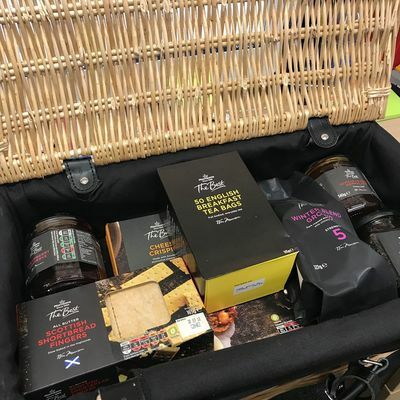 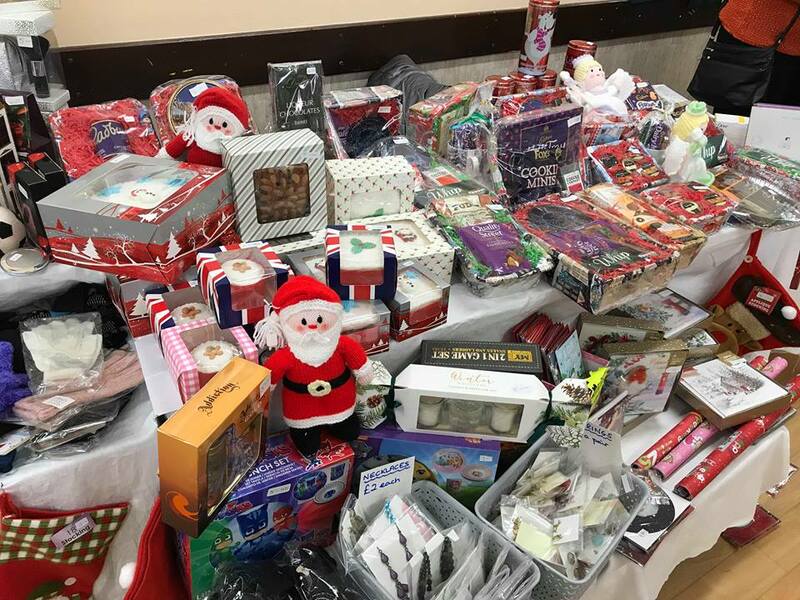 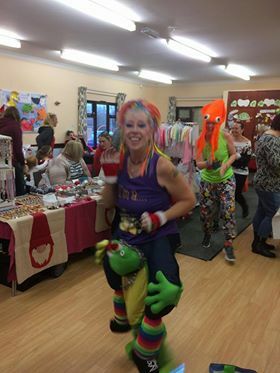 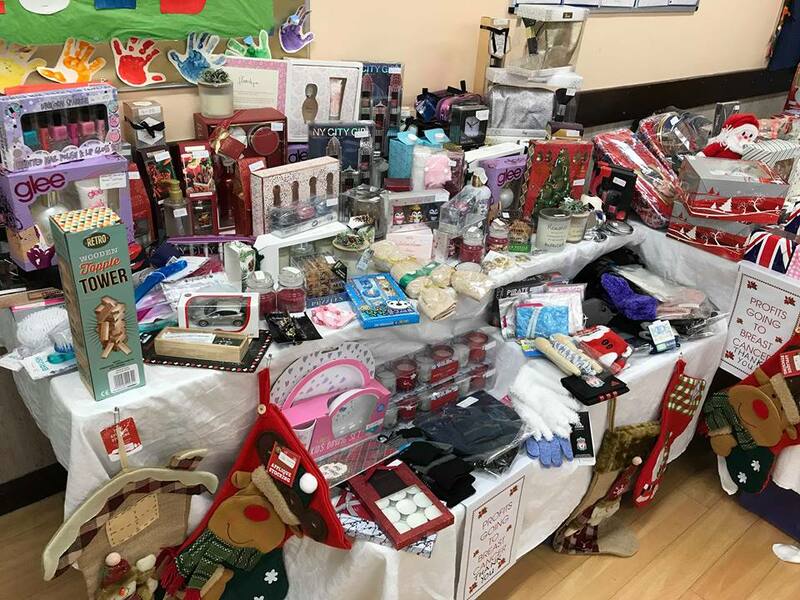 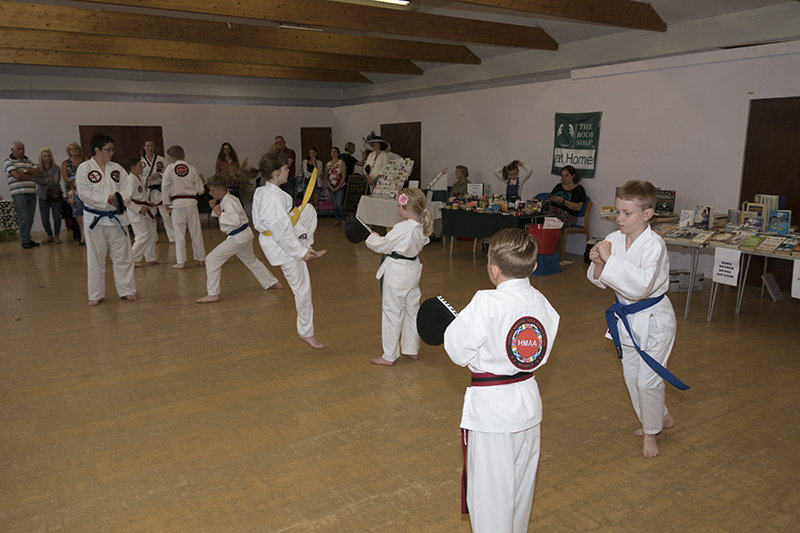 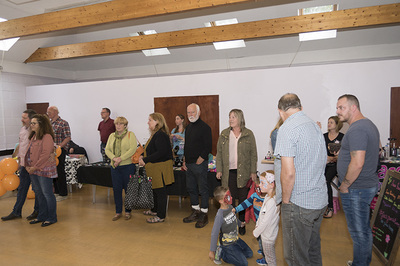 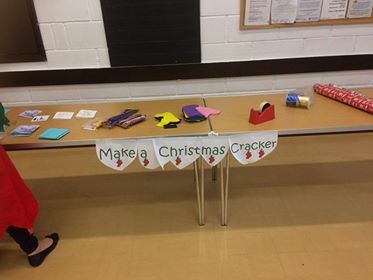 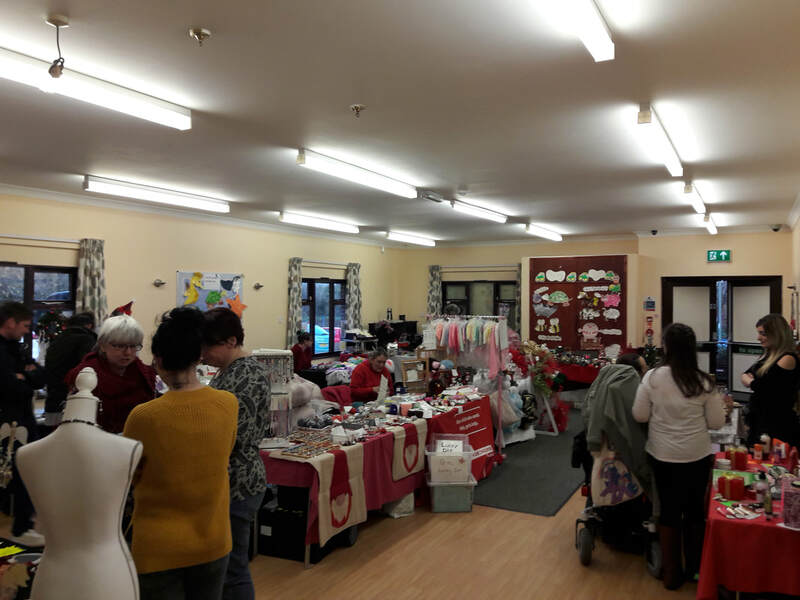 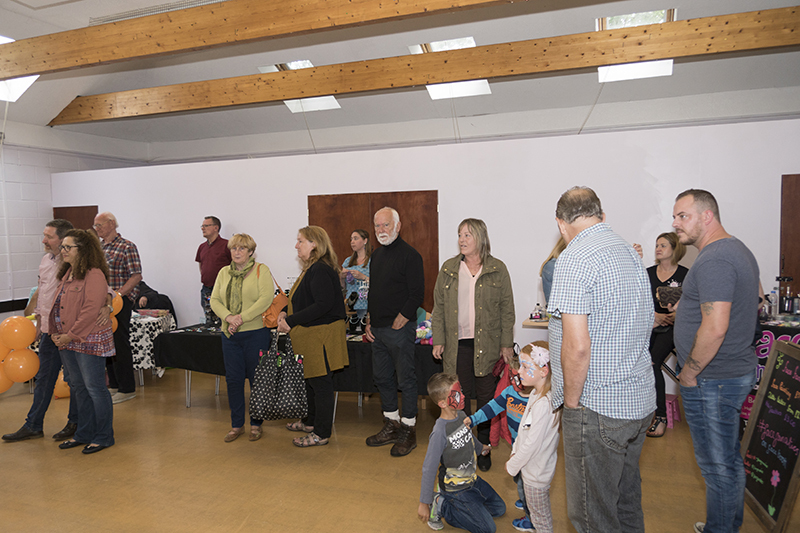 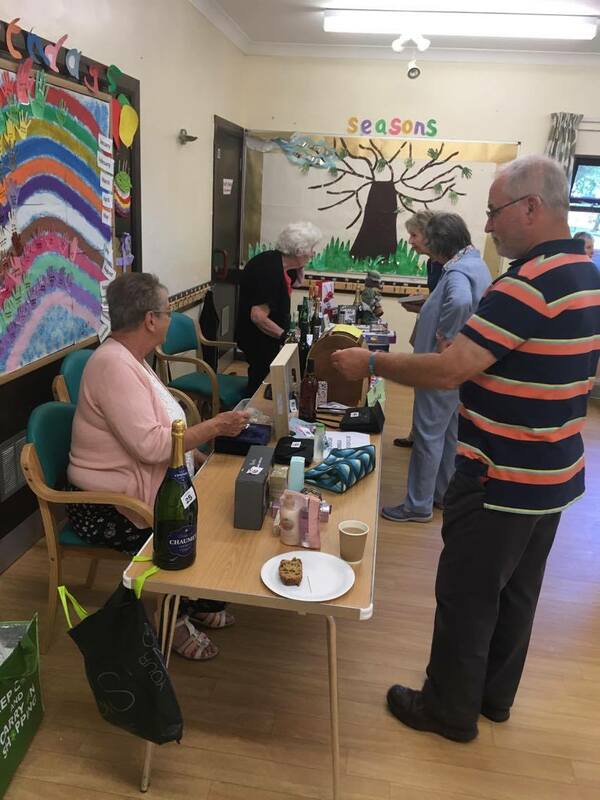 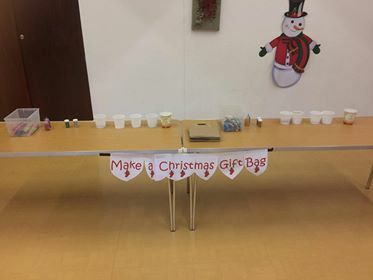 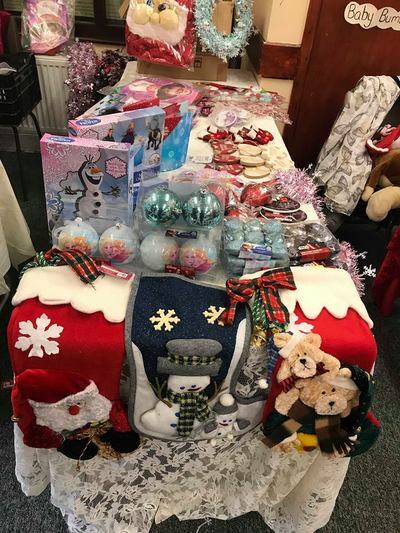 We thank all the companies who donated prizes to our tombola and also a big thank you to everyone who came along on the day, to help raise funds for our own groups.